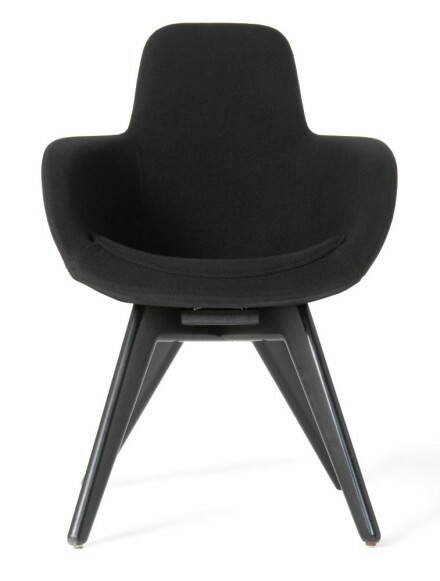 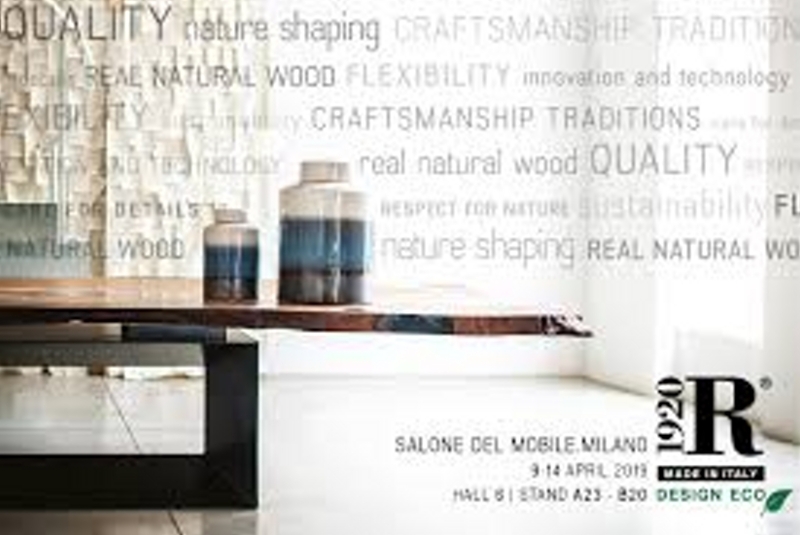 Minotti operates in the residential and hotel industries. 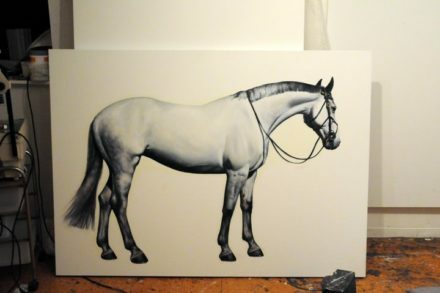 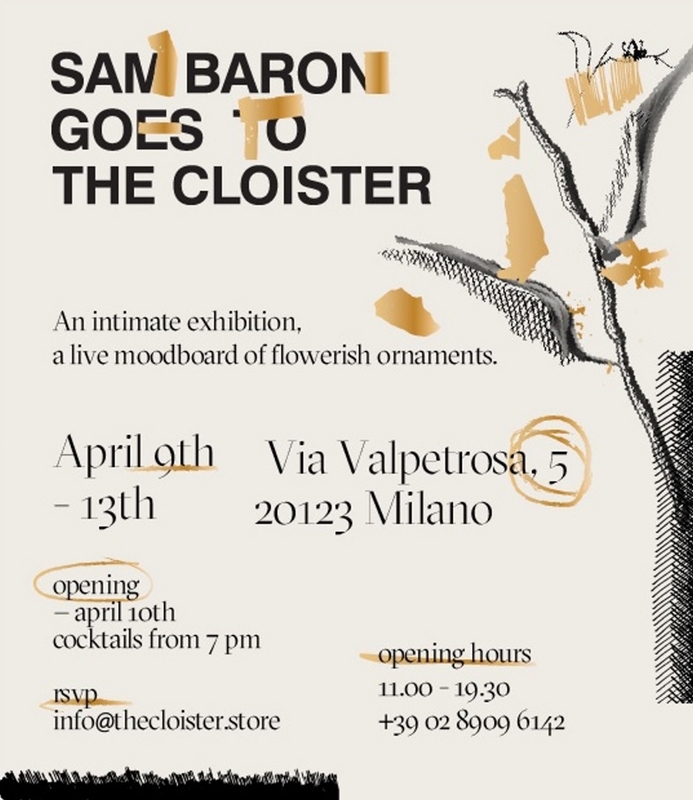 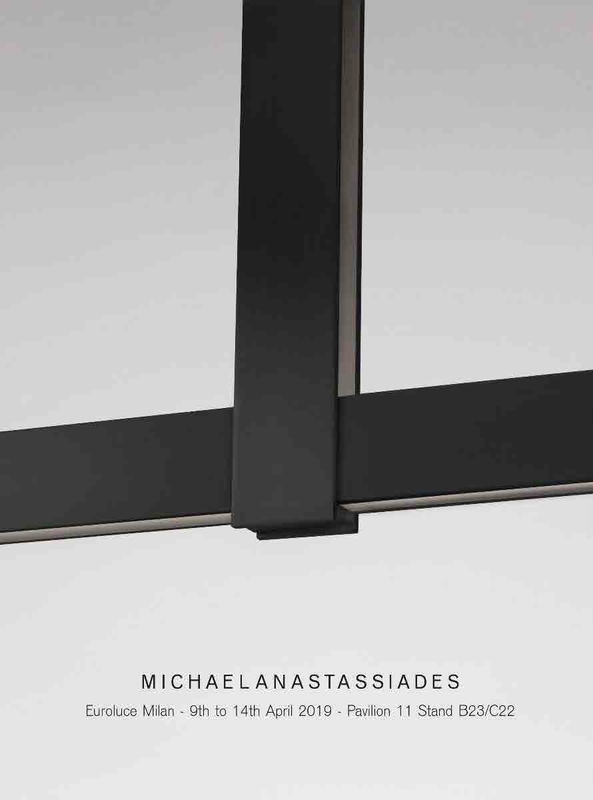 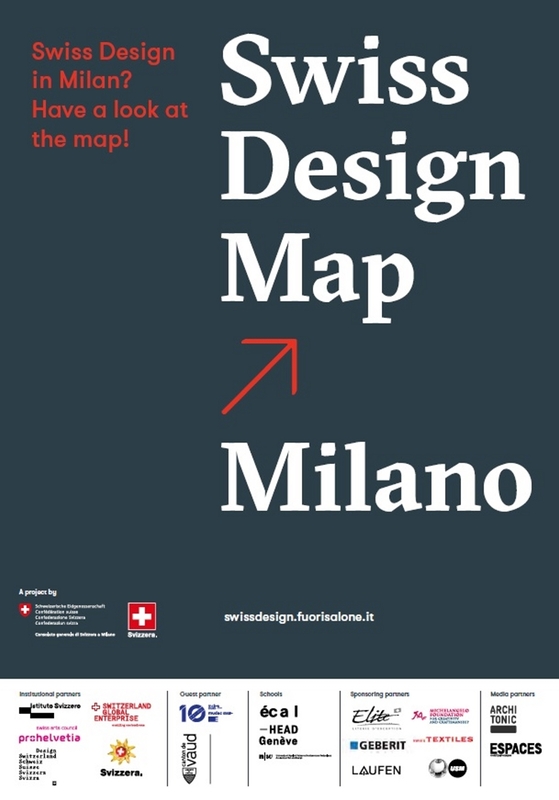 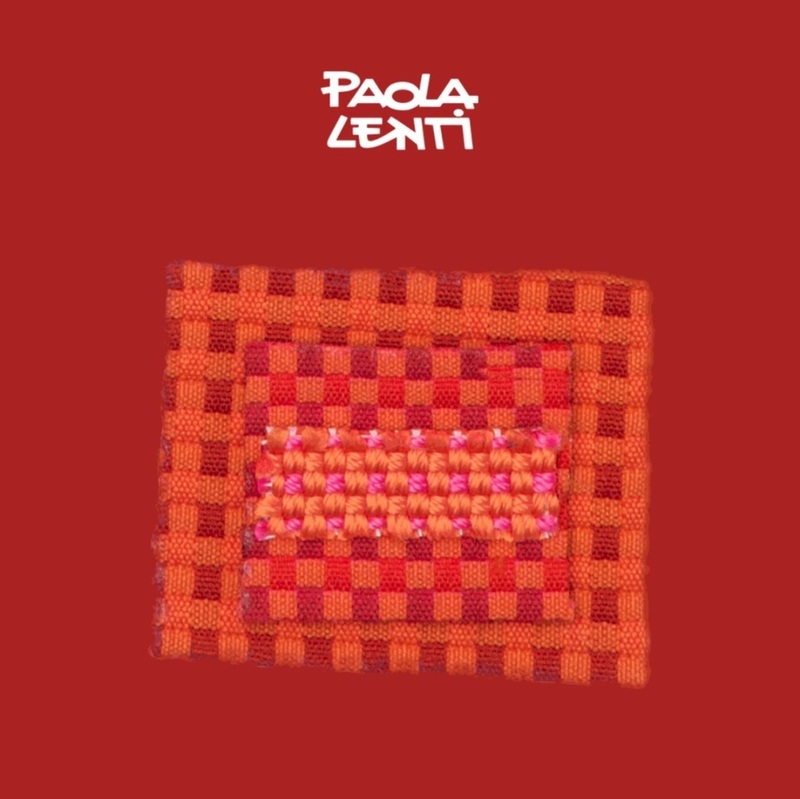 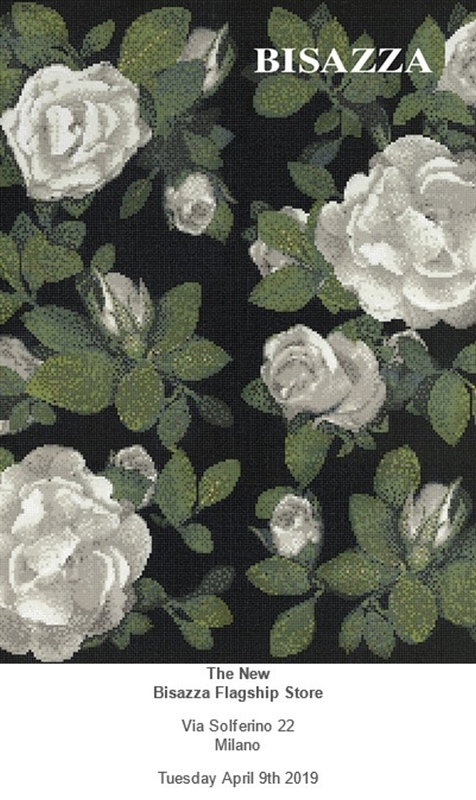 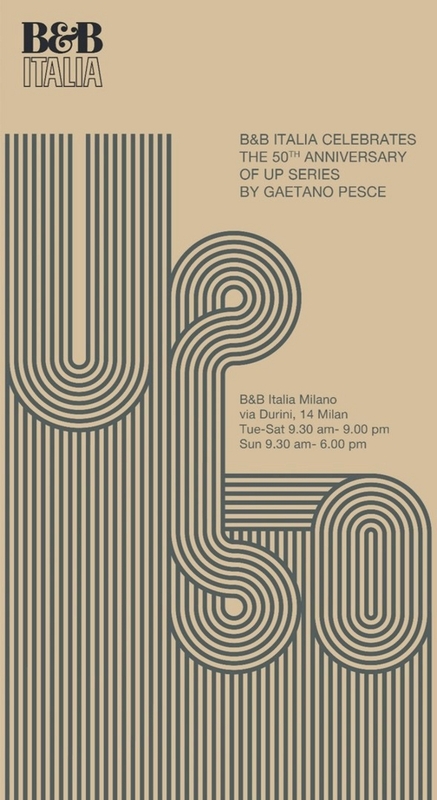 Its motto is “Made in Italy”, which combines tradition and innovation simultaneously. 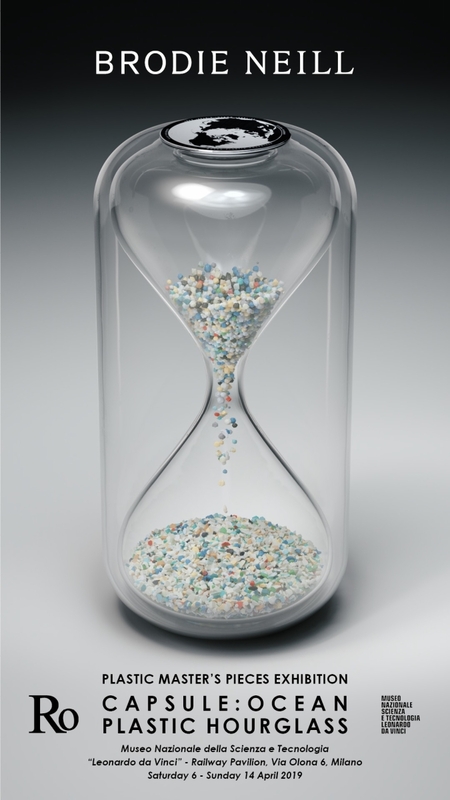 Every detail is constantly updated by new technologies. 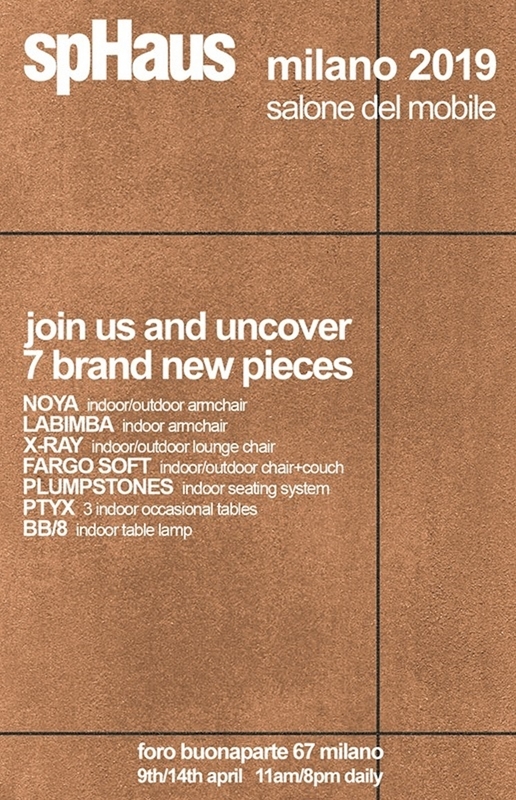 In addition, each project, interior or exterior, is all about elegance and comfort. 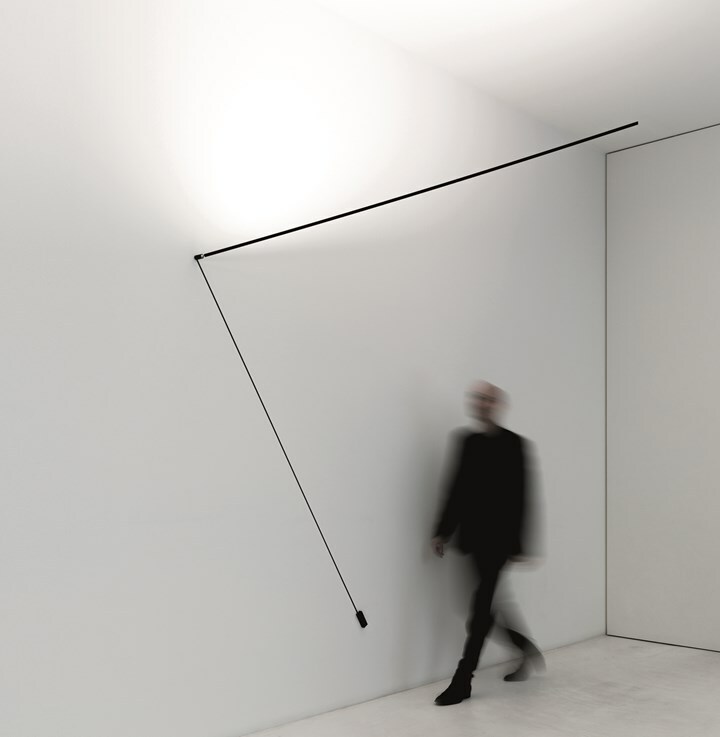 The installation mimics Marcel Breuer’s original design of the Whitney Museum of American Art. 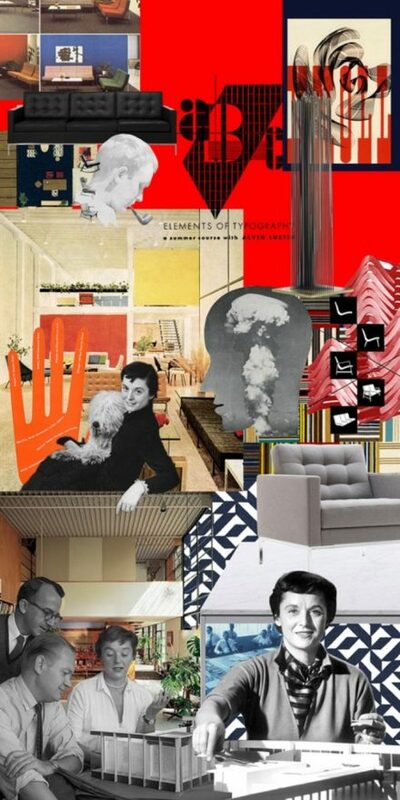 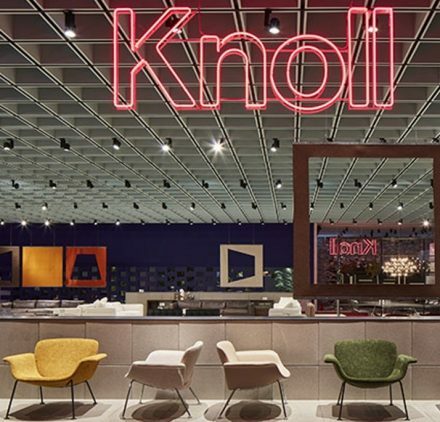 Knoll will also celebrate the Bauhaus centennial, presenting new collections and iconic products that together emphasize the Knoll modernist tradition. 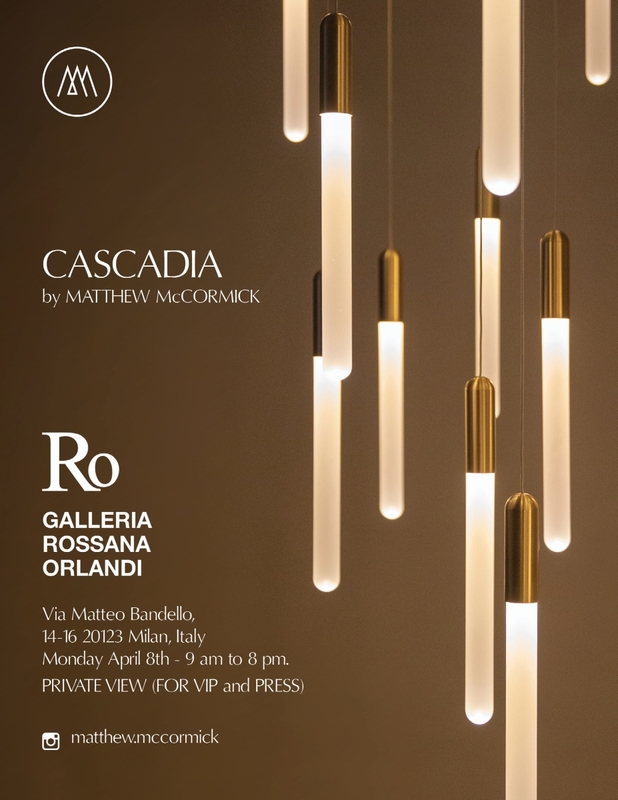 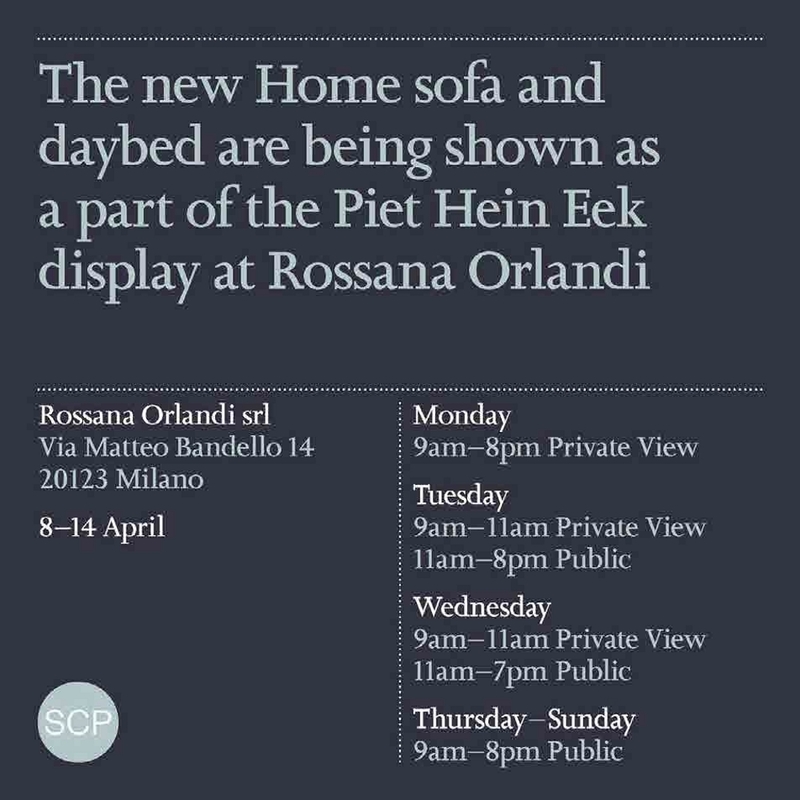 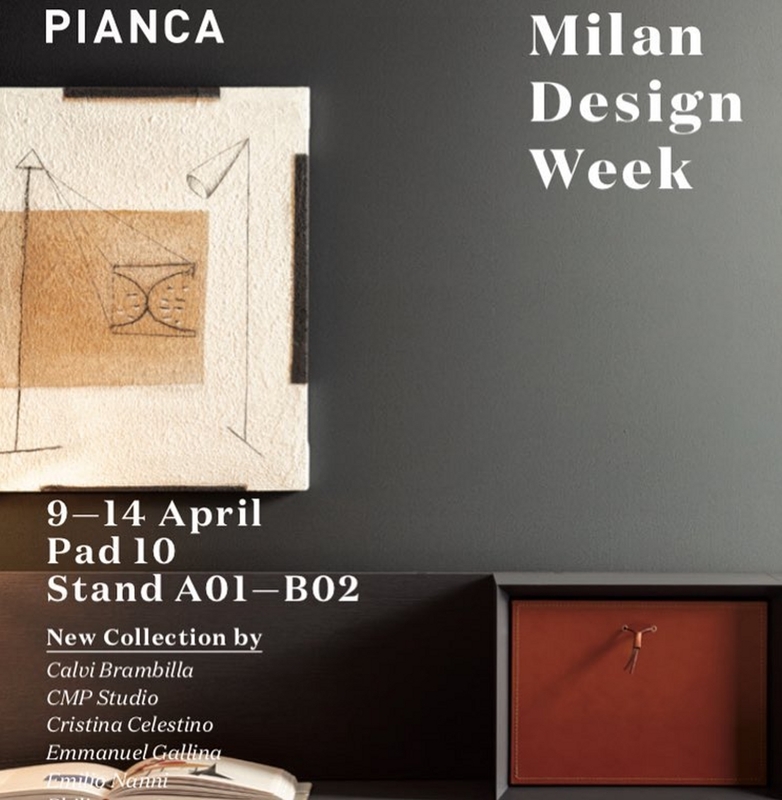 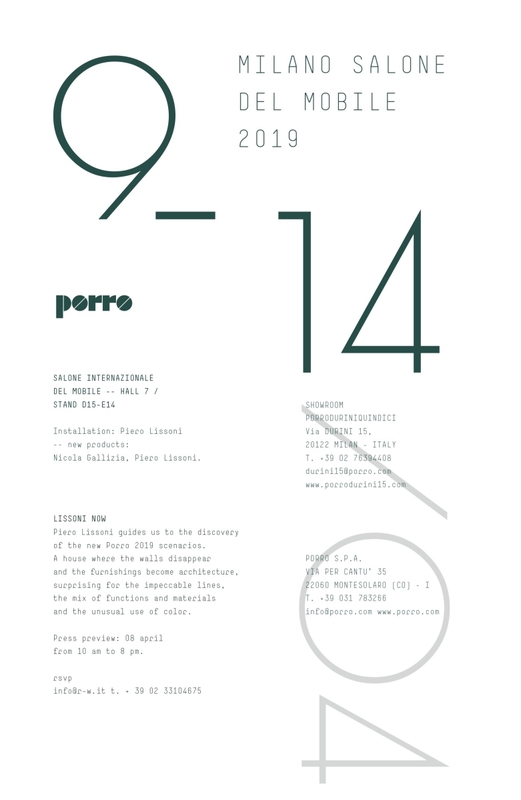 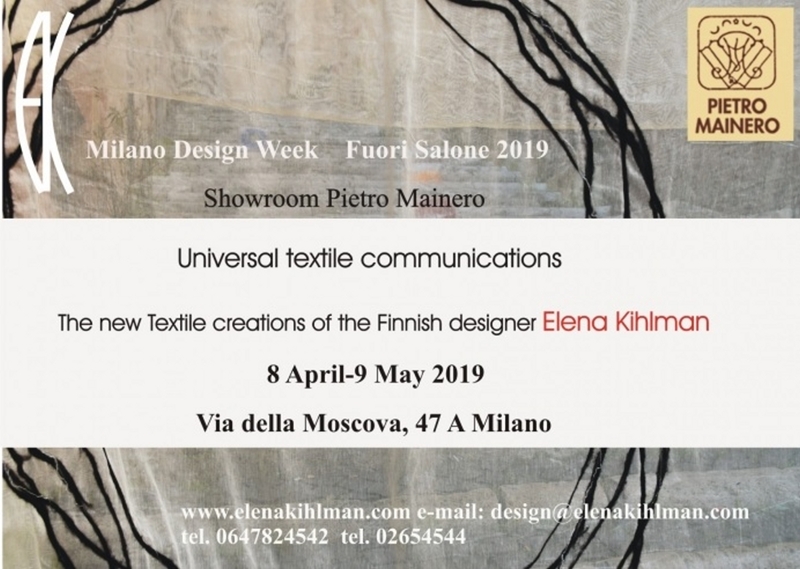 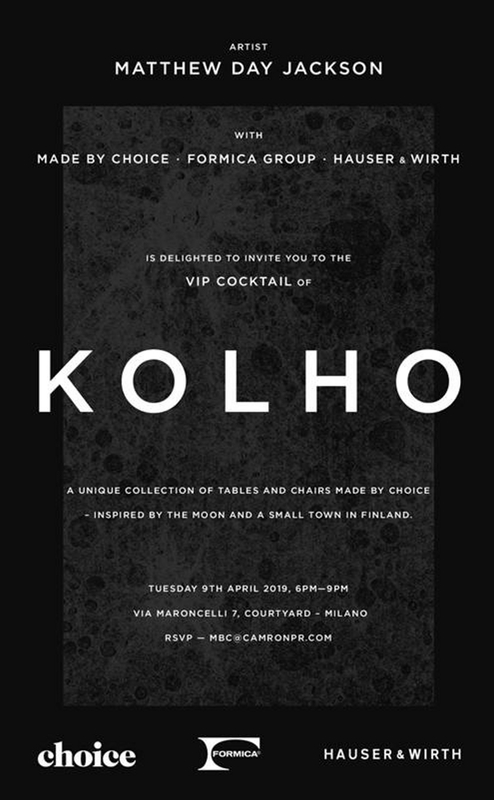 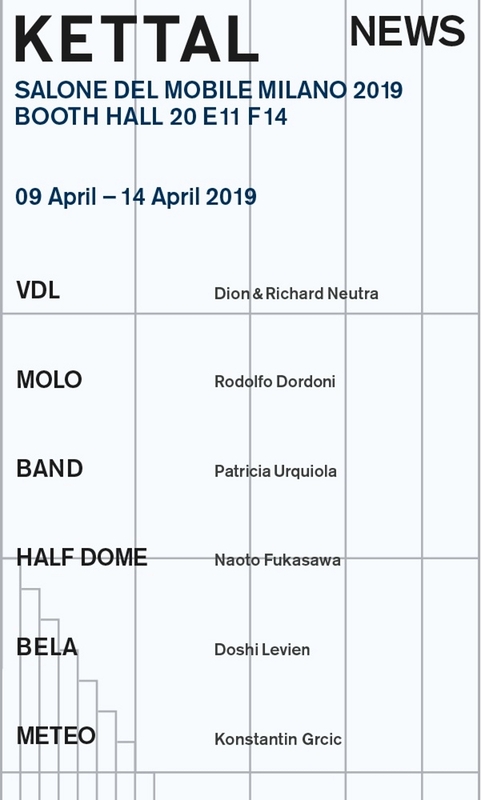 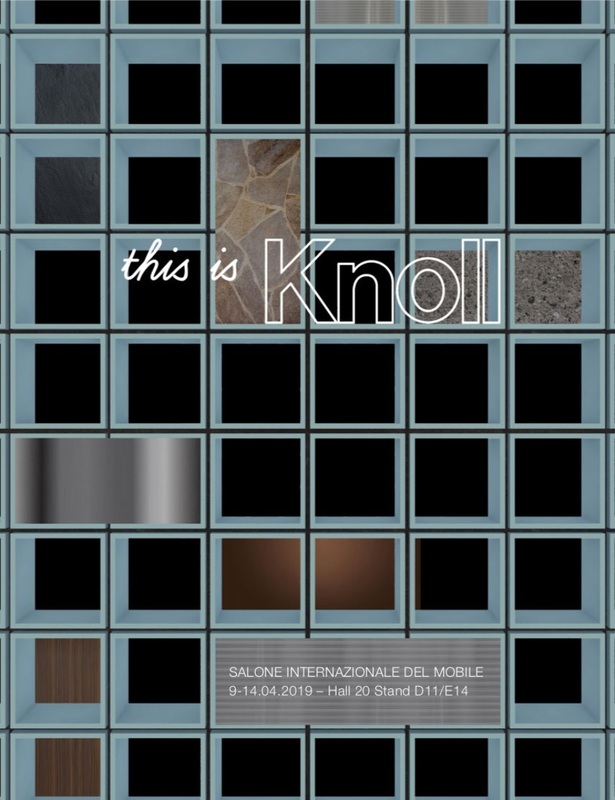 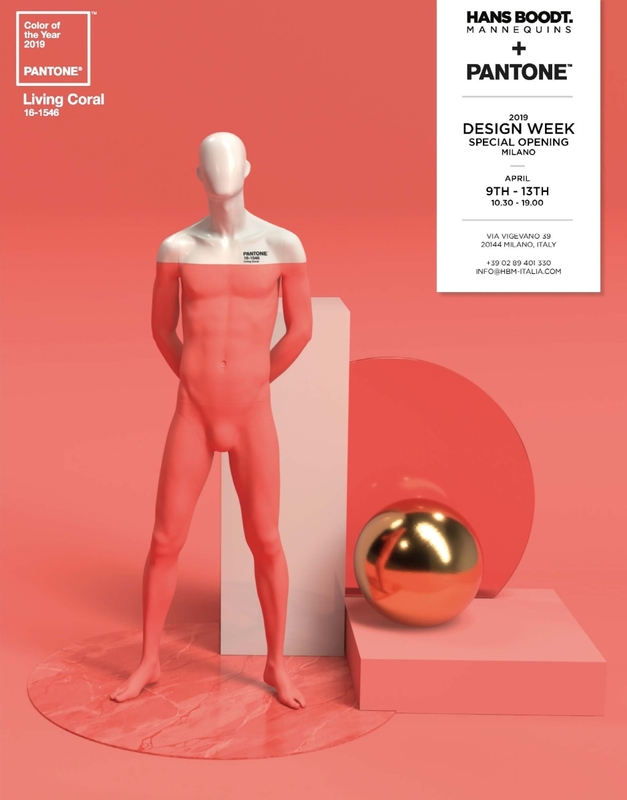 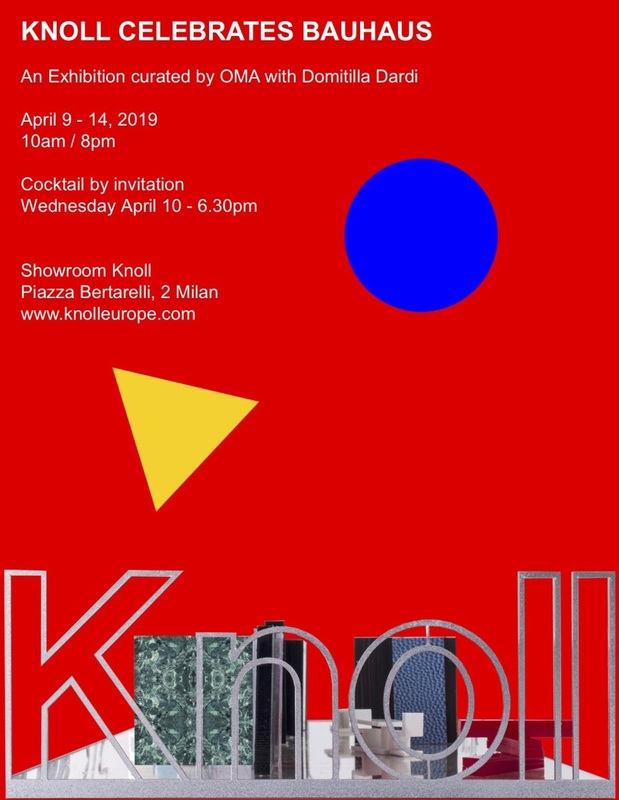 Knoll will present new designs by Piero Lissoni and Barber & Osgerby, with reimagined Modern classics by distinguished designers like Florence Knoll, Mies van der Rohe, Eero Saarinen and Harry Bertoia, in a contemporary lifestyle display. 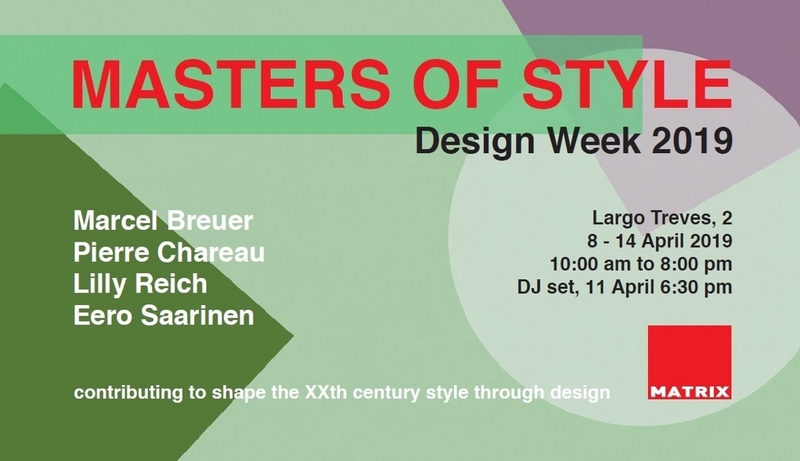 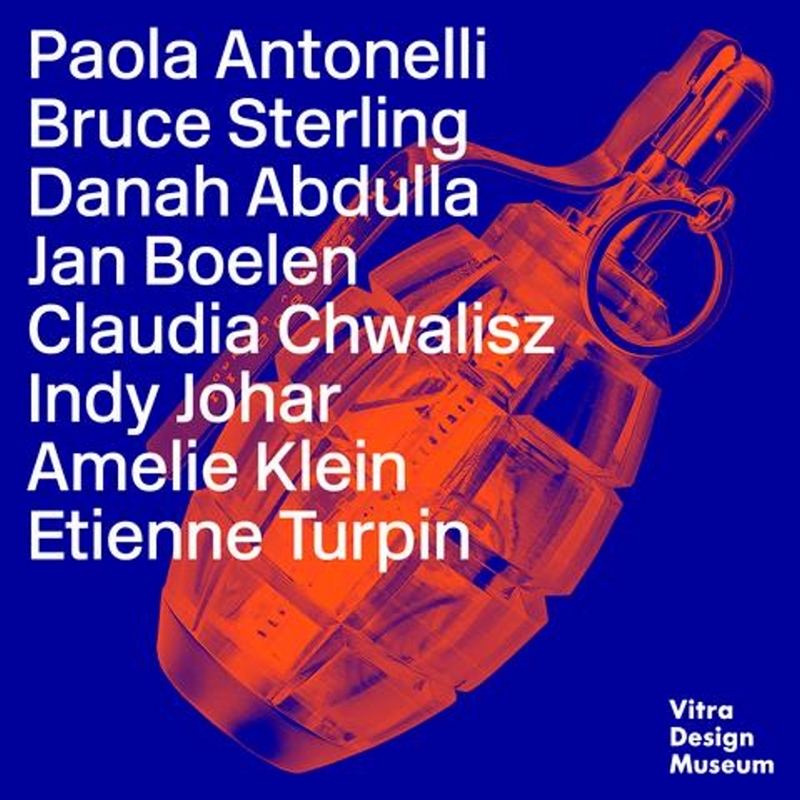 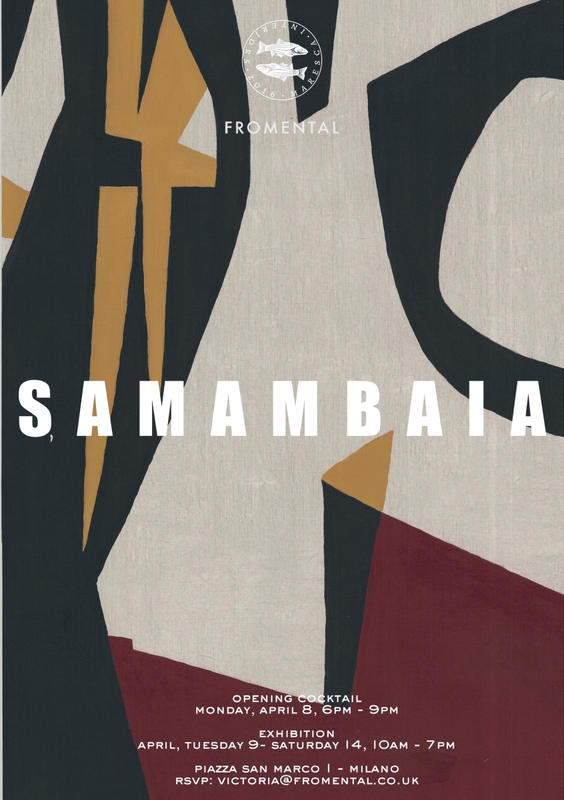 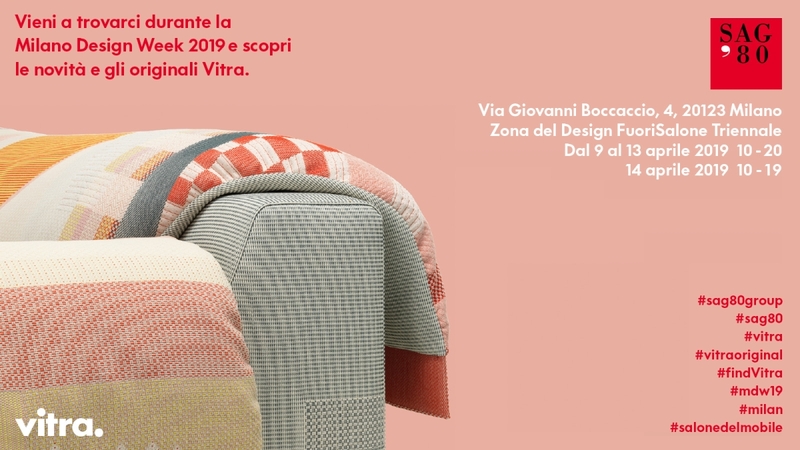 The exhibition shows the successful collaboration between the company and some of the greatest designers associated with the Bauhaus, celebrating values that are still central to its iconic home and office production. 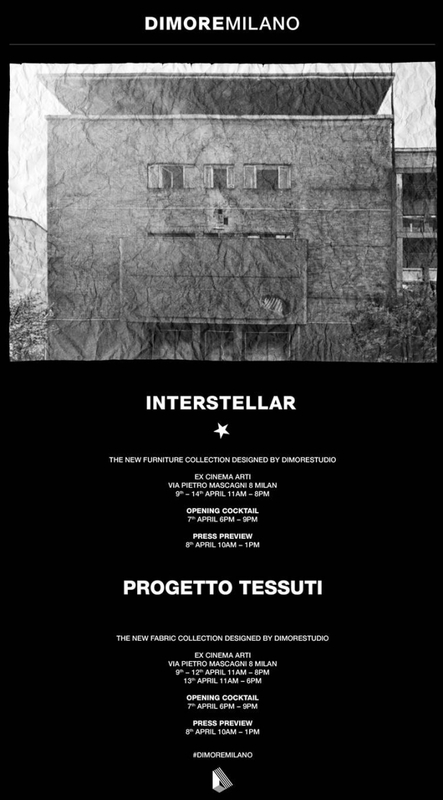 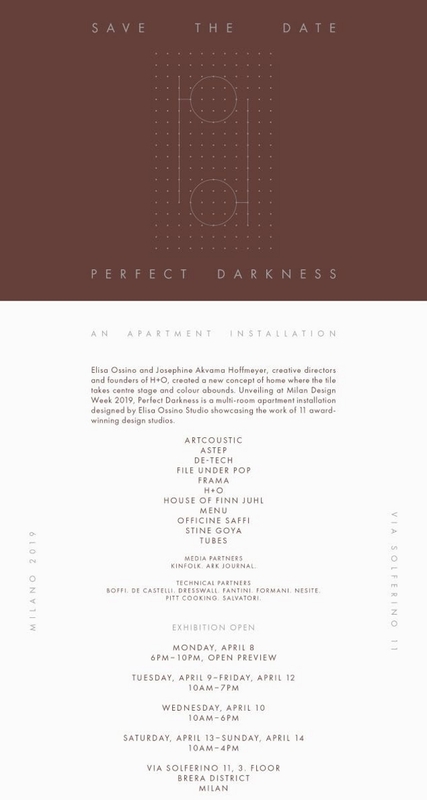 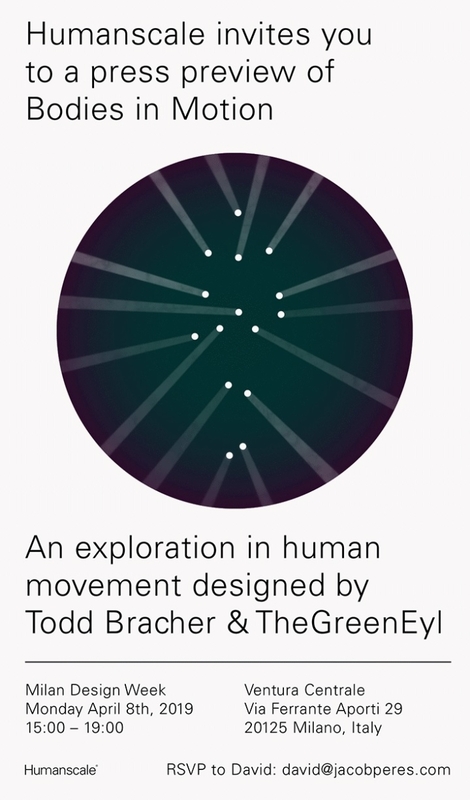 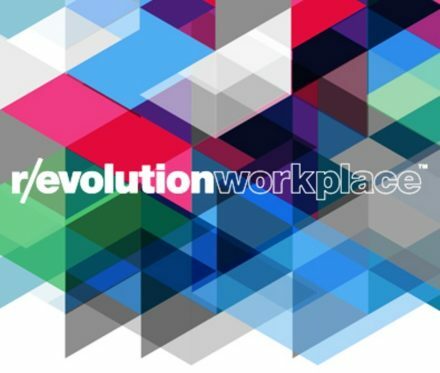 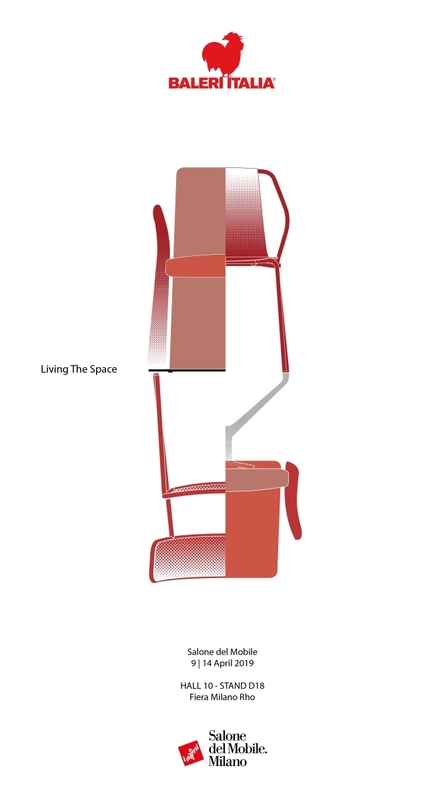 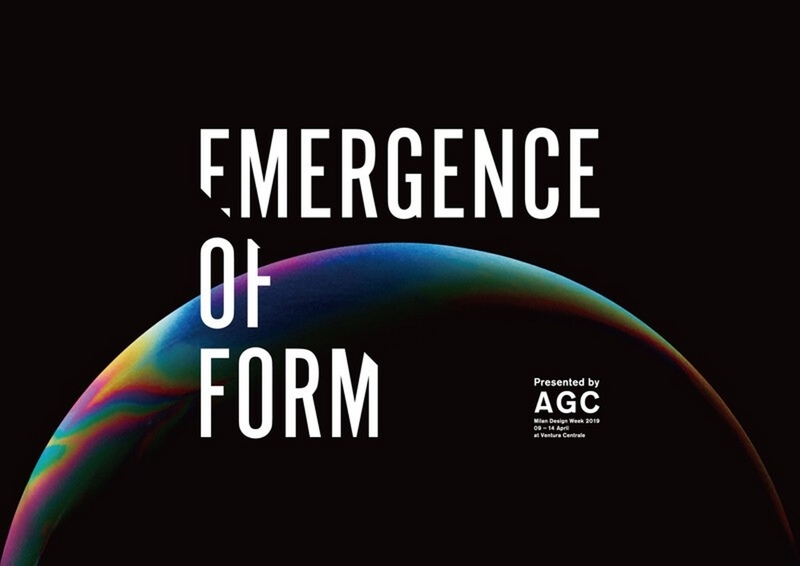 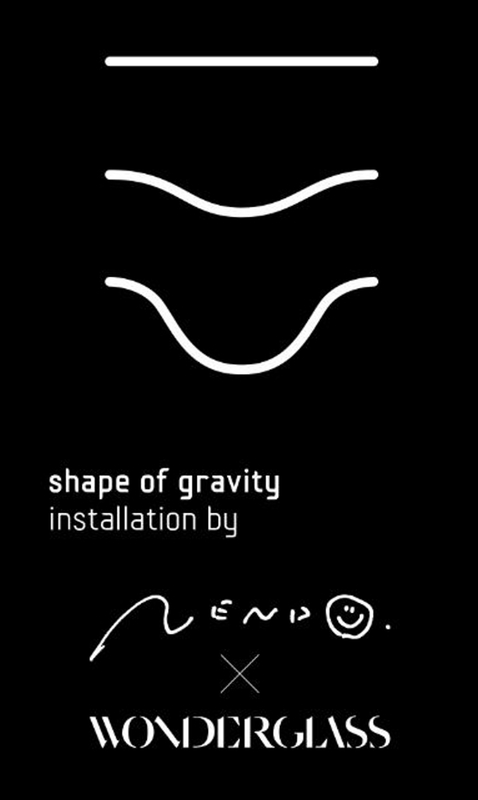 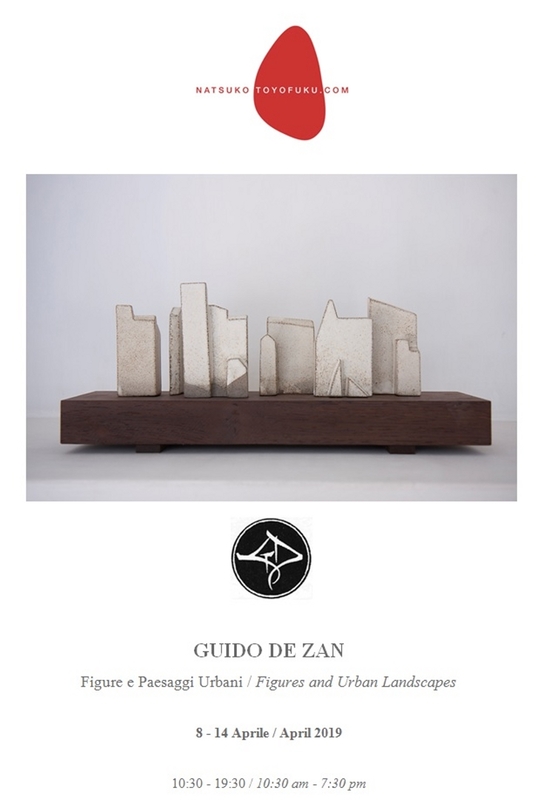 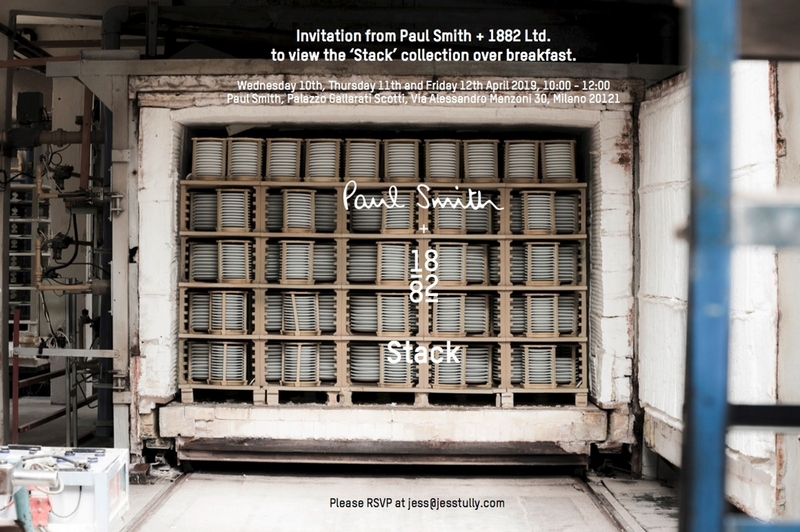 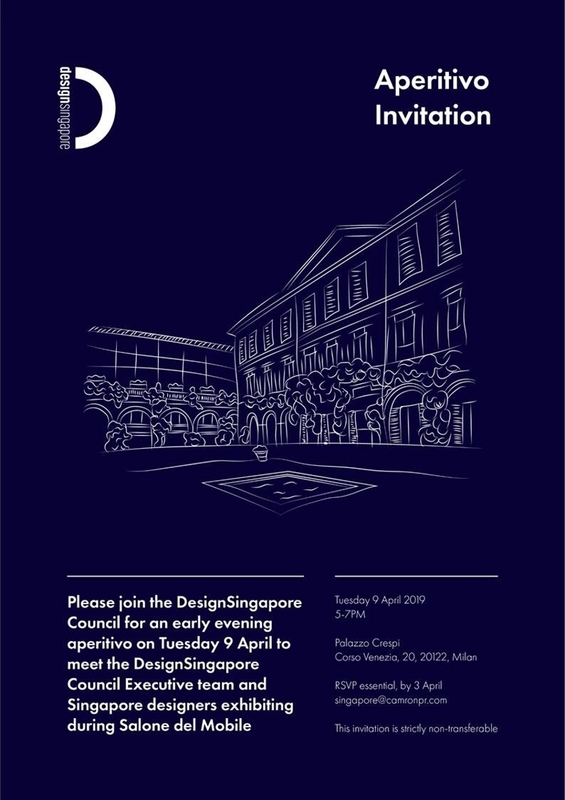 The creative thinking of the company permeating throughout the entire proposal – from the furniture products, to the moving ceramic, metal and fabric installations, to the decorations of the architecture – will reveal to the spectators how all the elements interpreting this scenery contribute to the creation of a coherent and balanced wholeness. 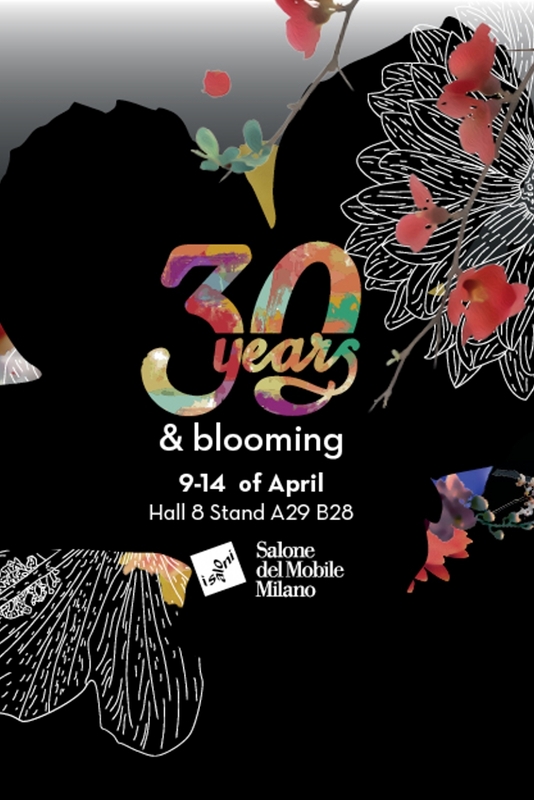 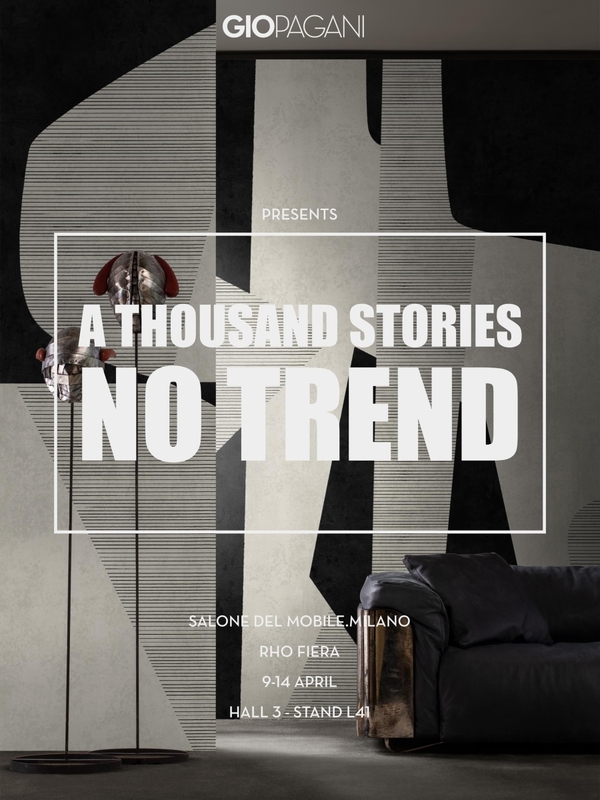 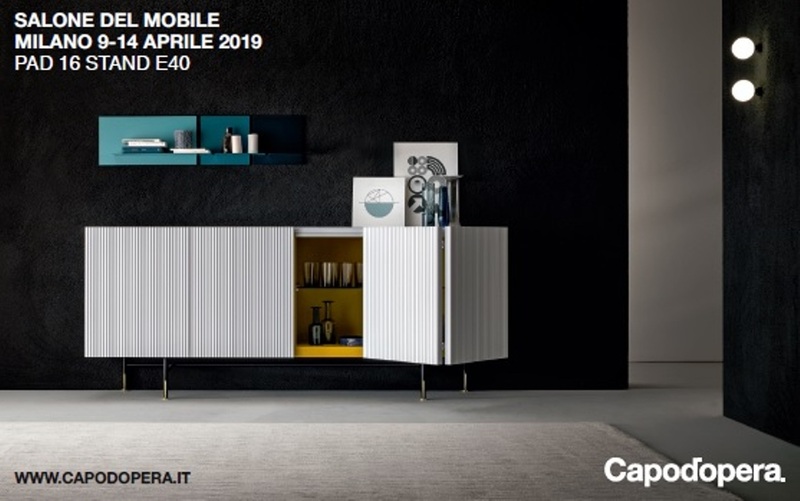 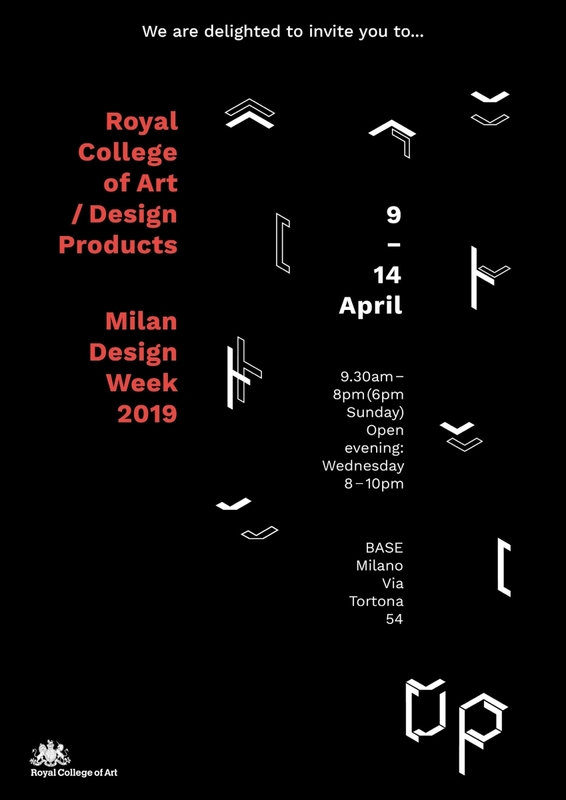 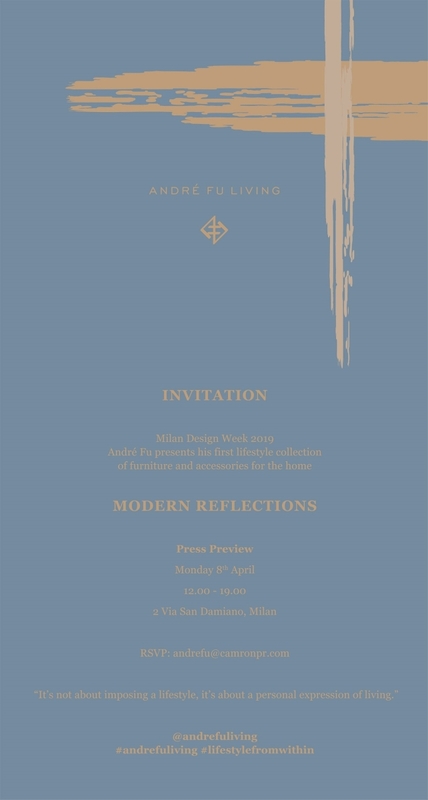 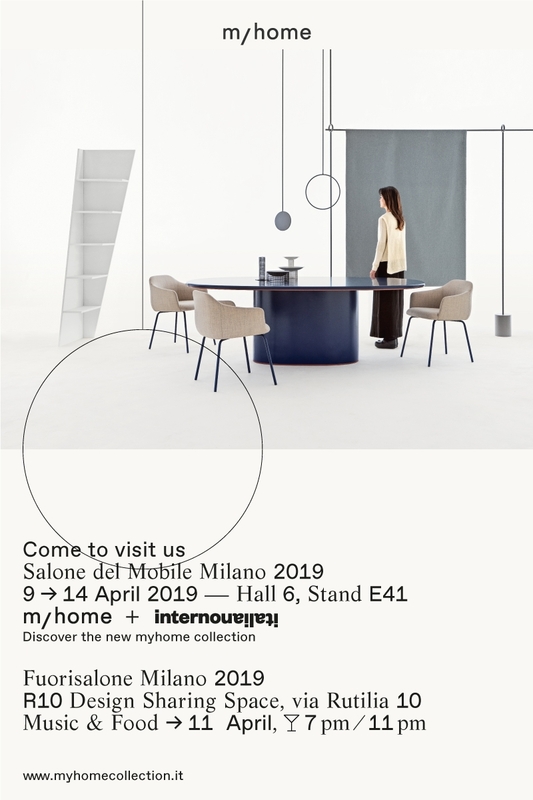 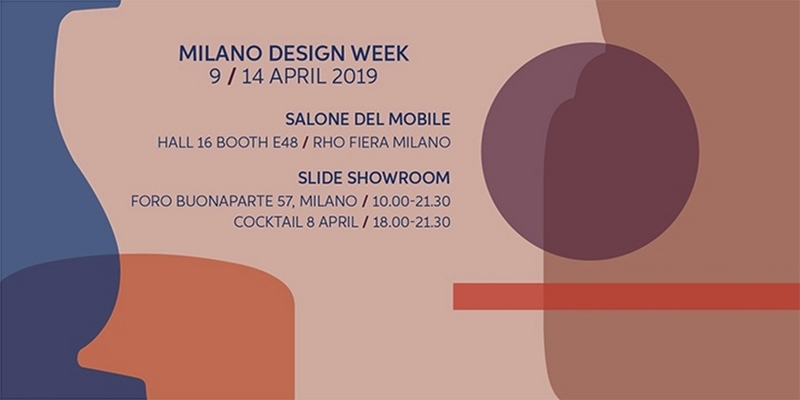 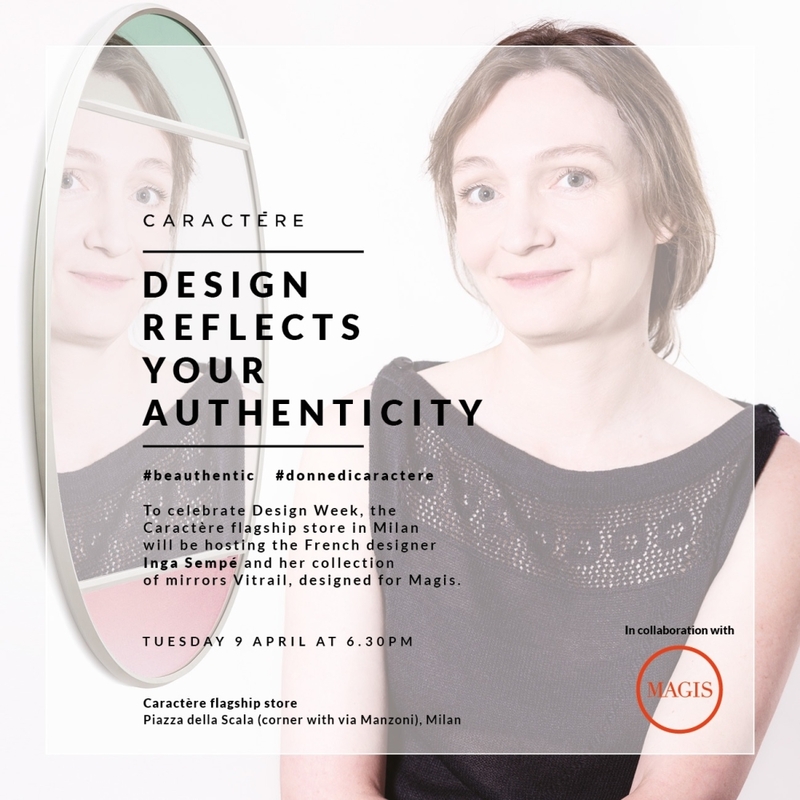 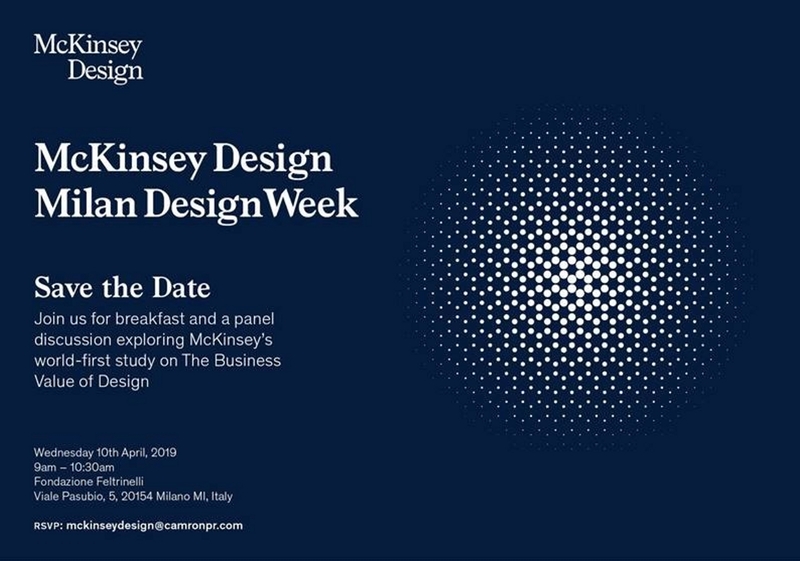 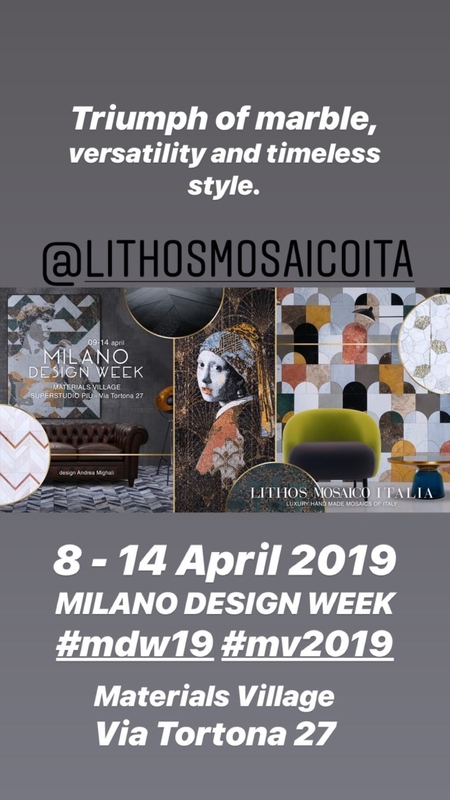 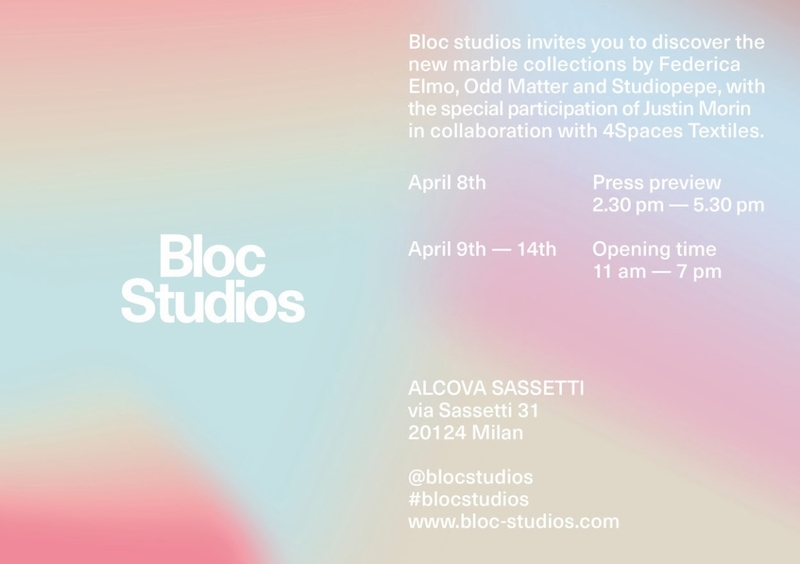 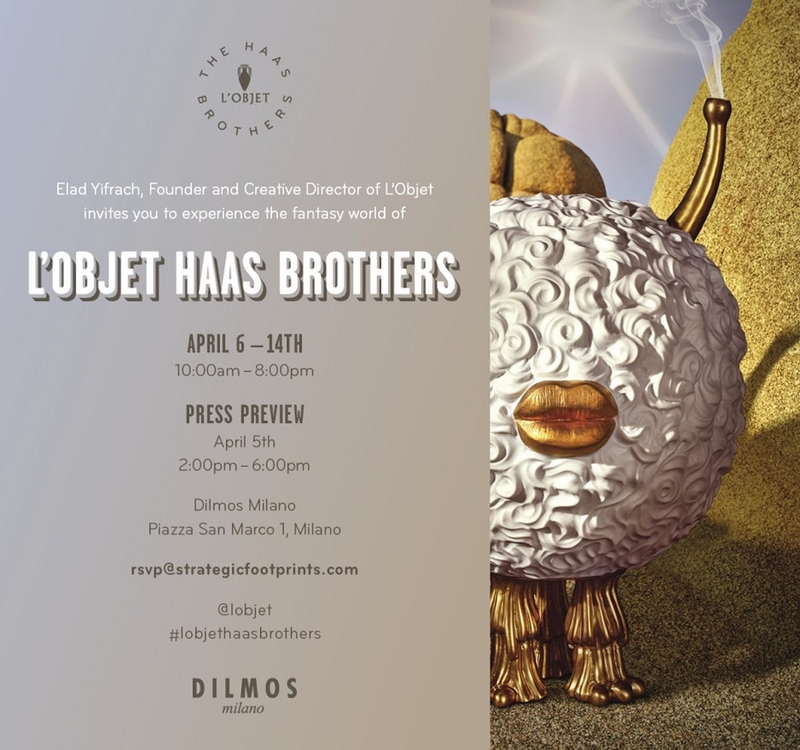 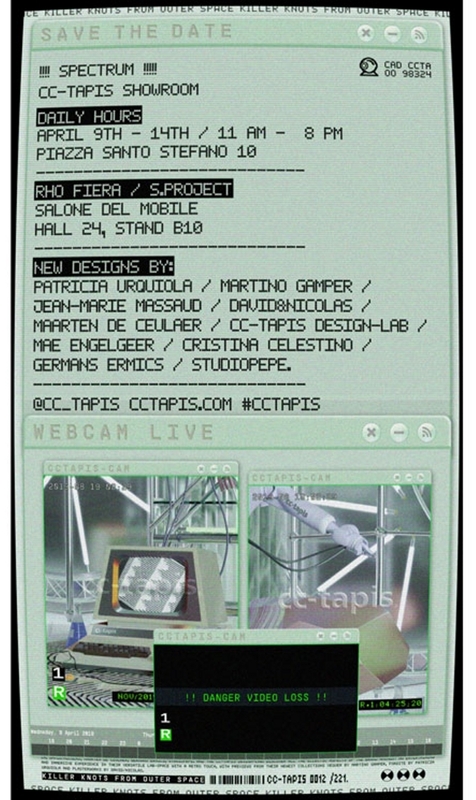 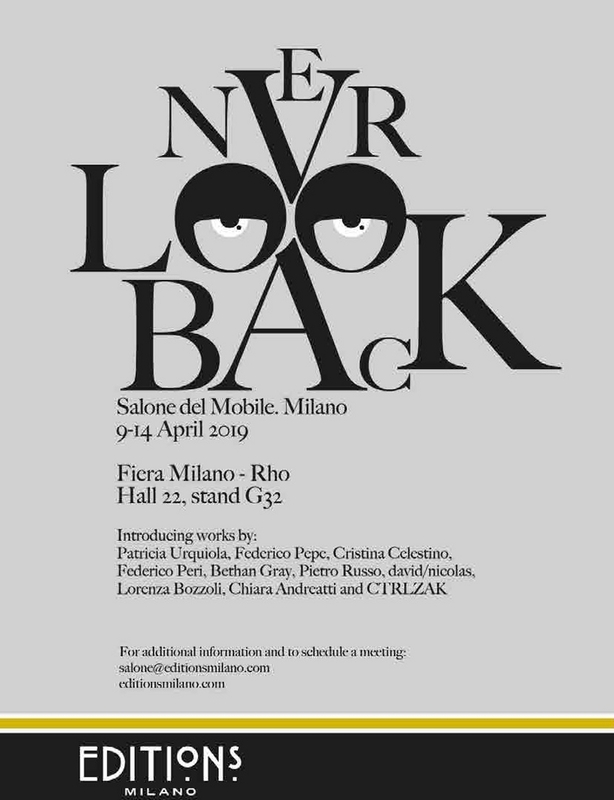 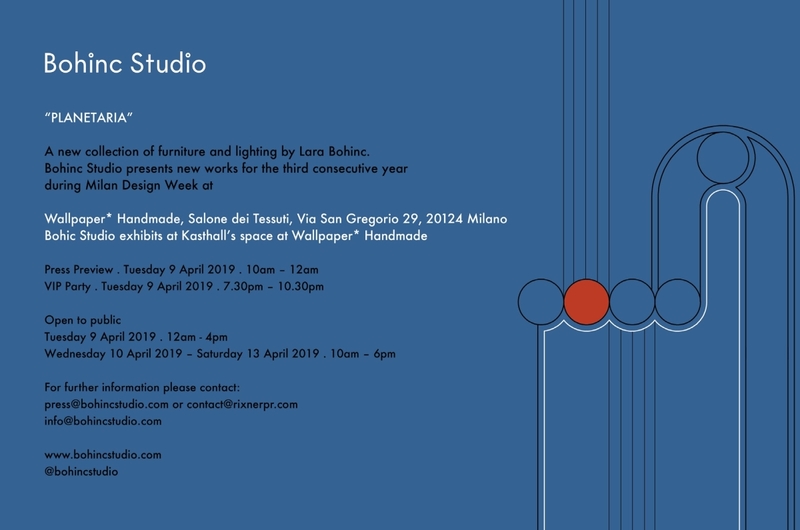 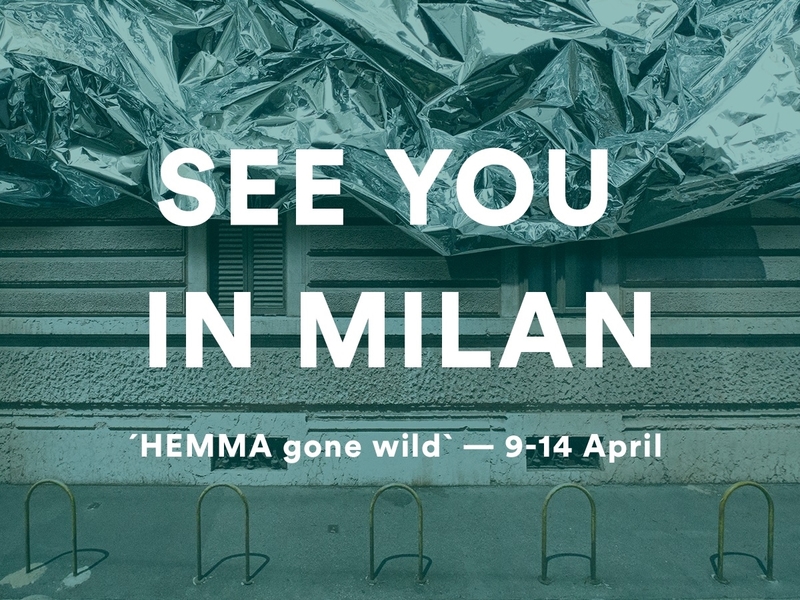 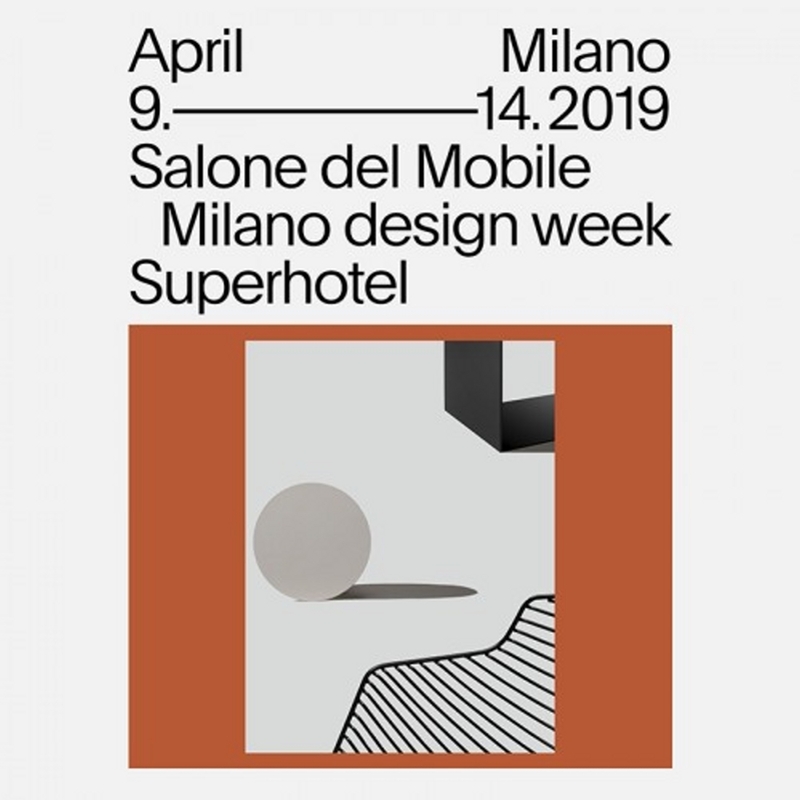 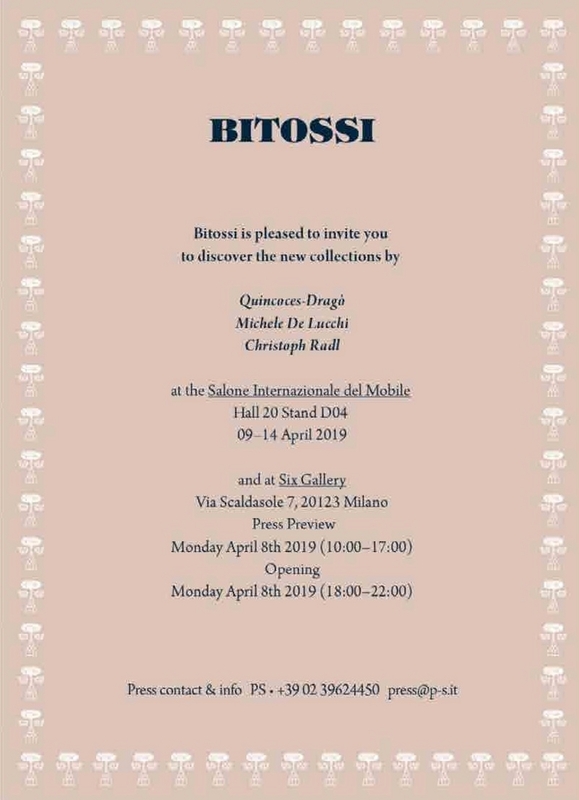 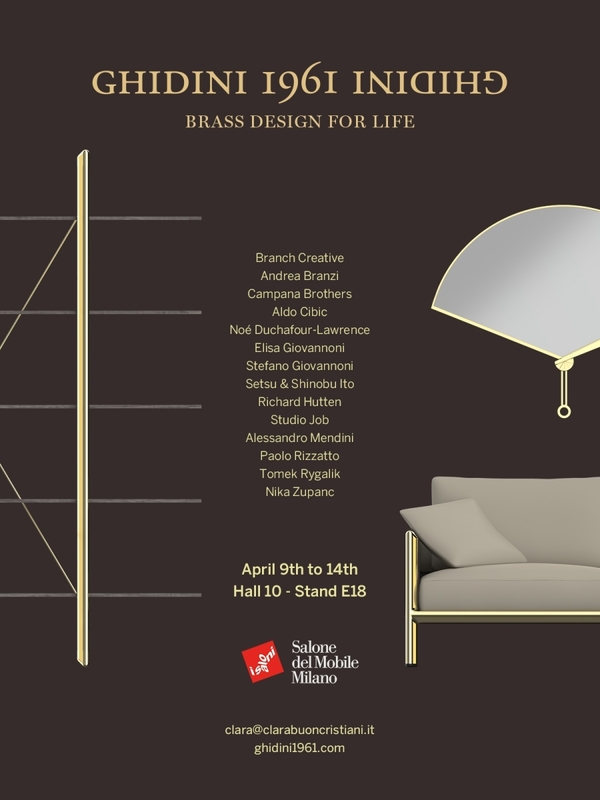 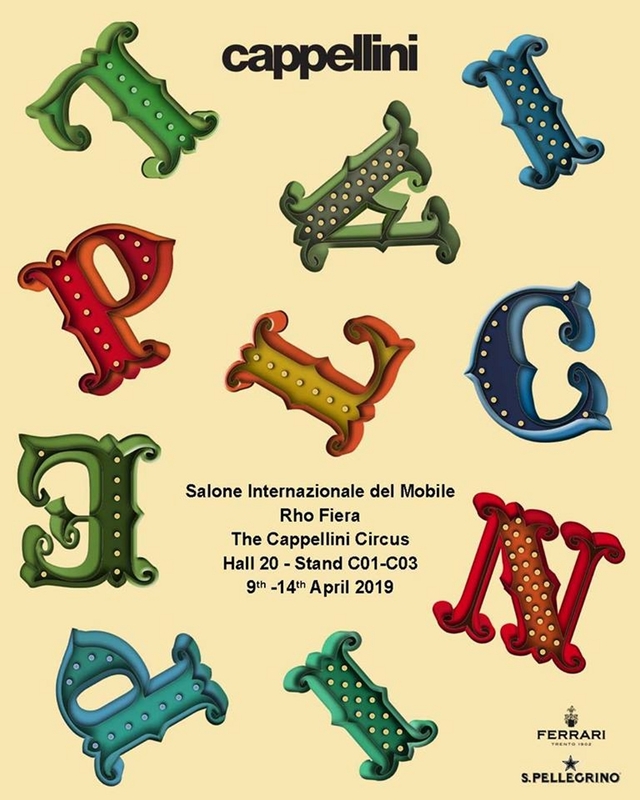 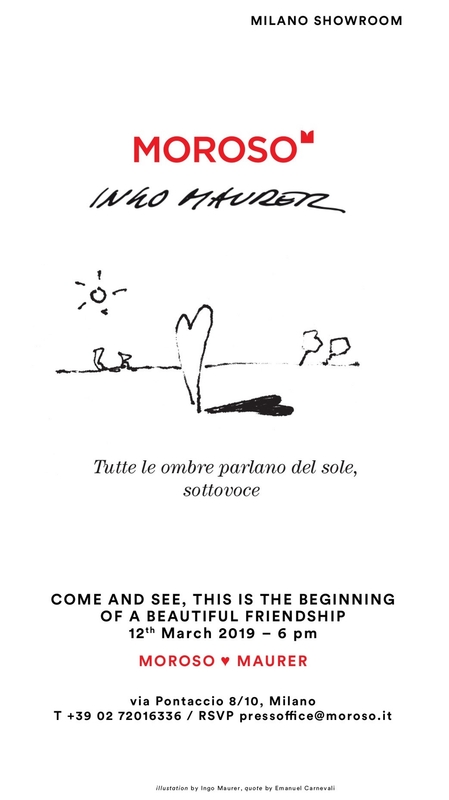 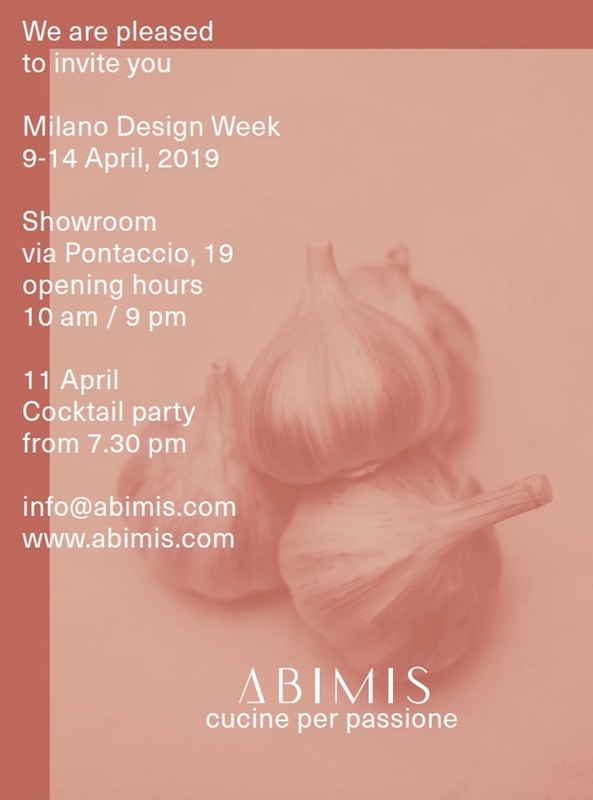 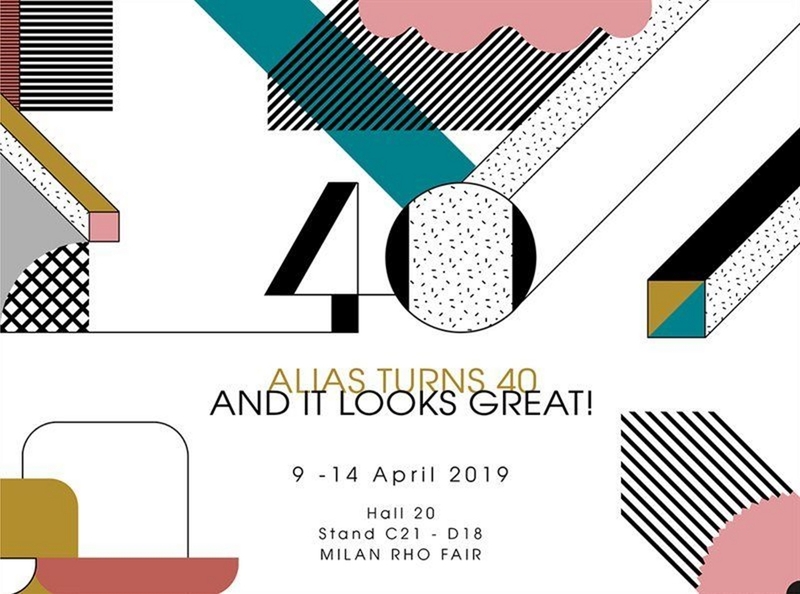 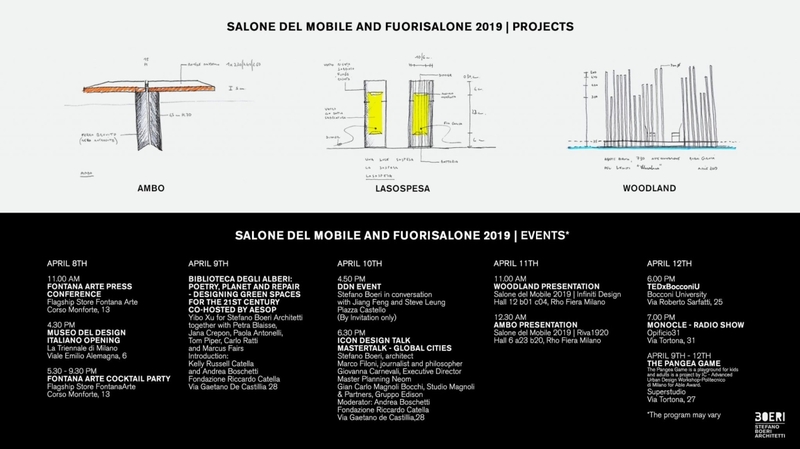 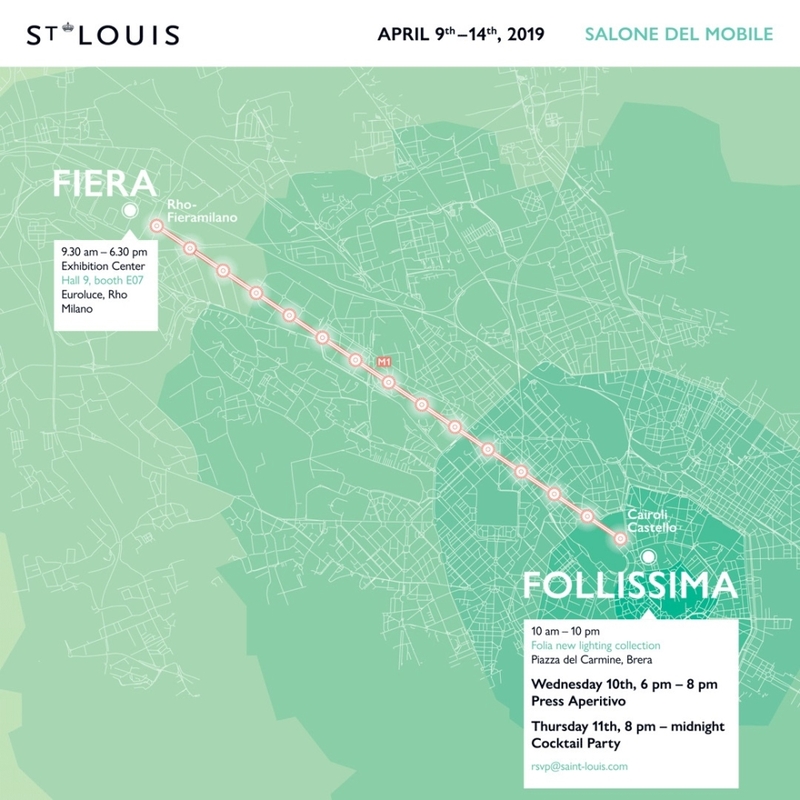 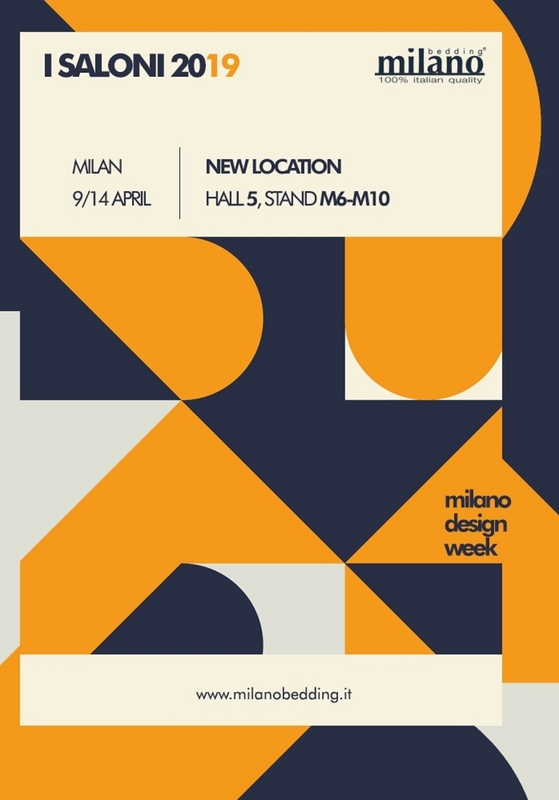 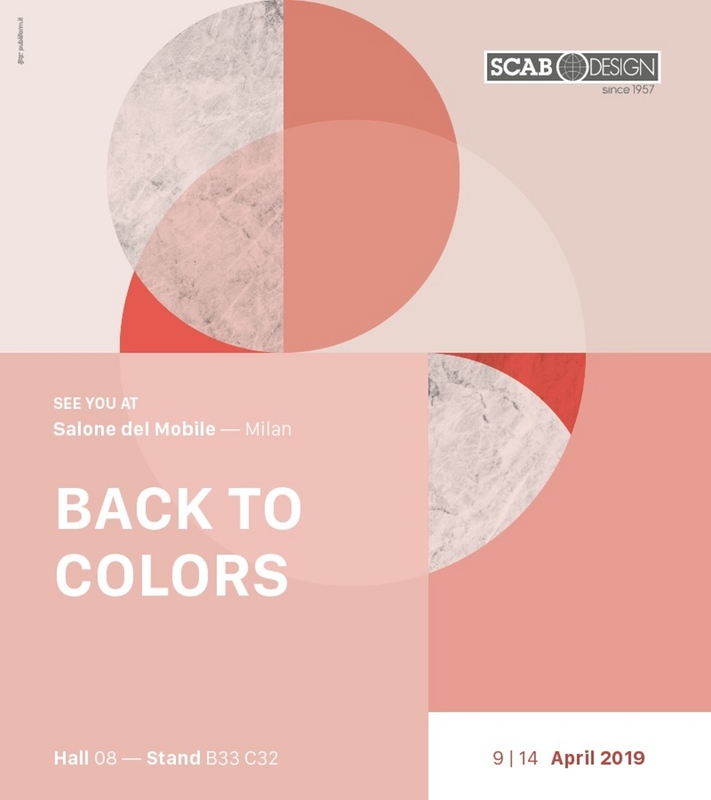 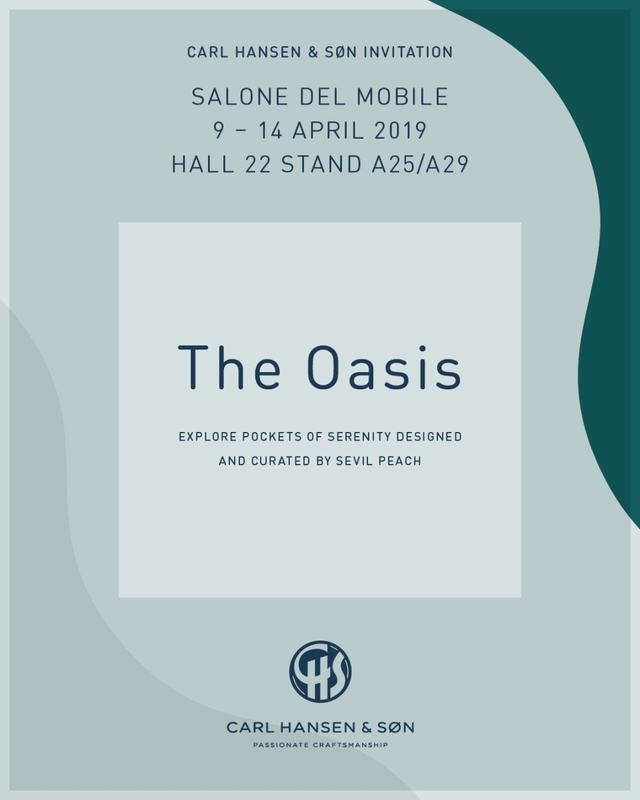 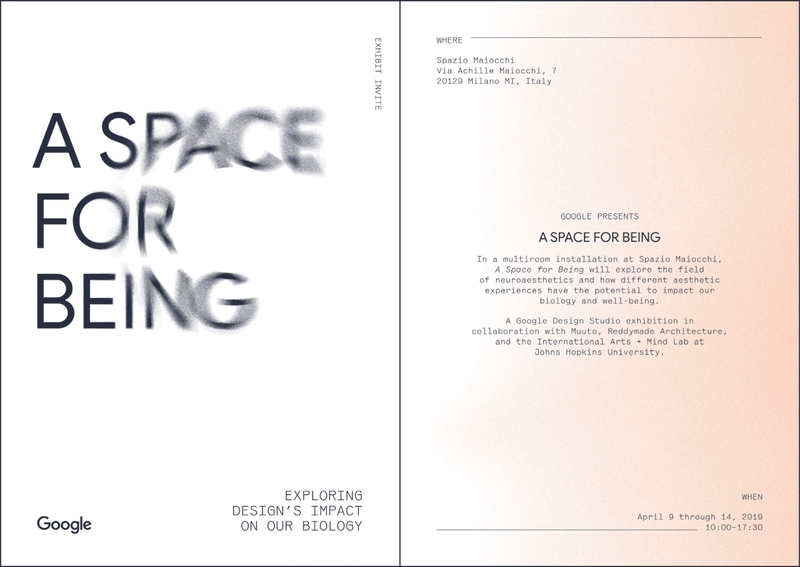 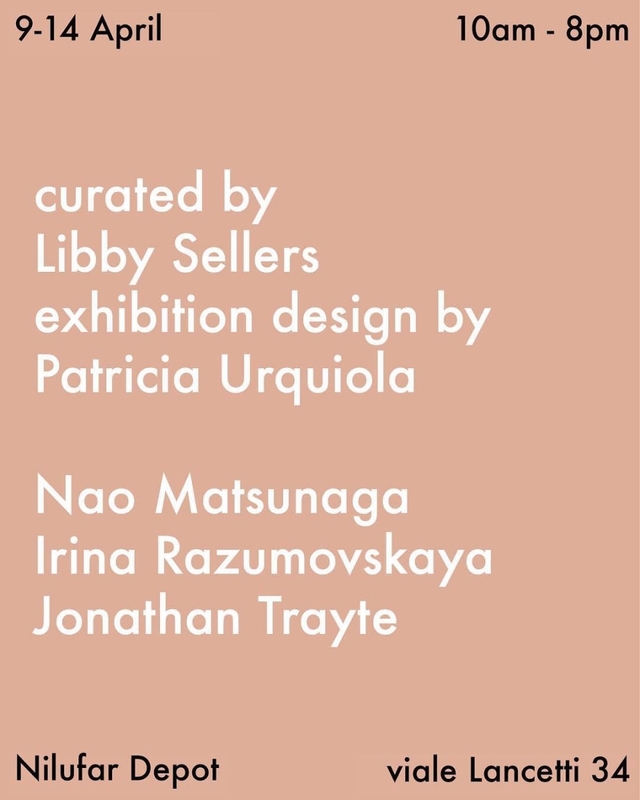 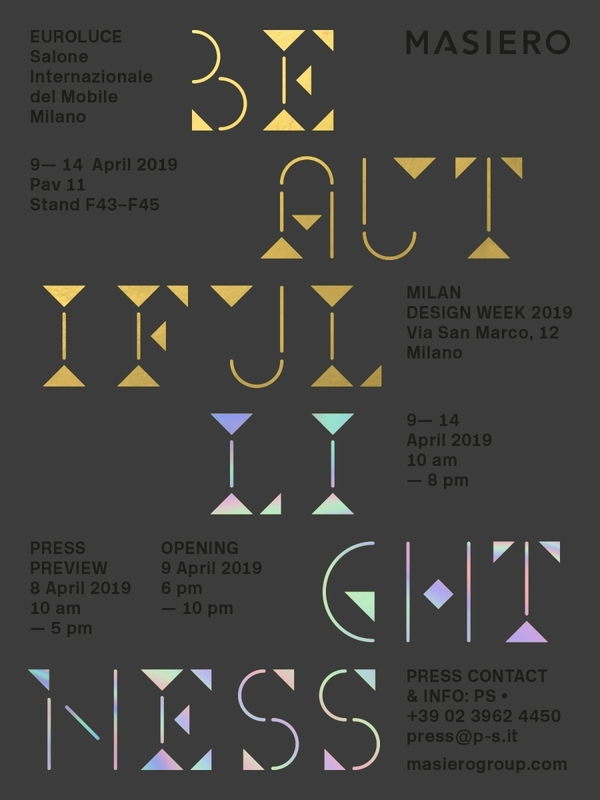 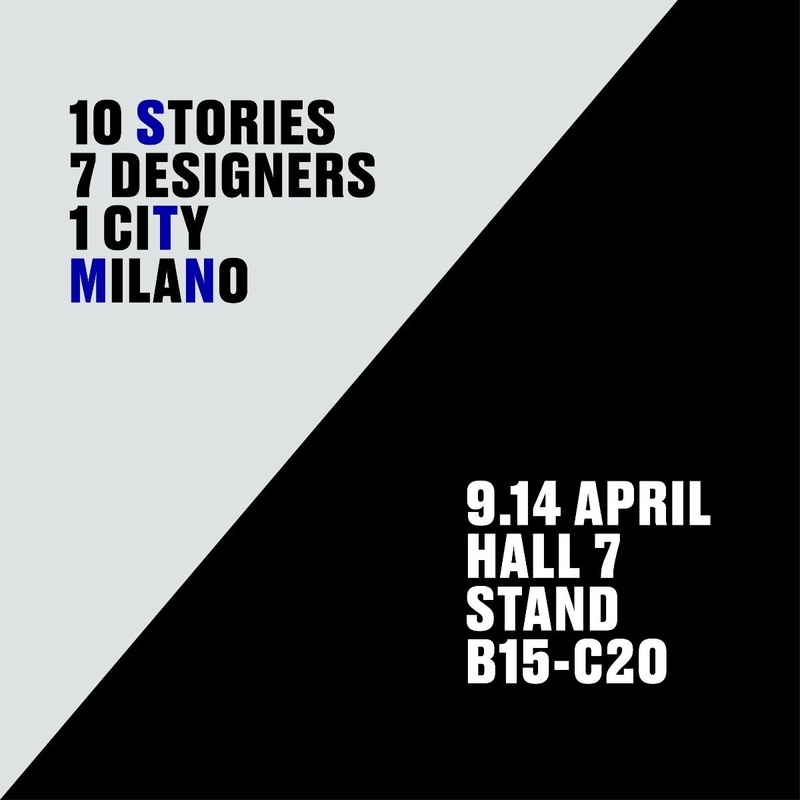 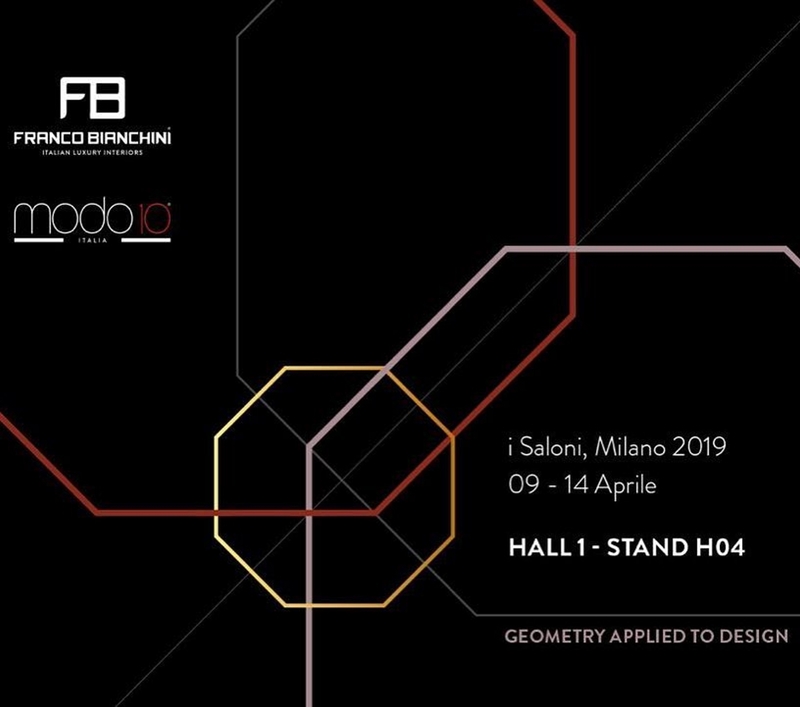 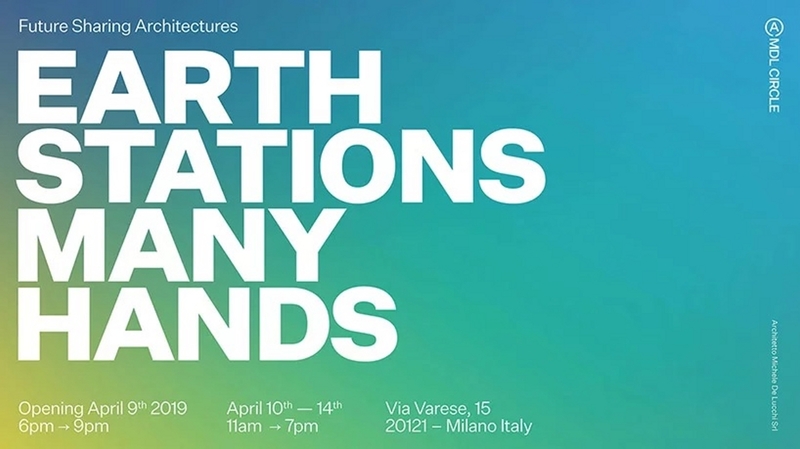 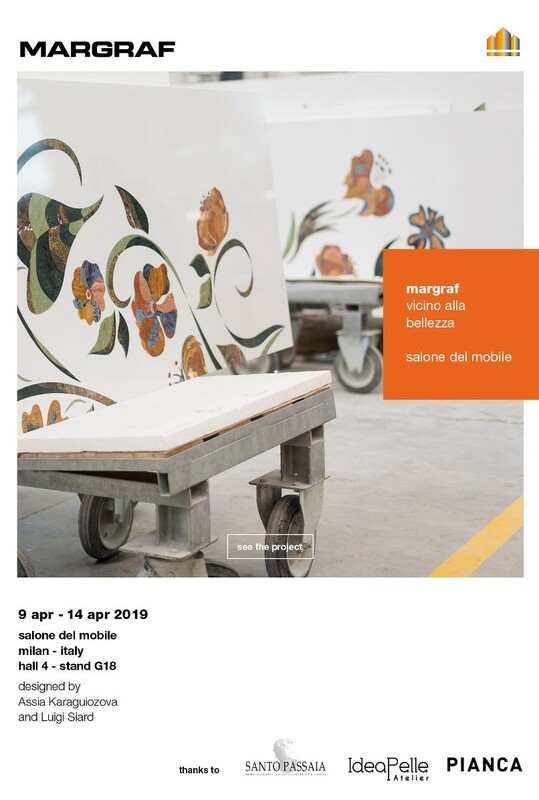 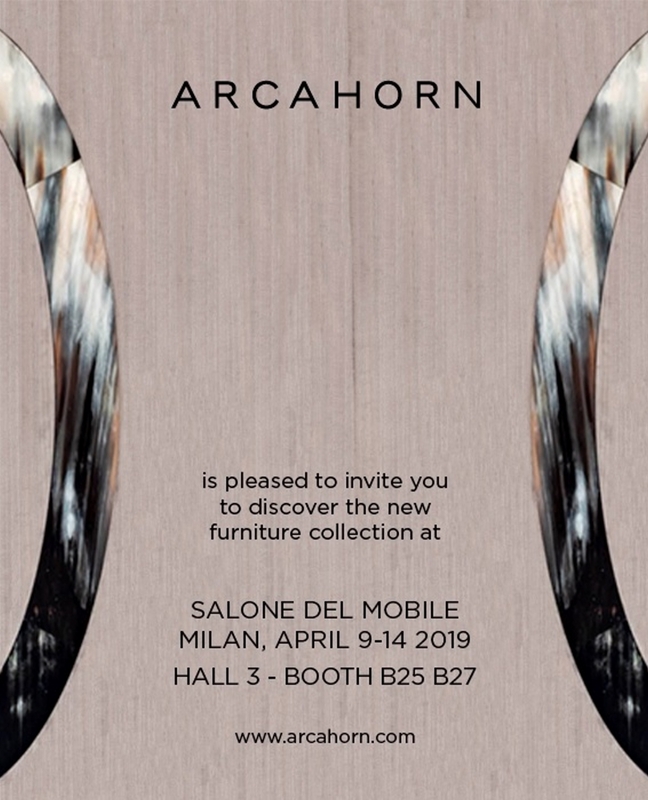 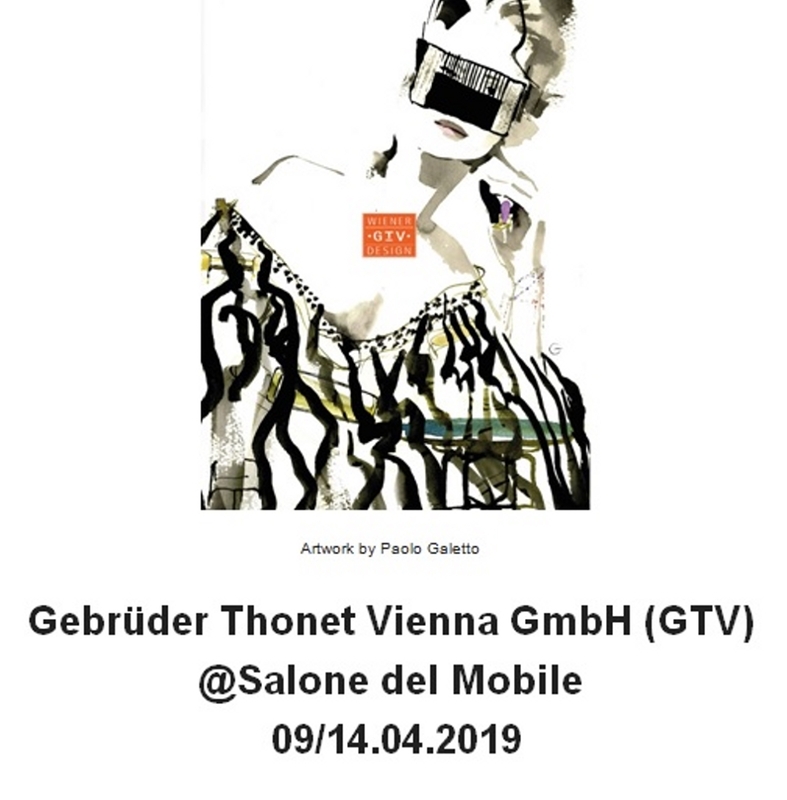 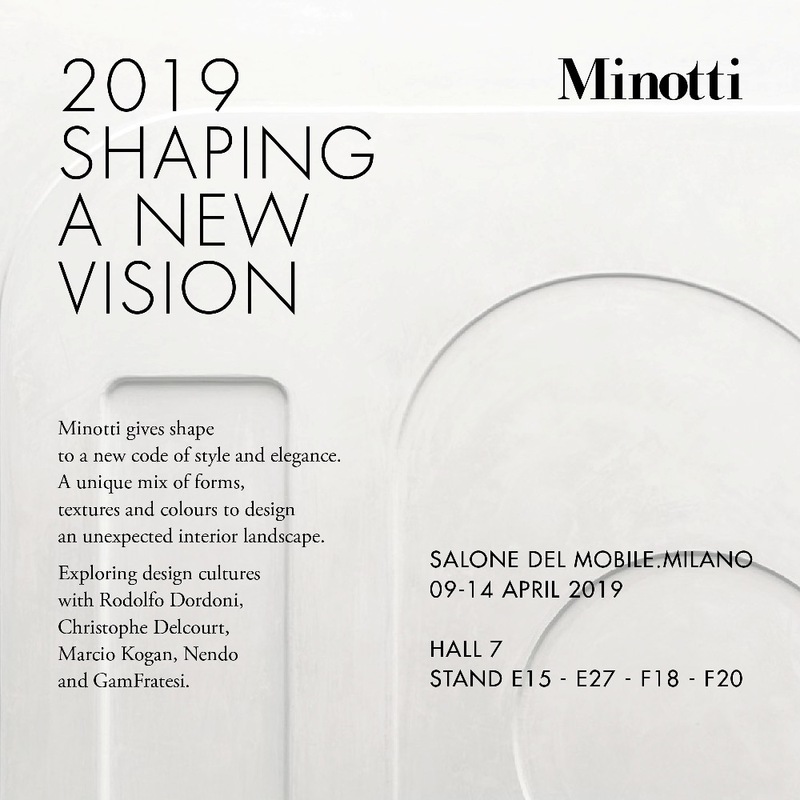 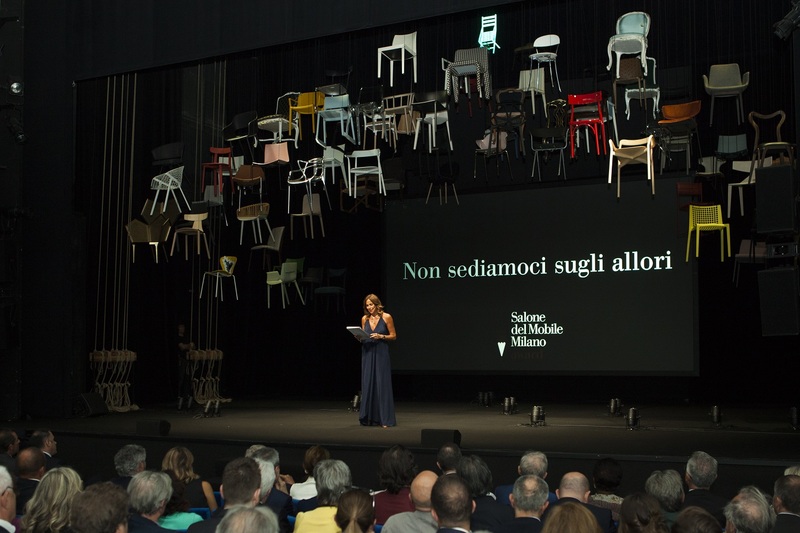 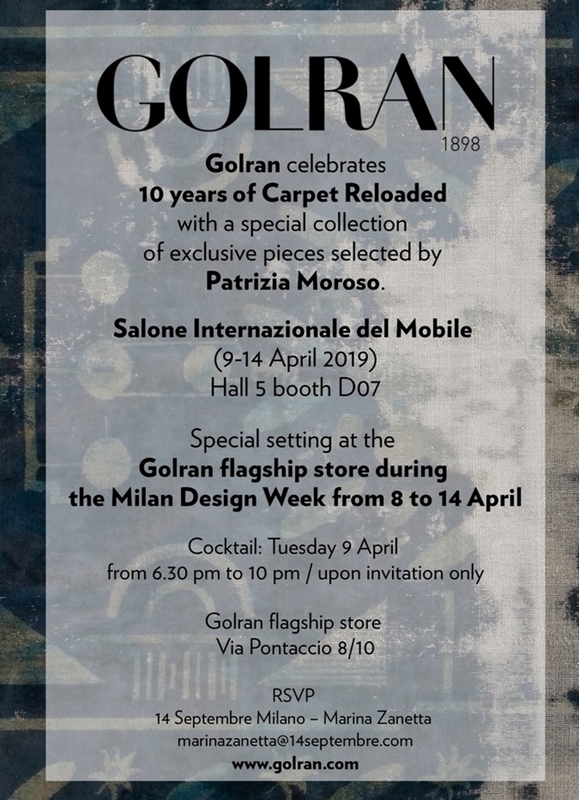 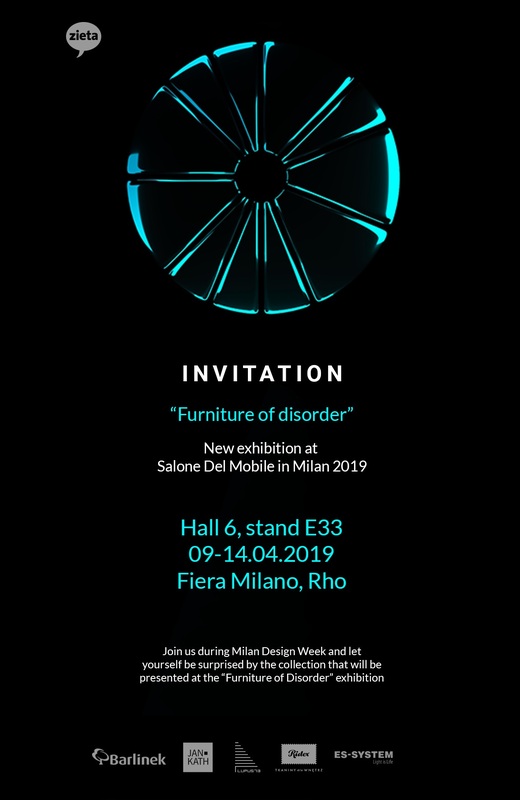 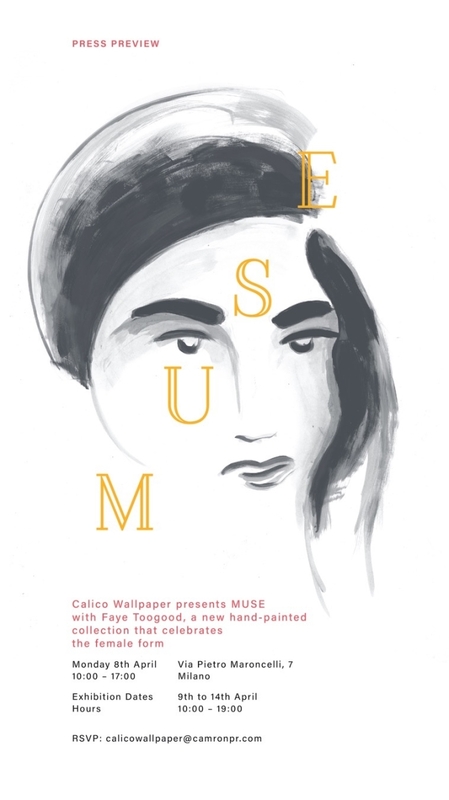 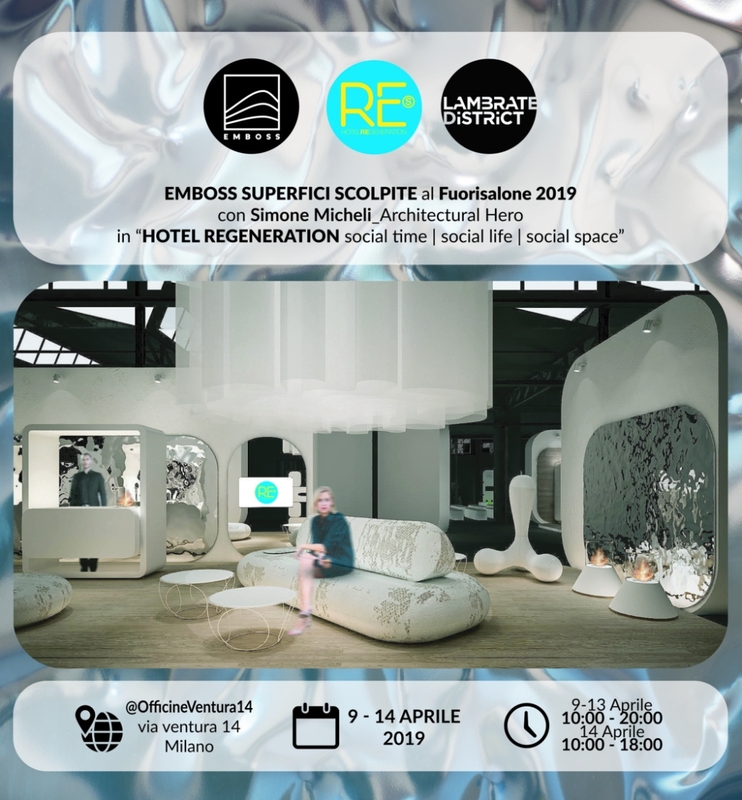 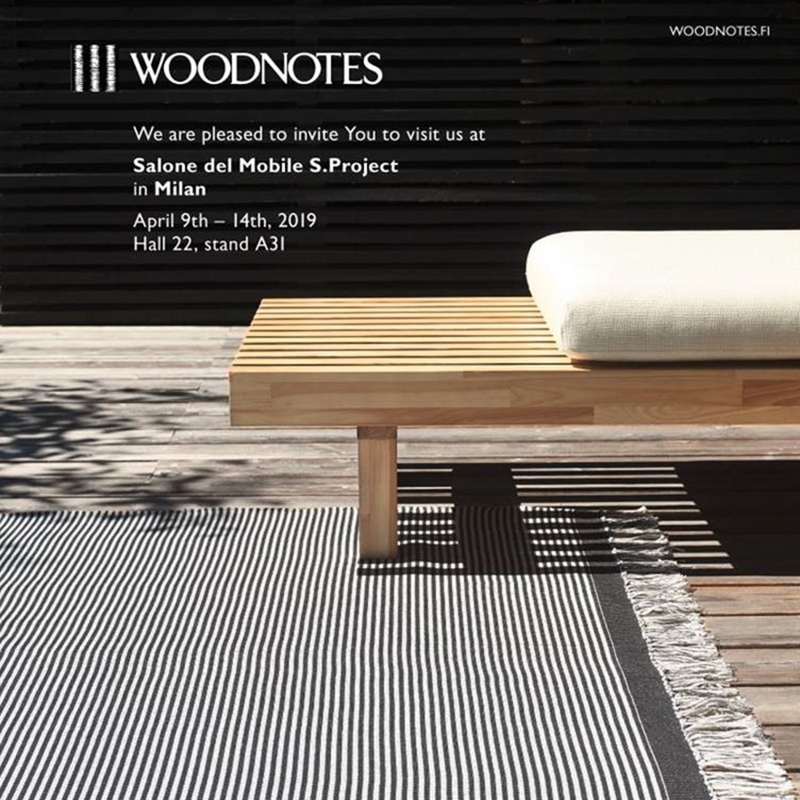 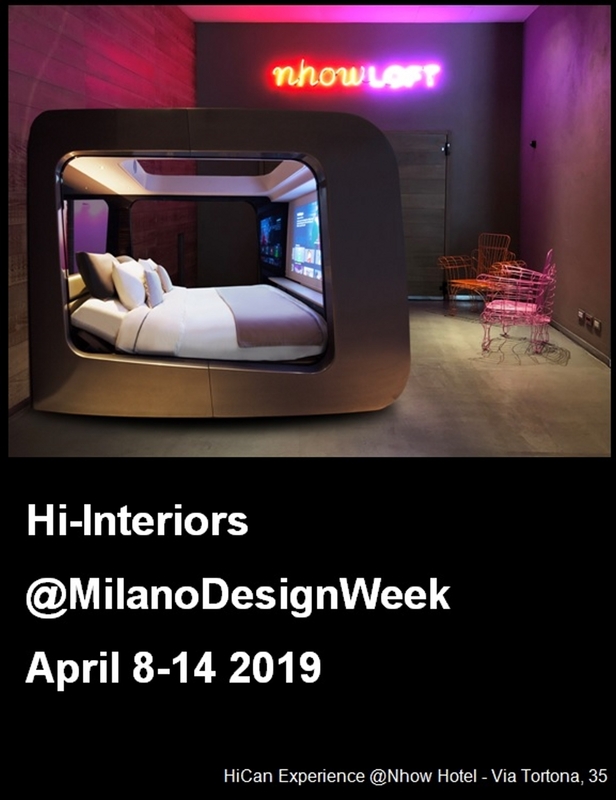 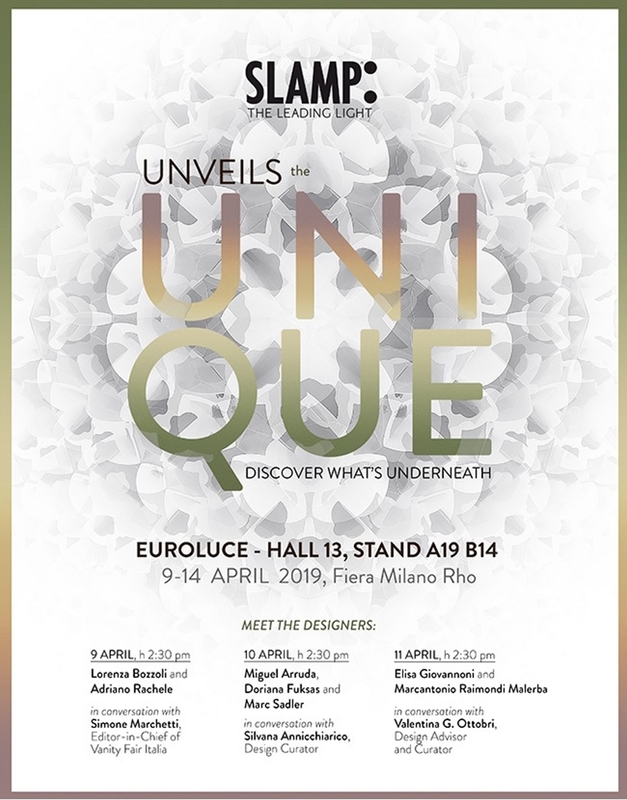 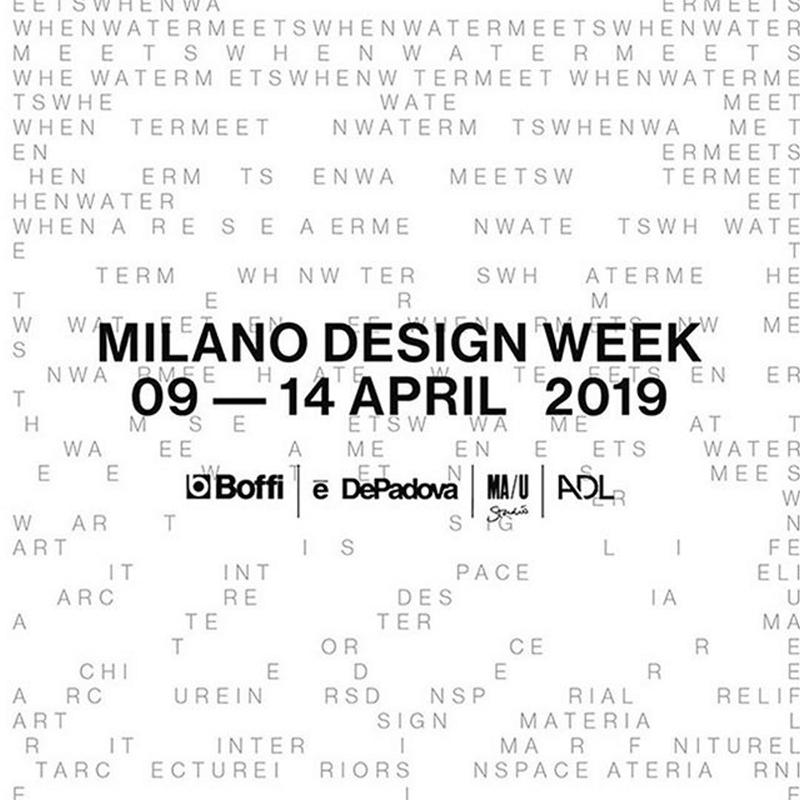 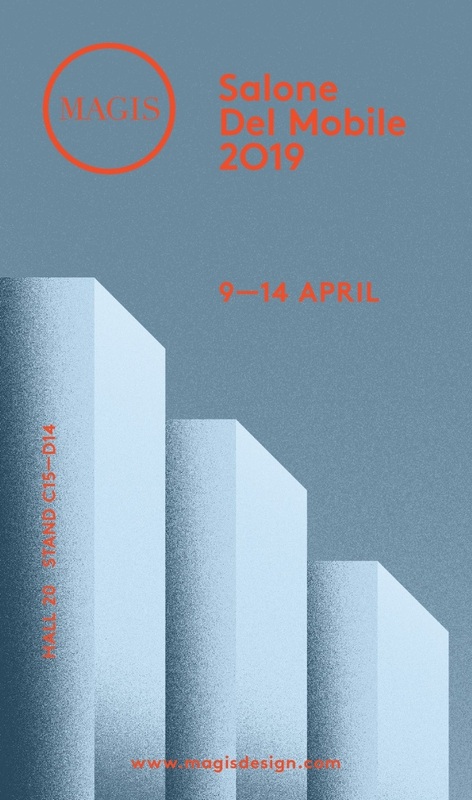 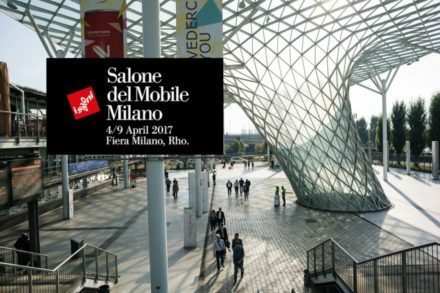 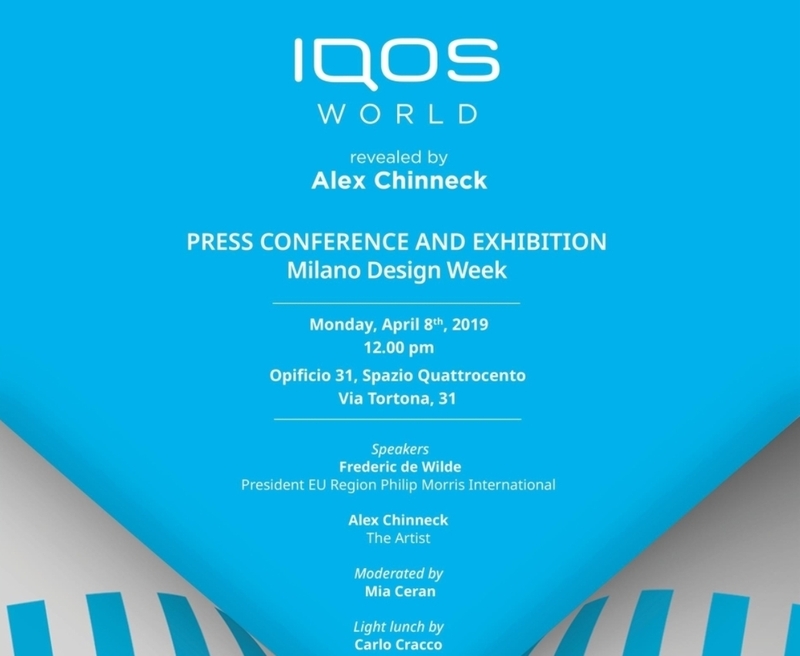 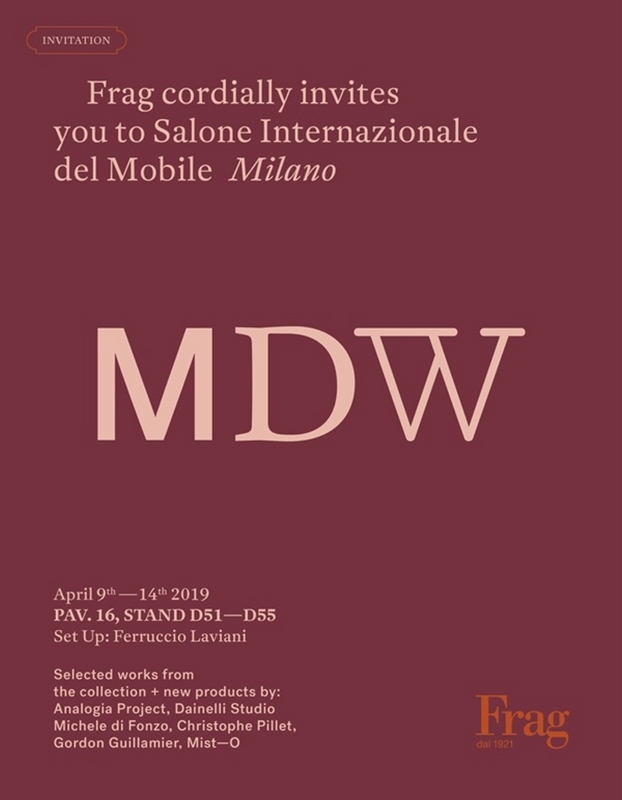 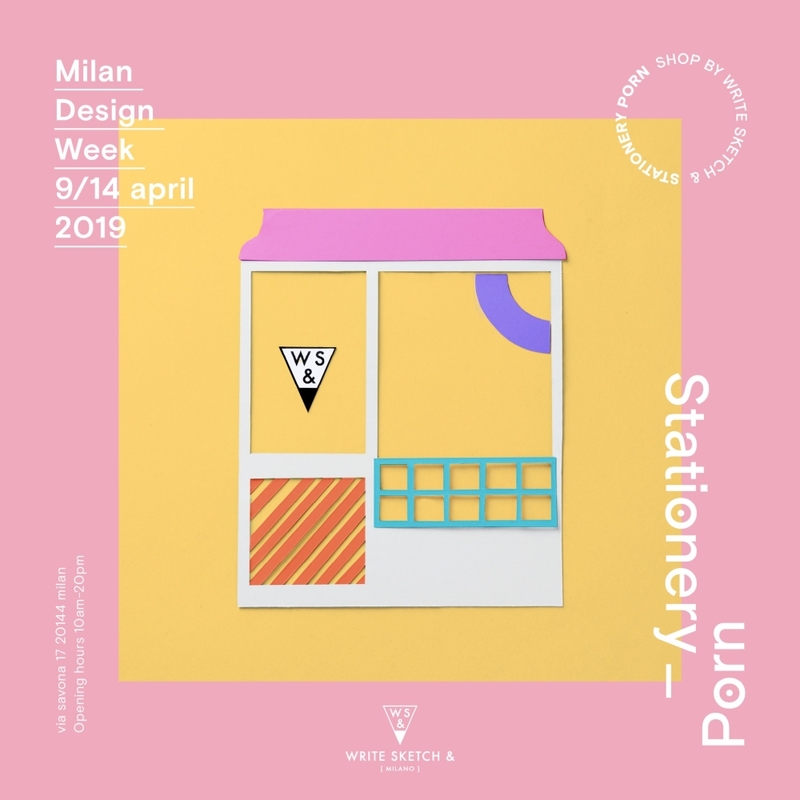 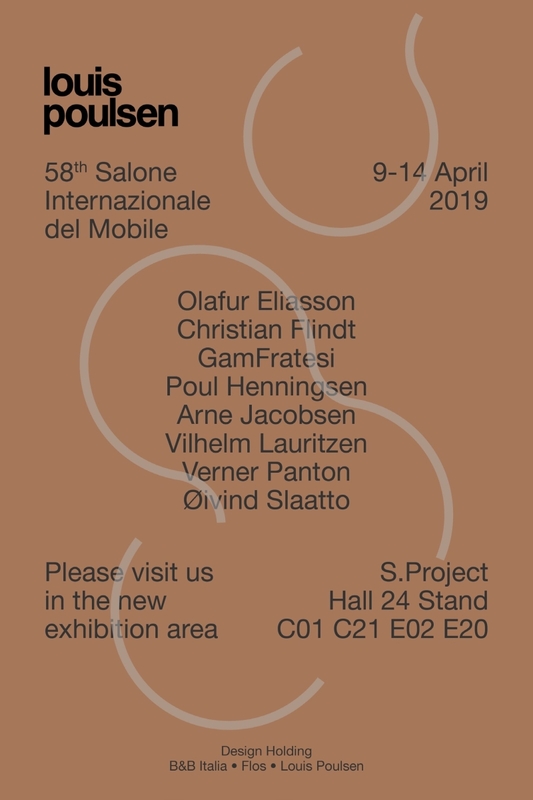 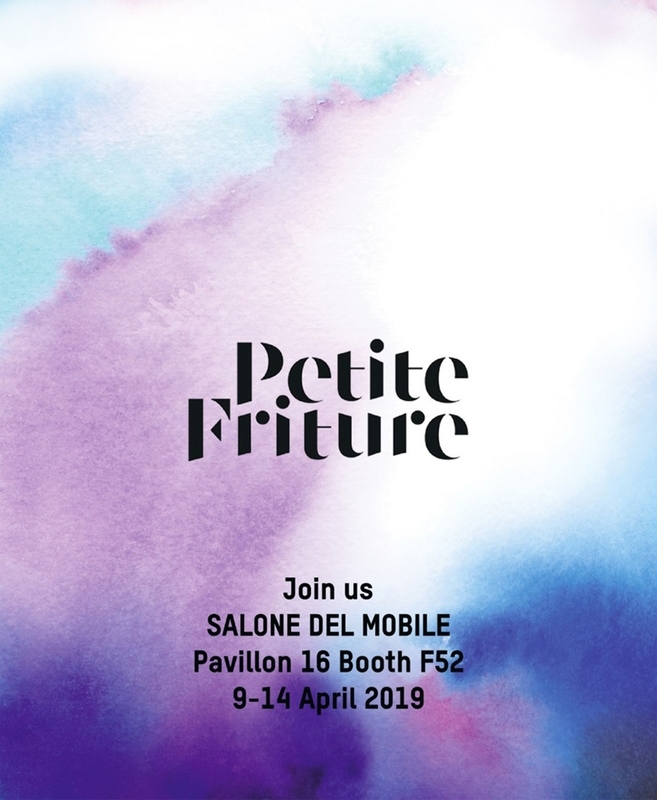 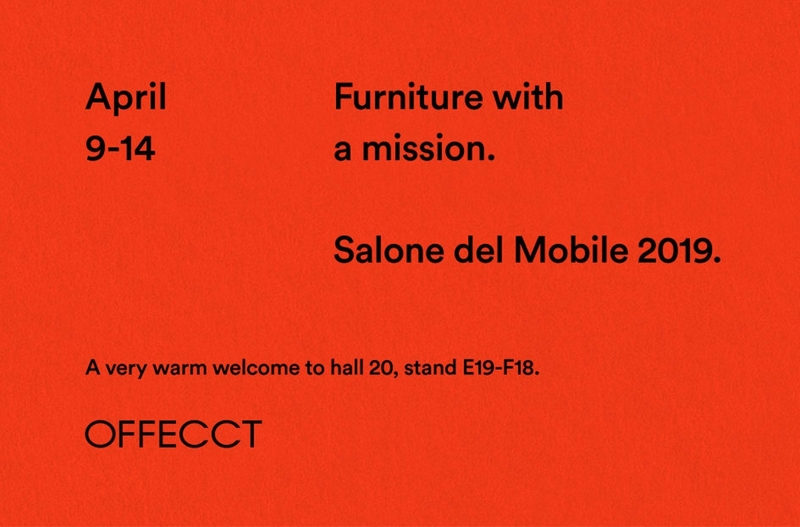 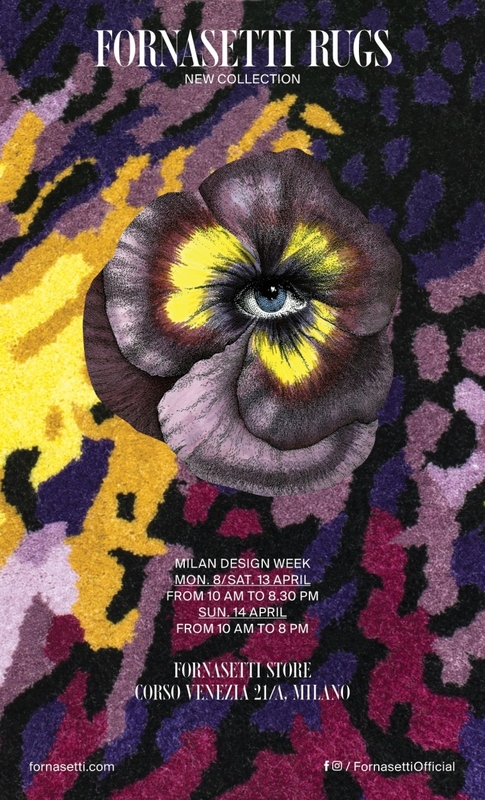 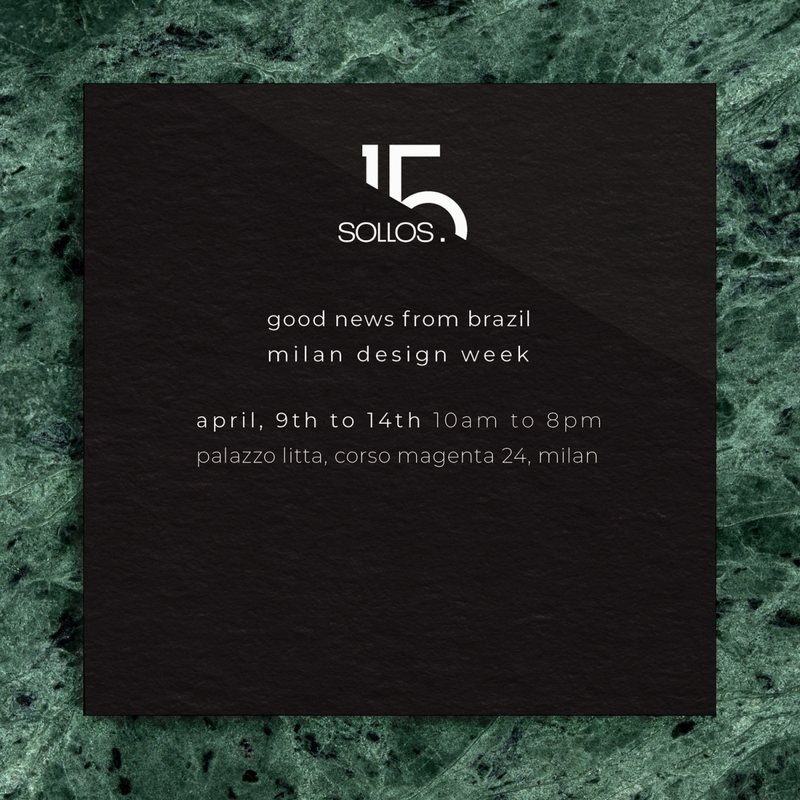 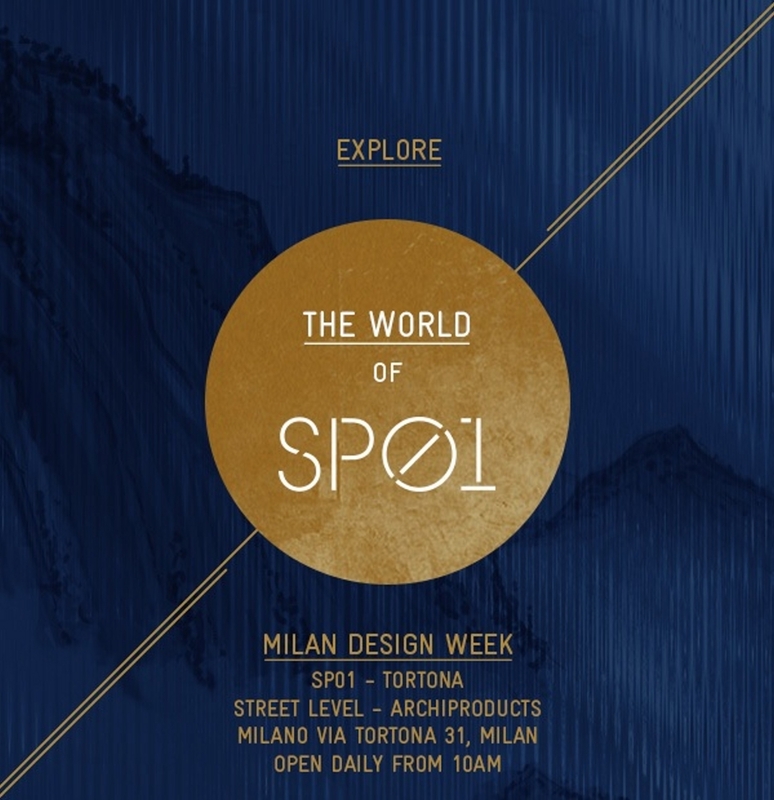 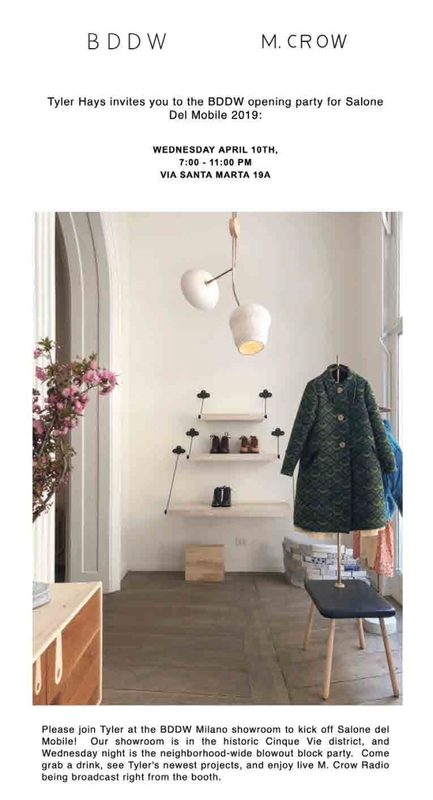 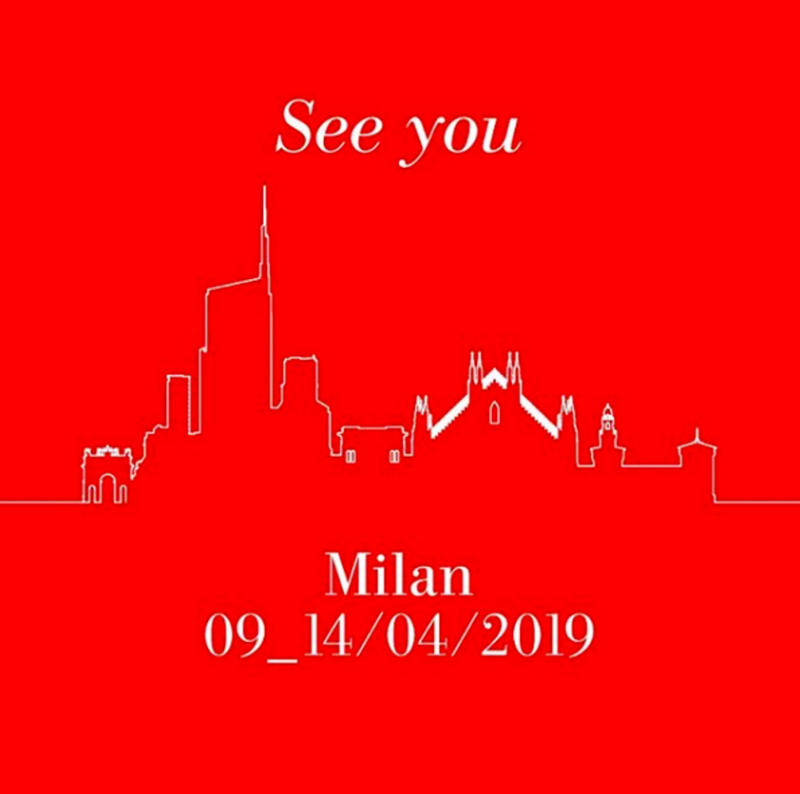 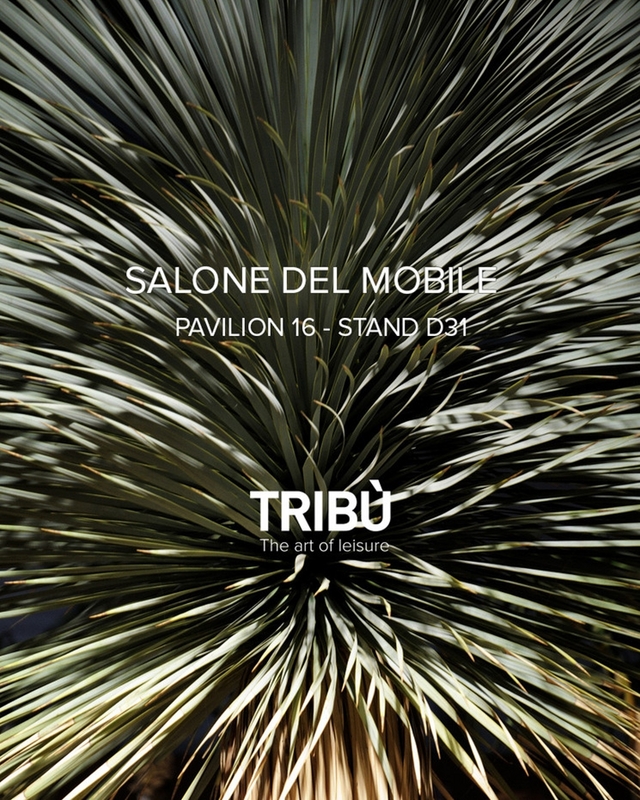 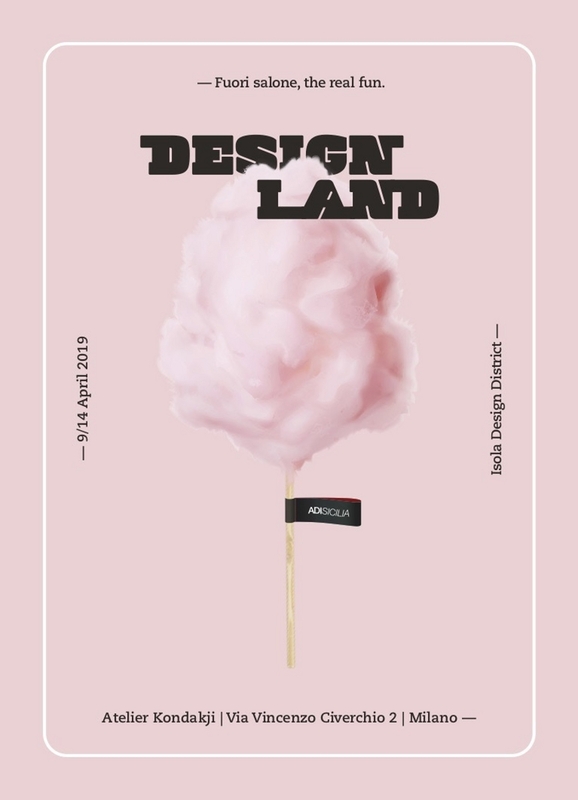 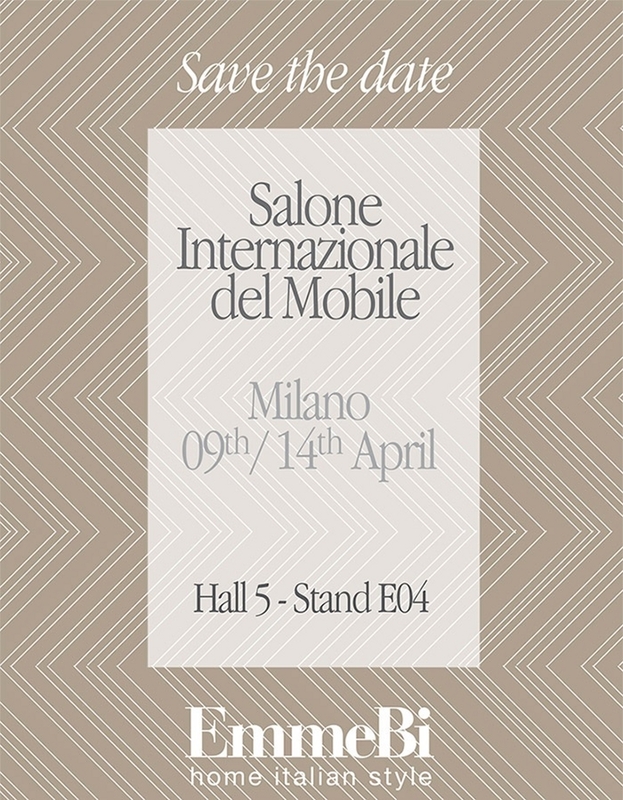 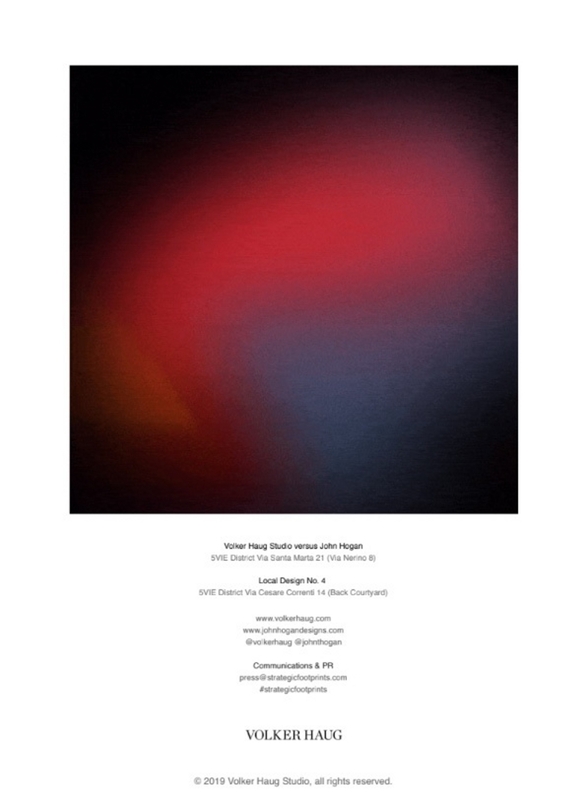 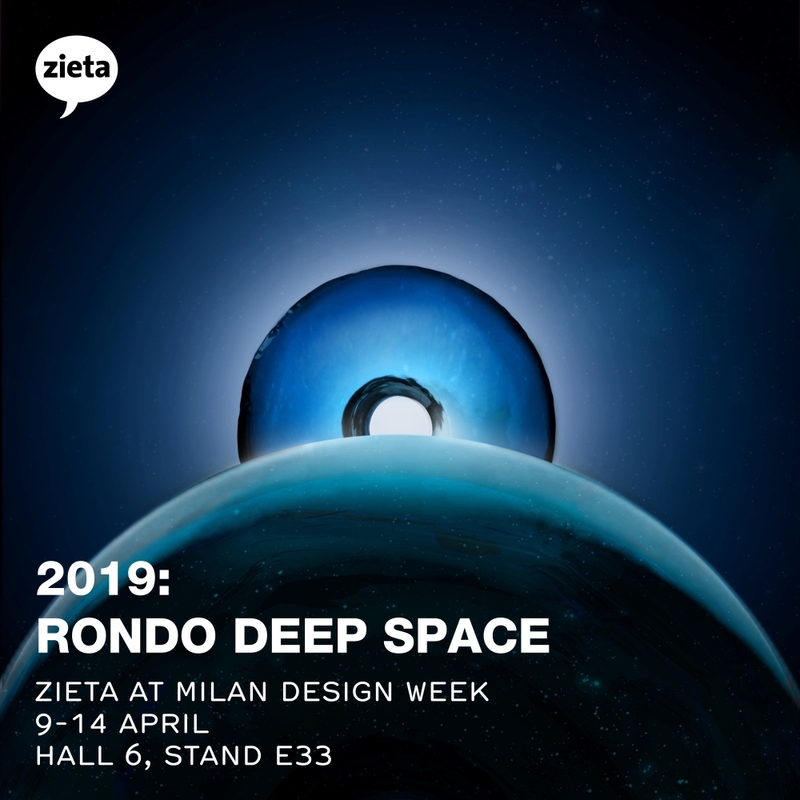 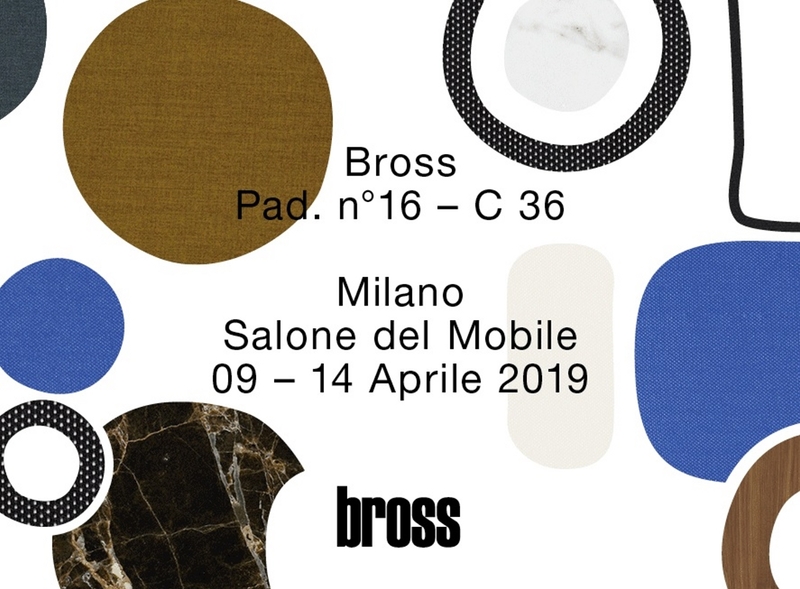 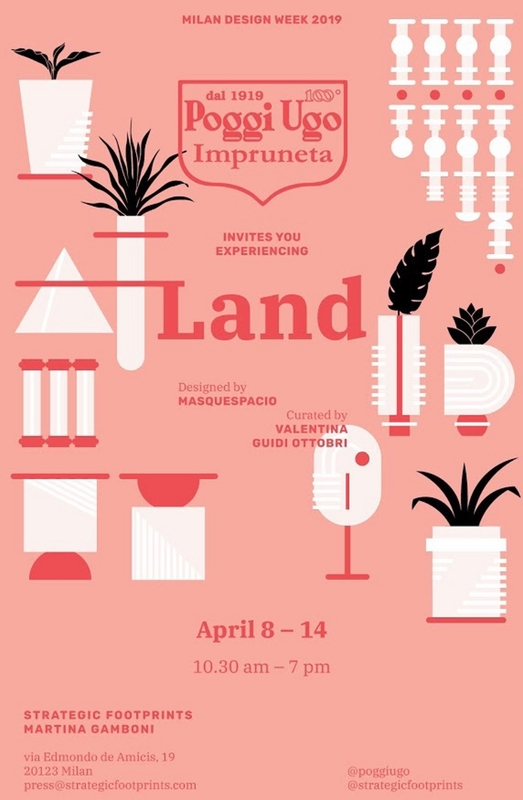 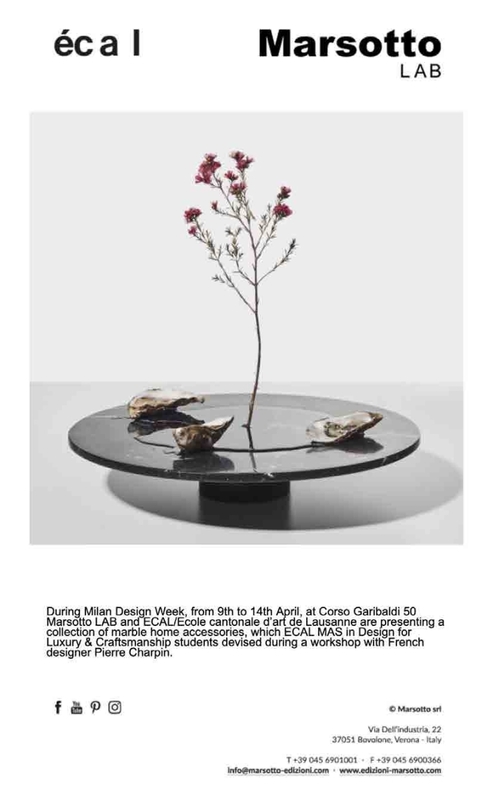 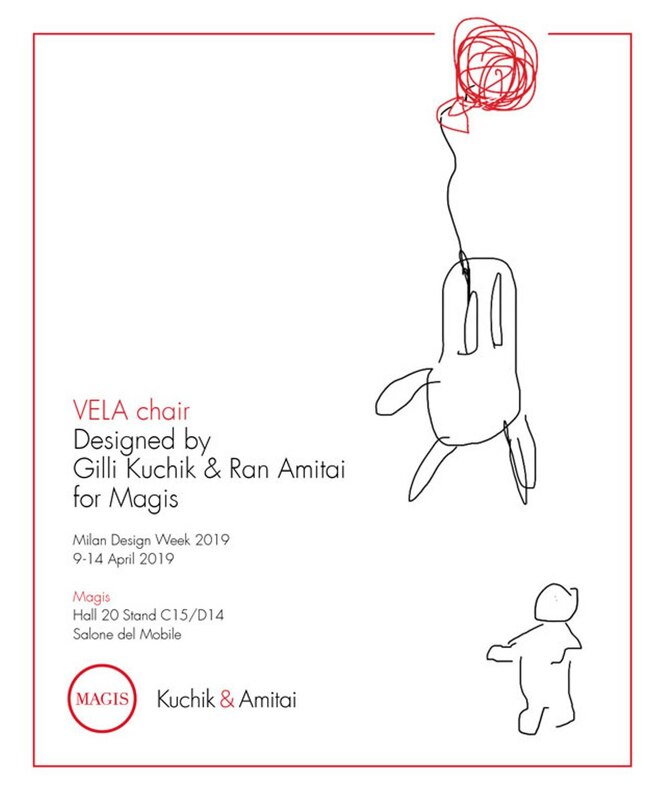 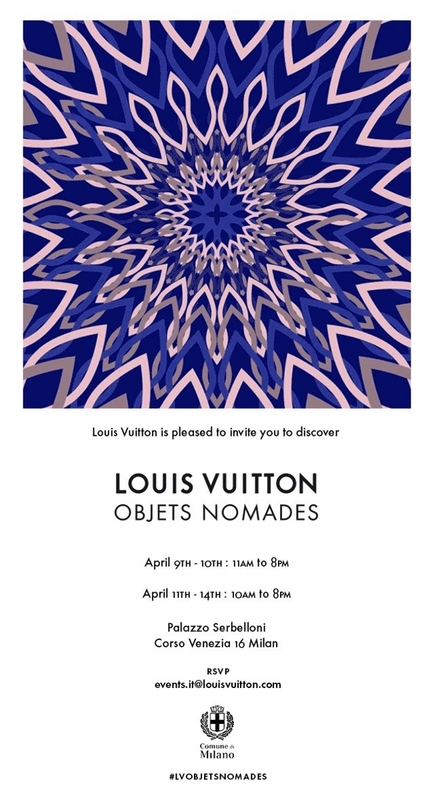 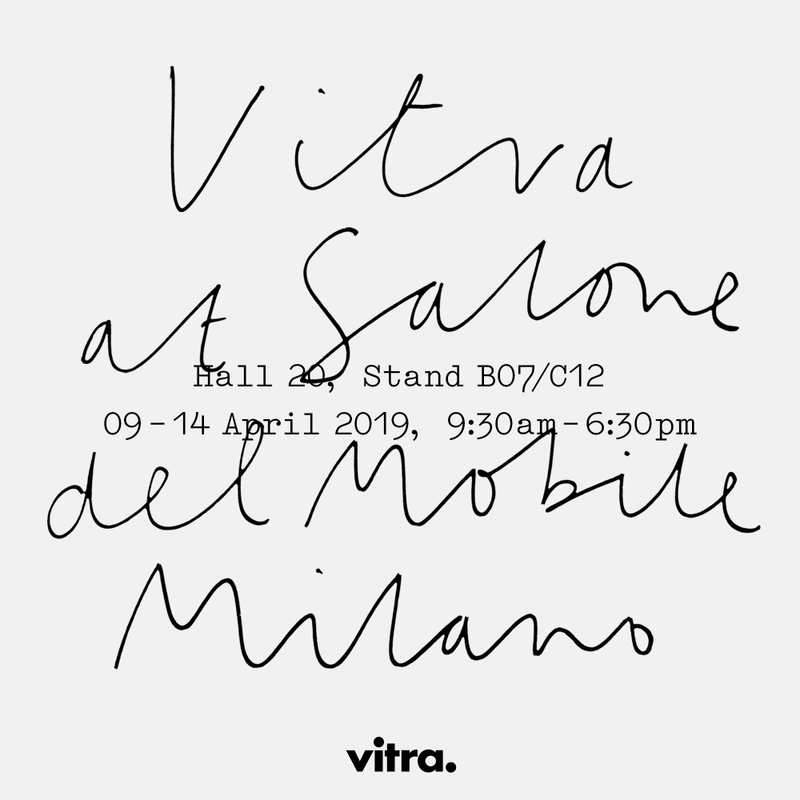 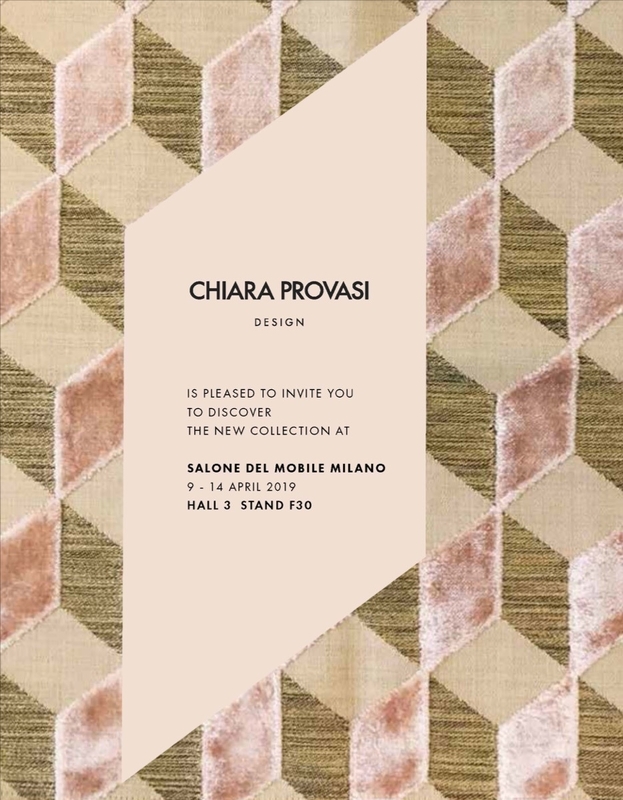 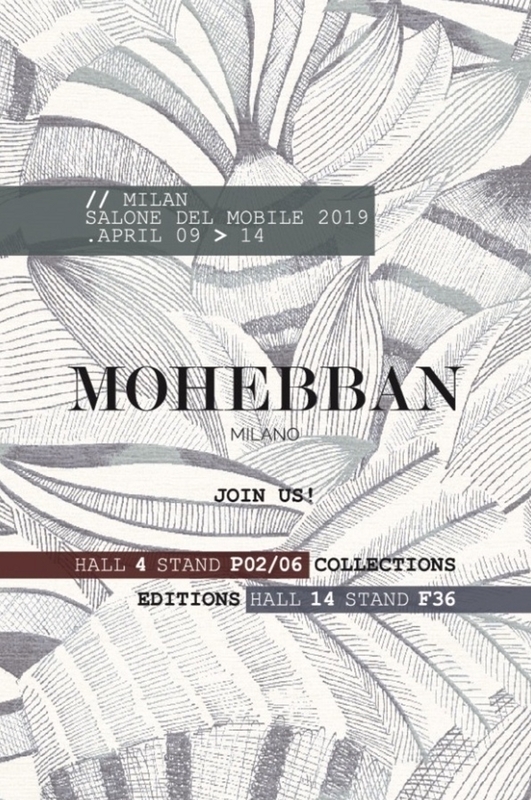 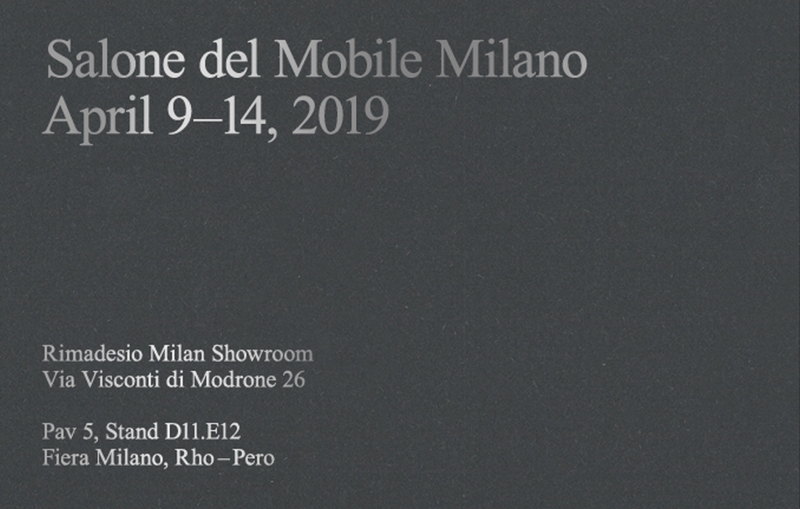 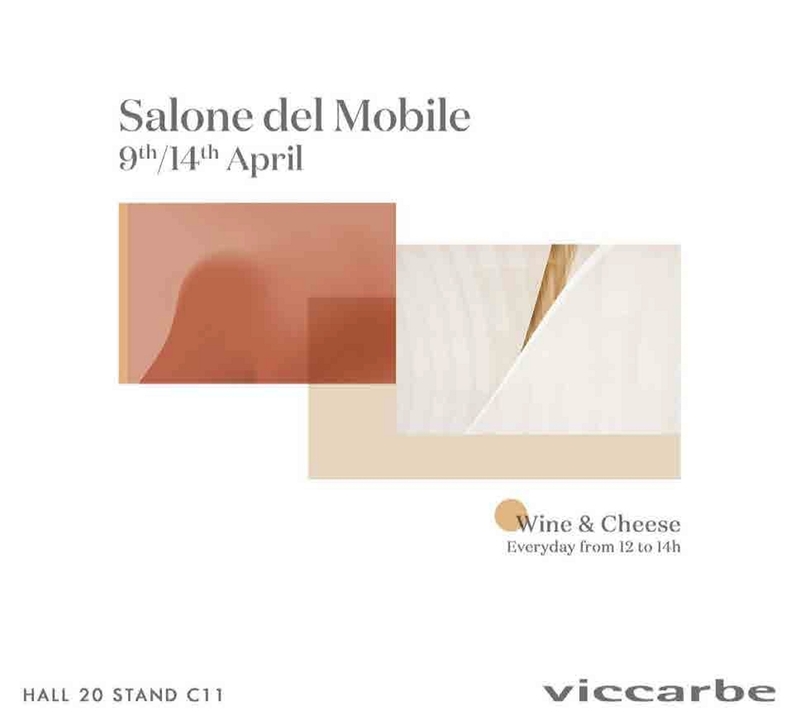 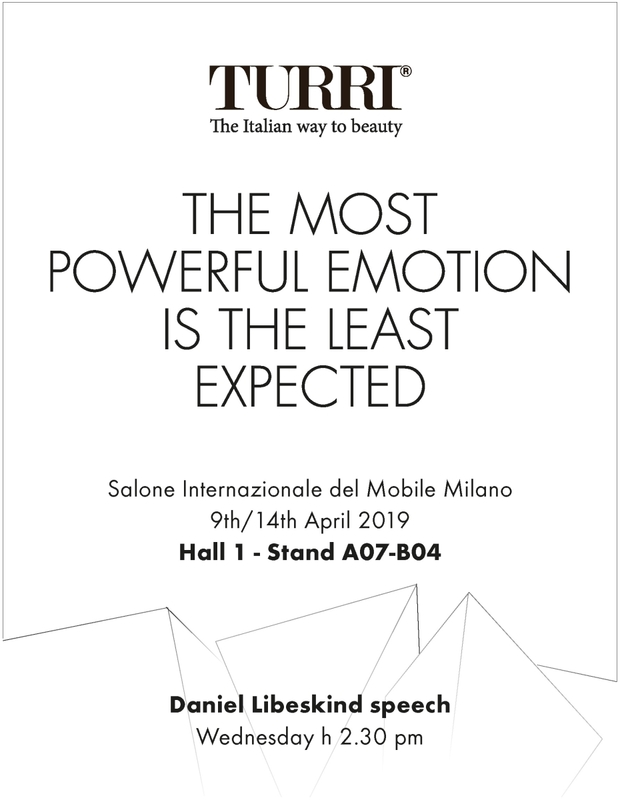 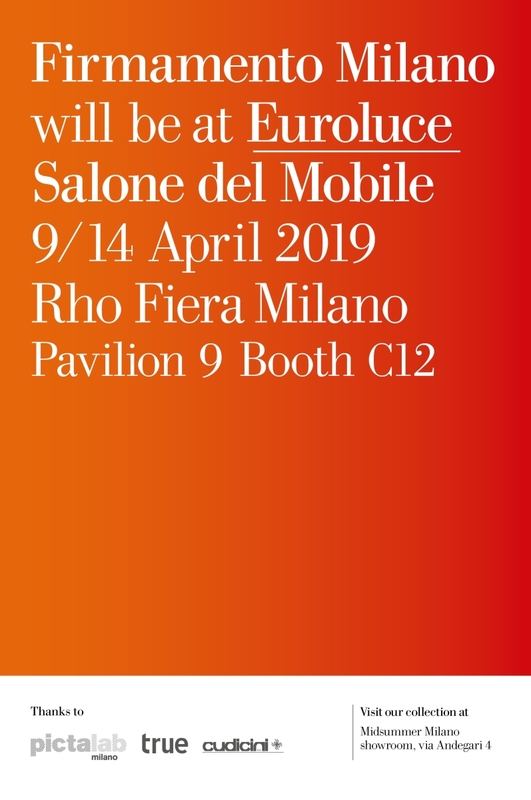 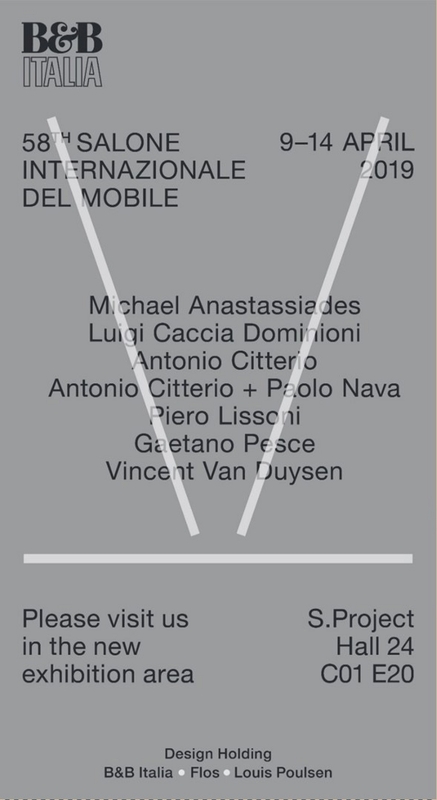 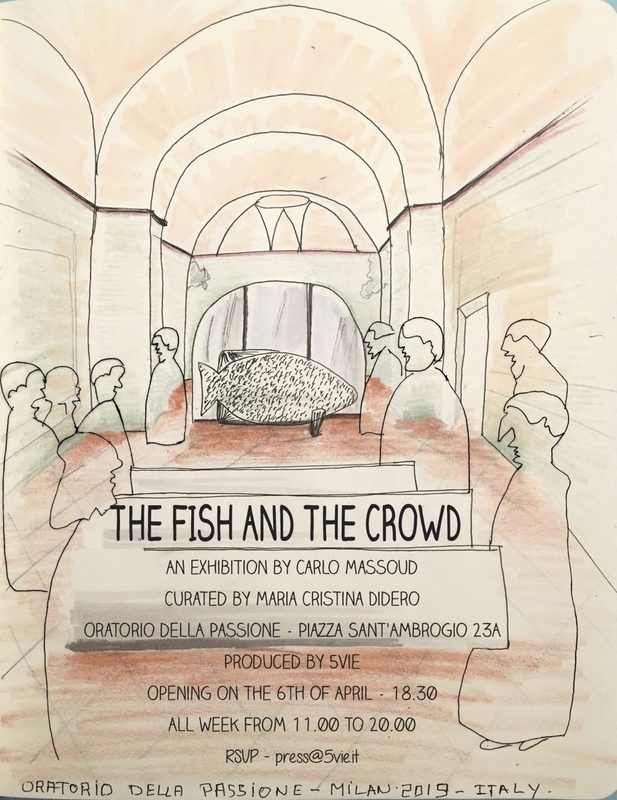 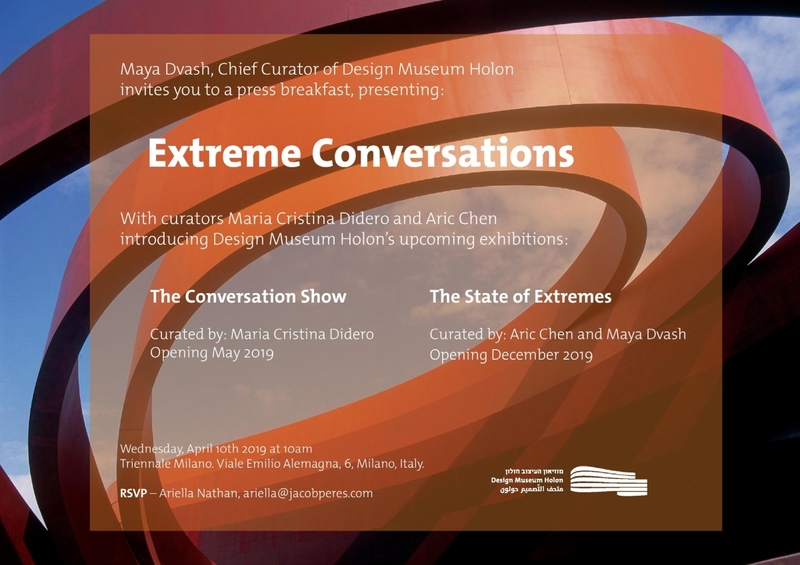 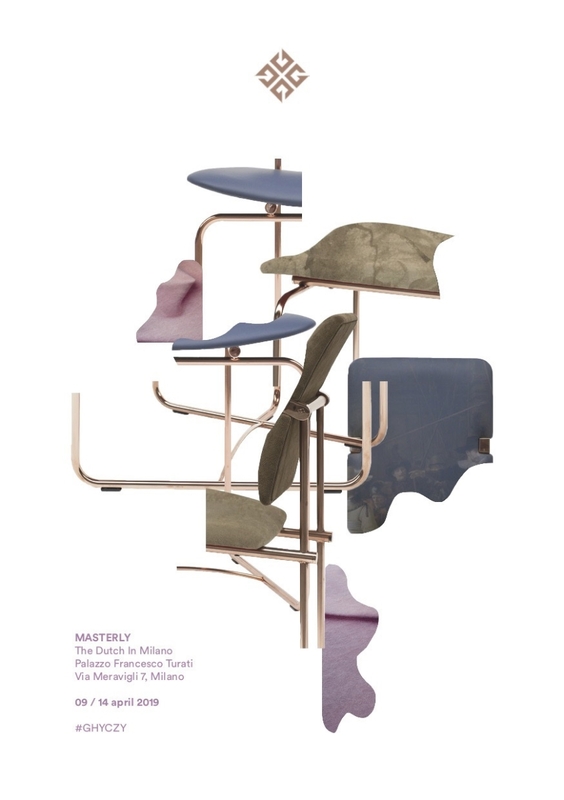 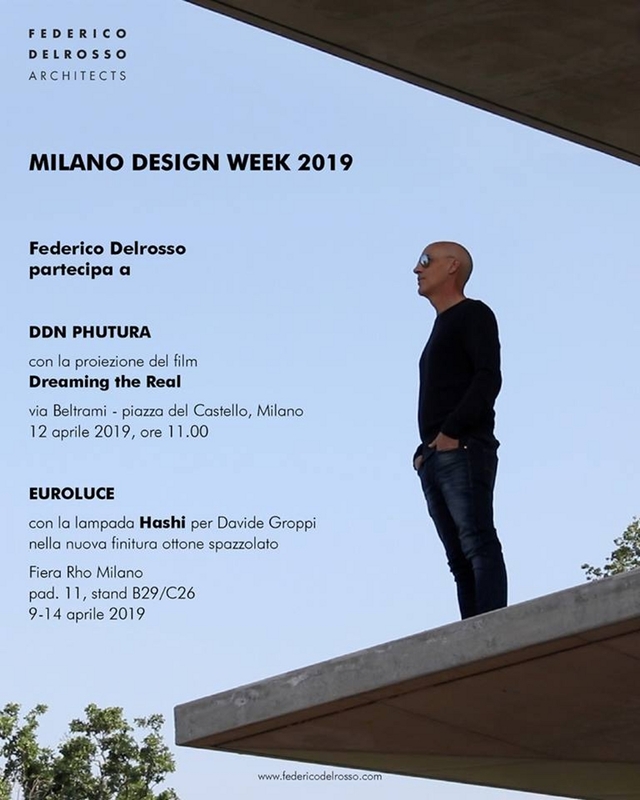 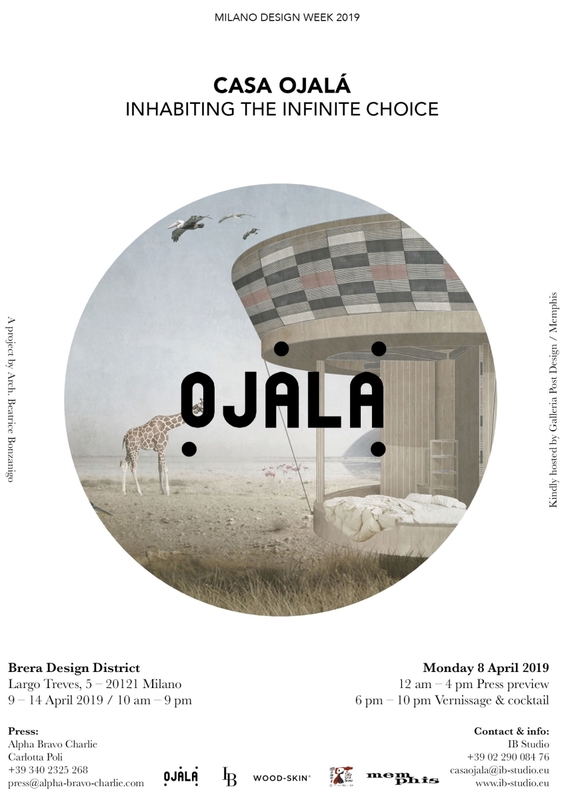 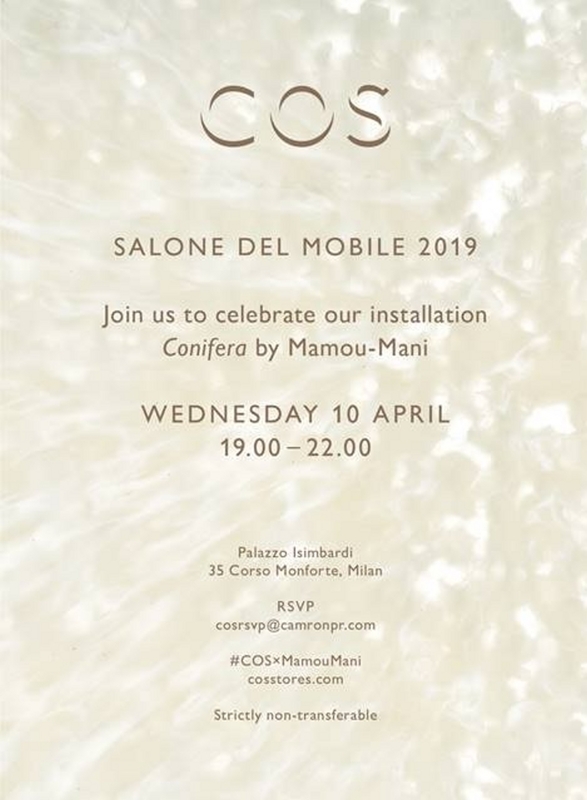 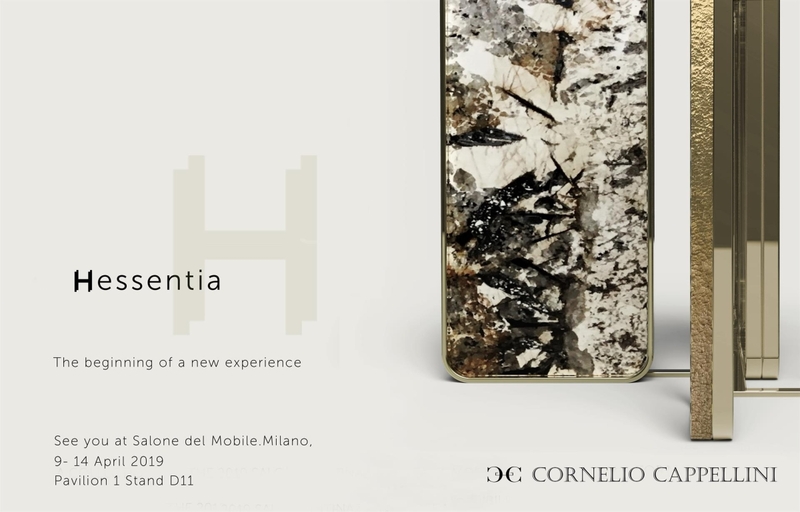 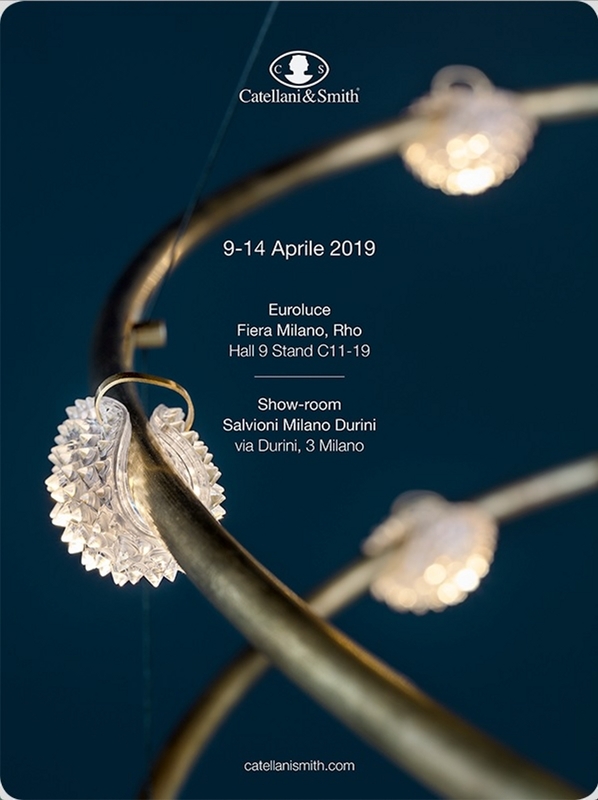 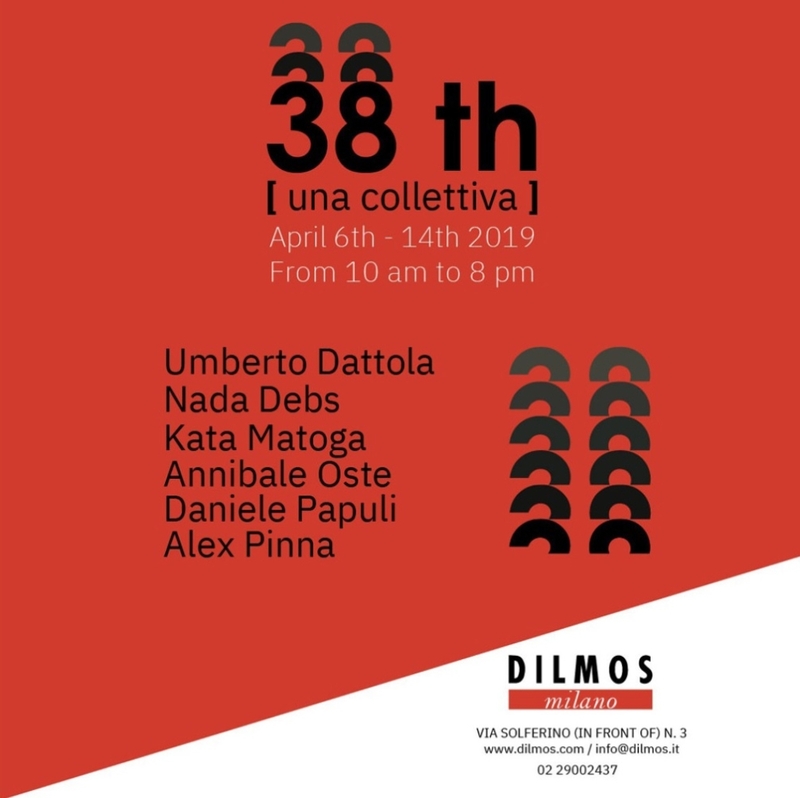 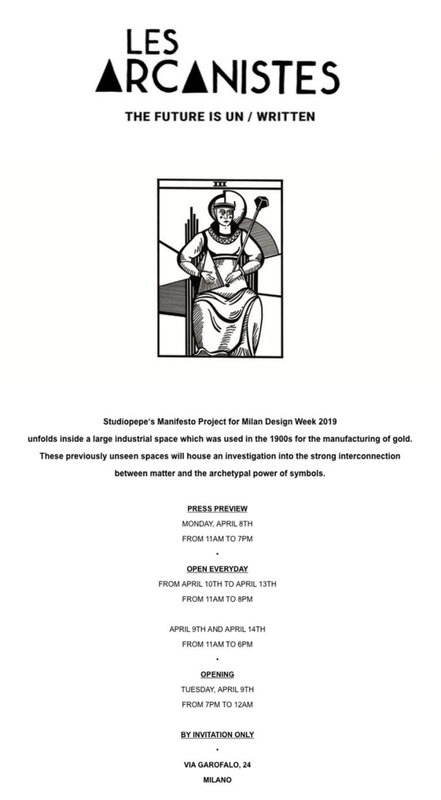 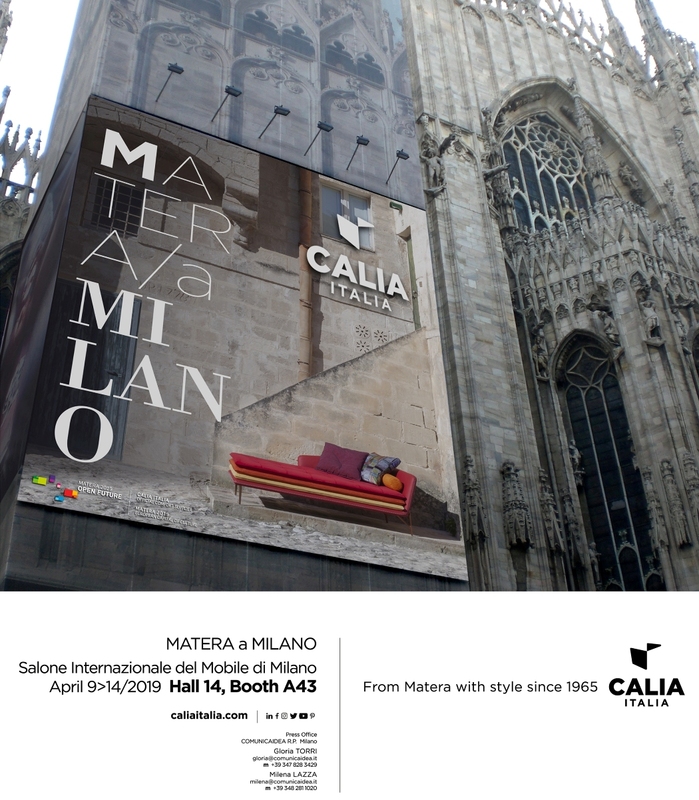 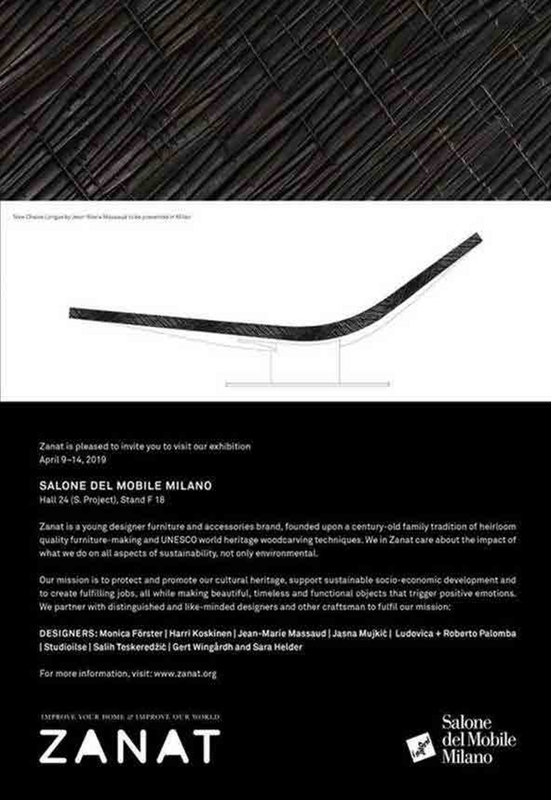 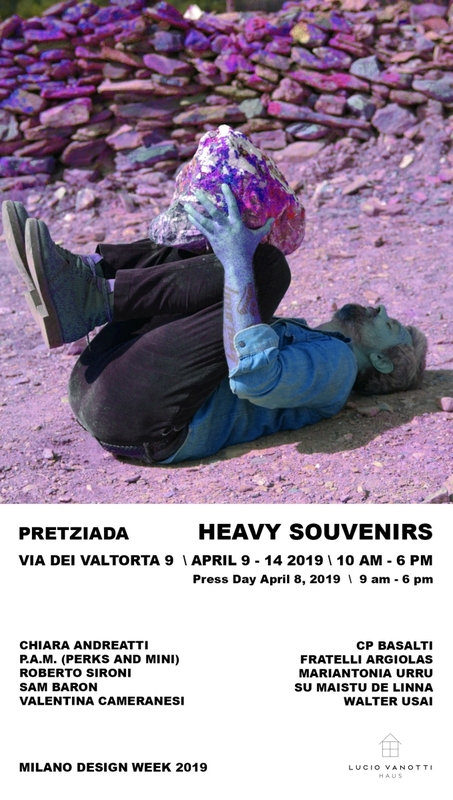 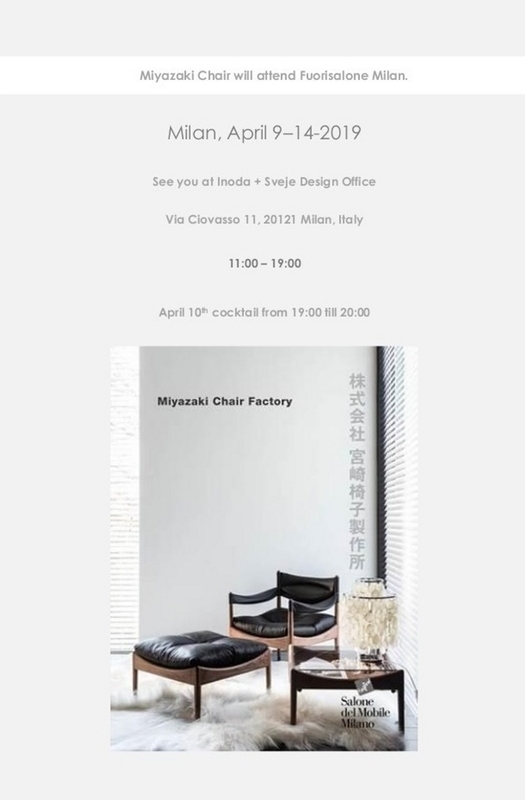 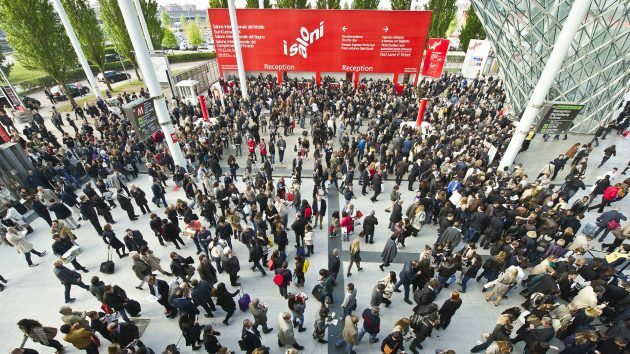 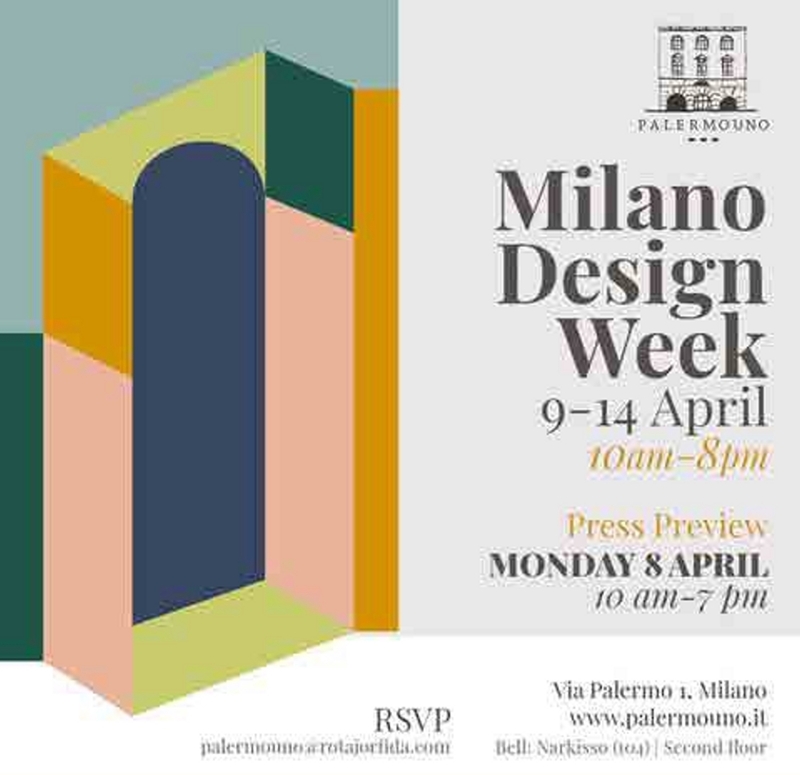 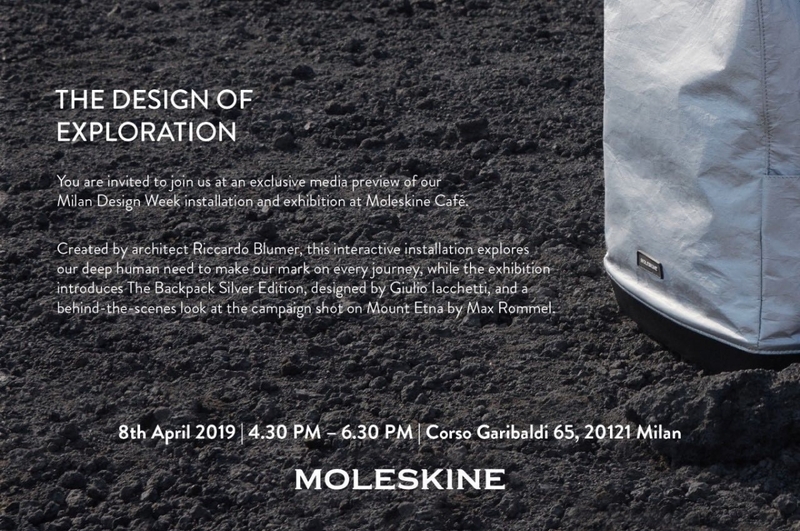 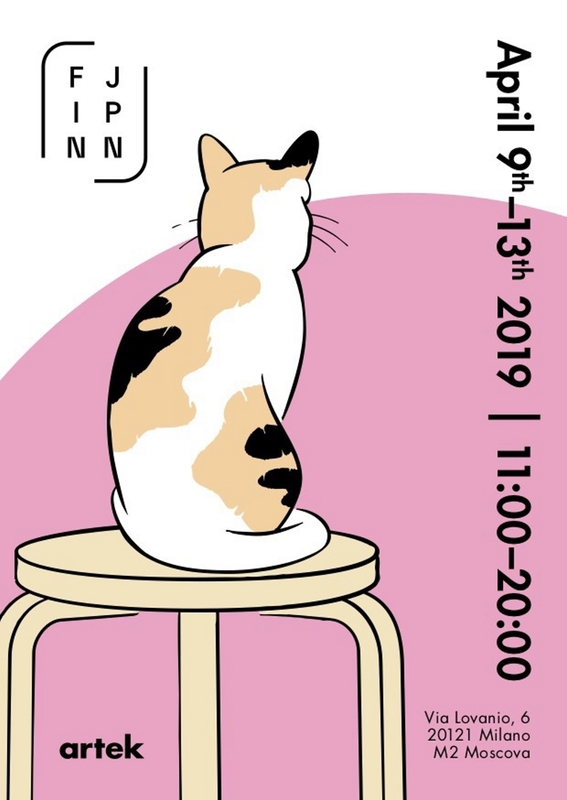 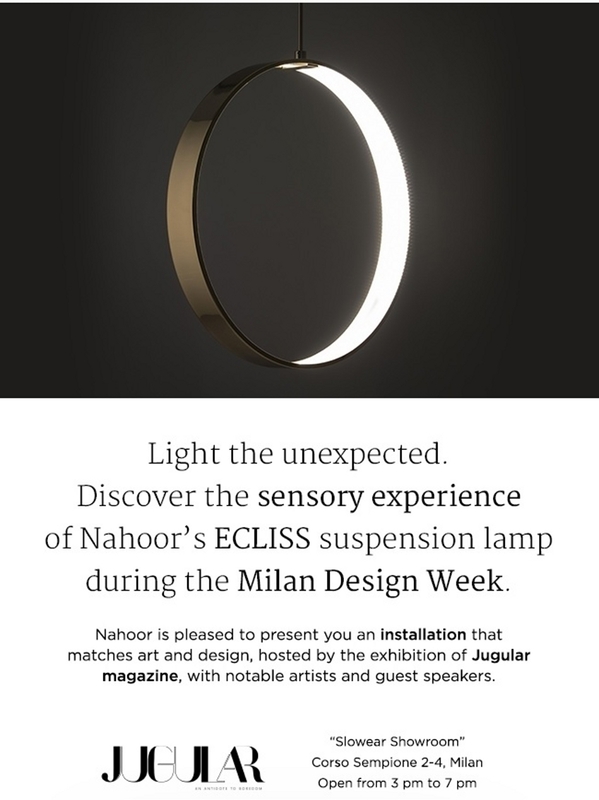 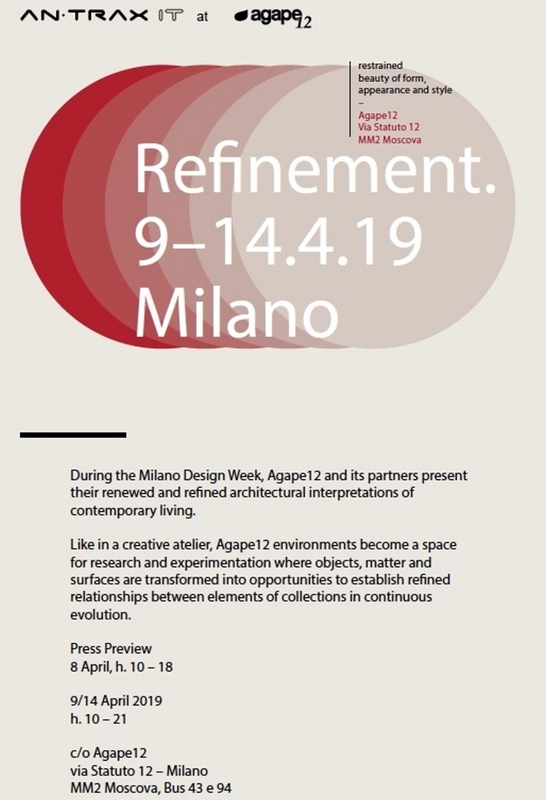 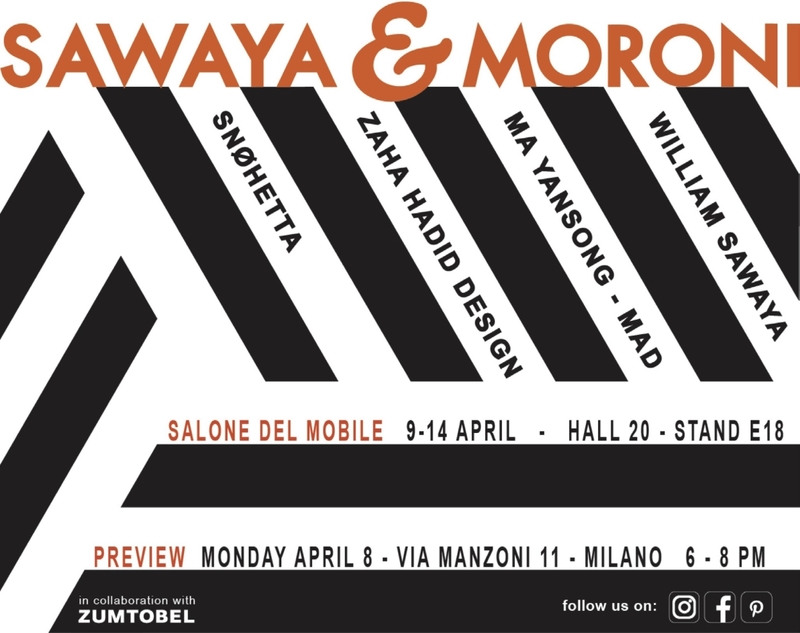 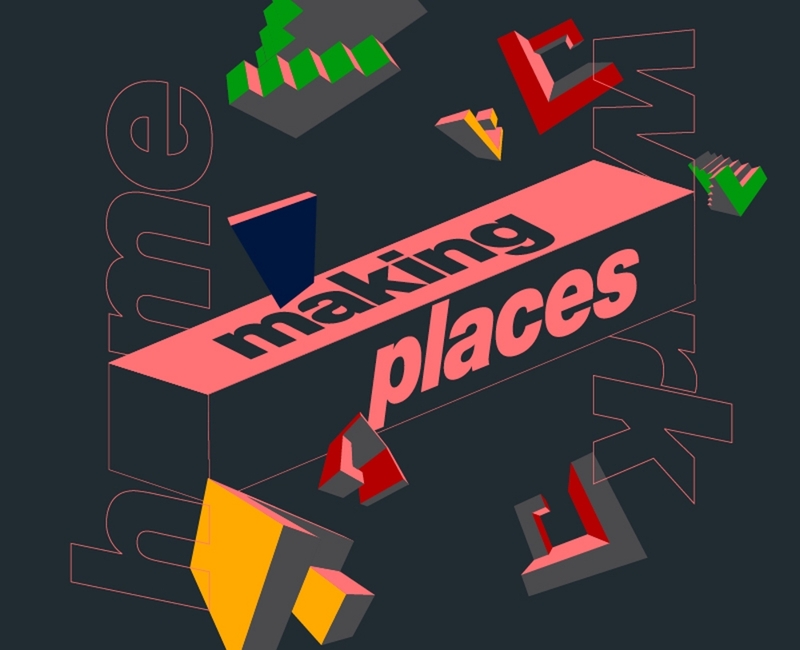 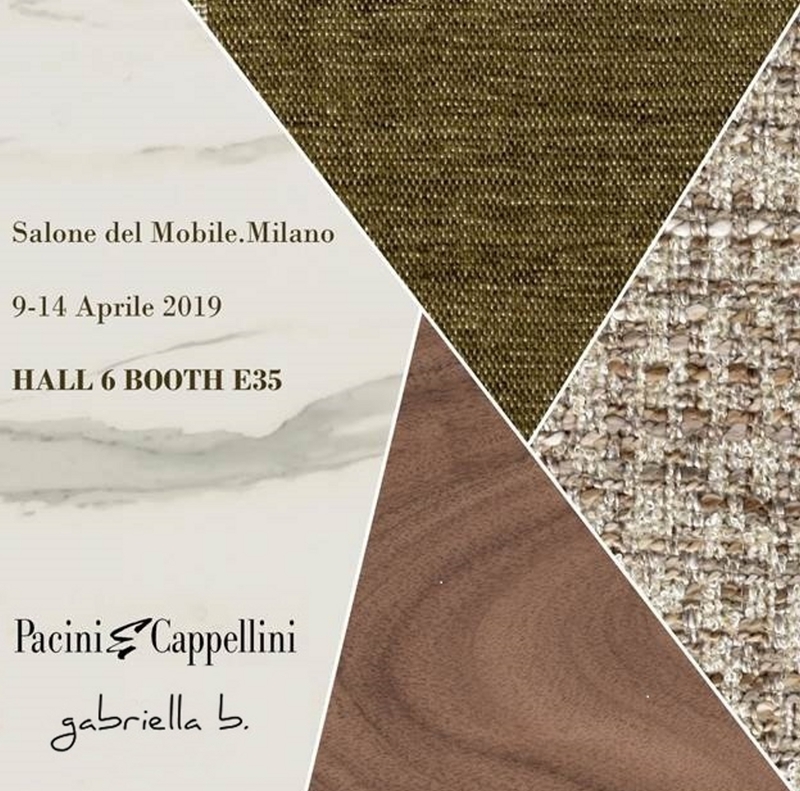 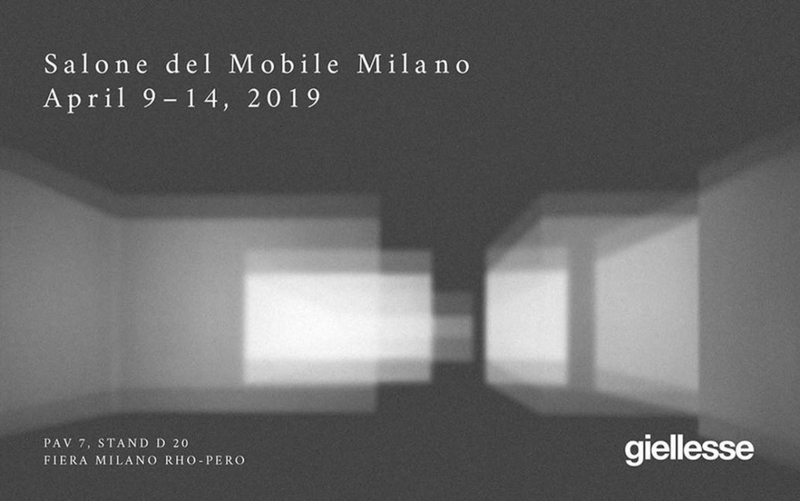 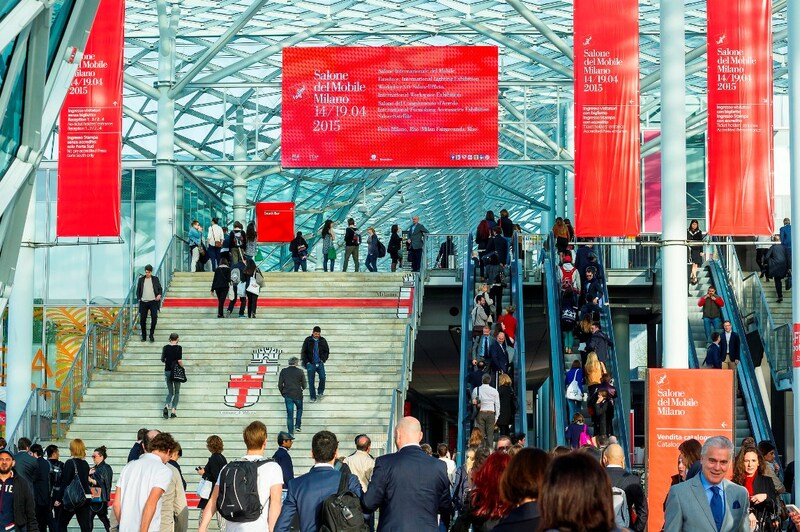 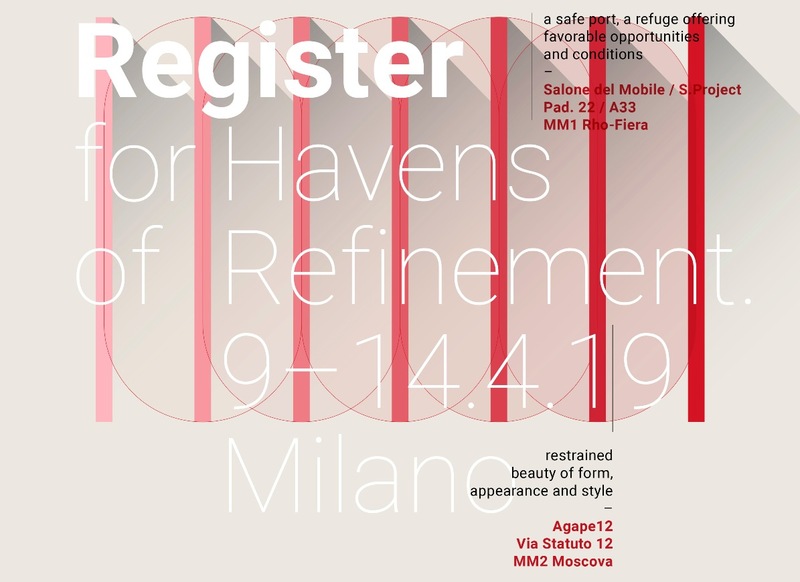 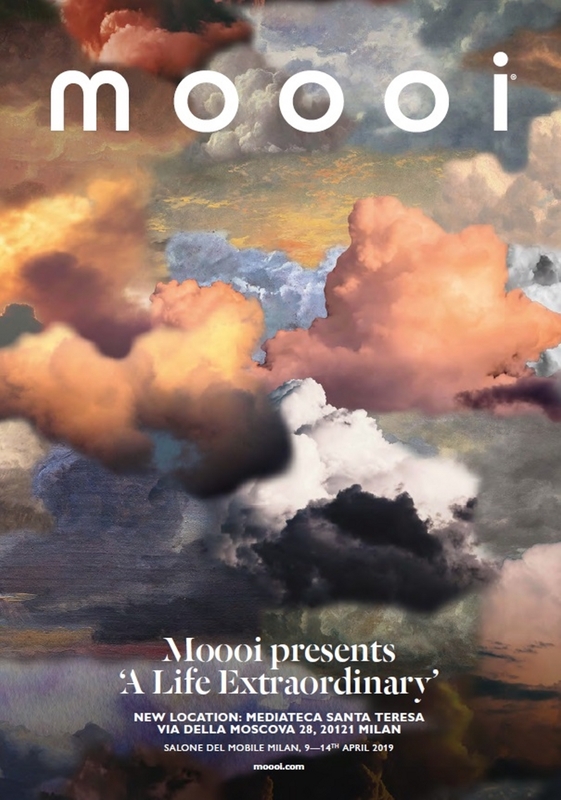 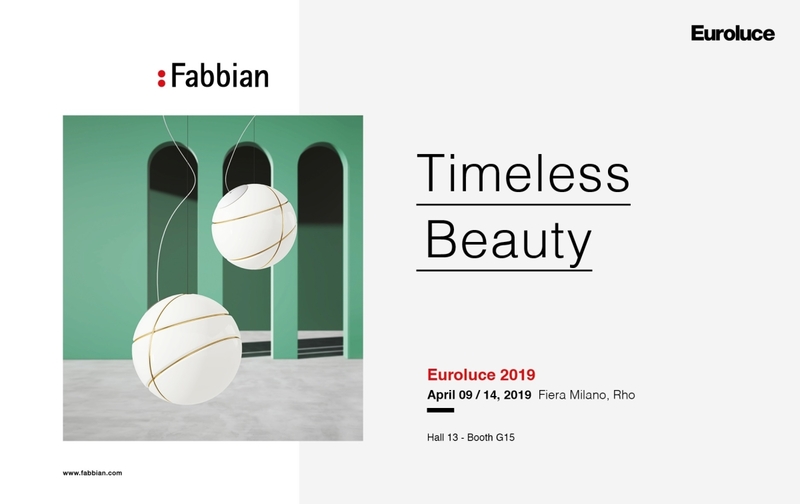 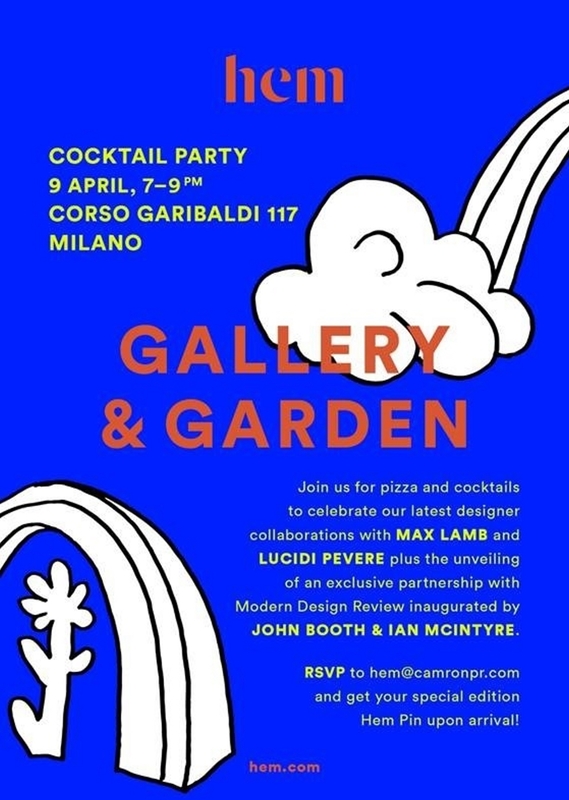 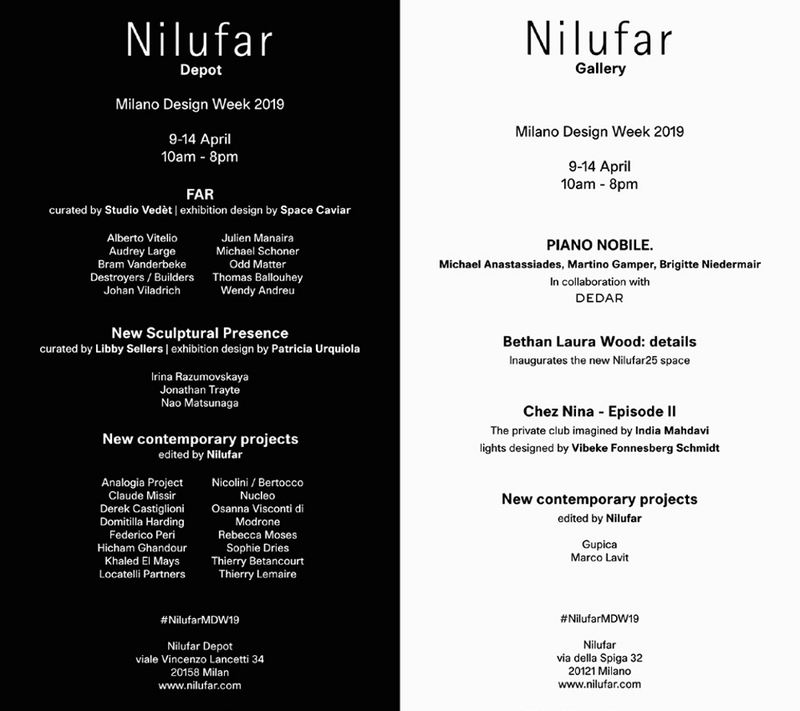 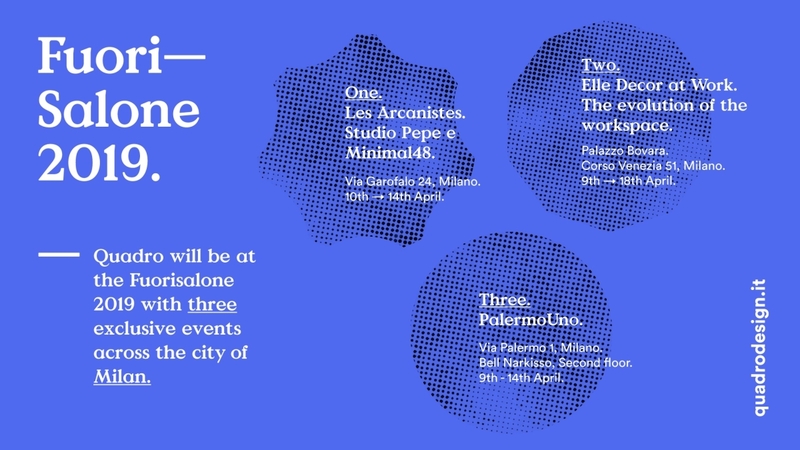 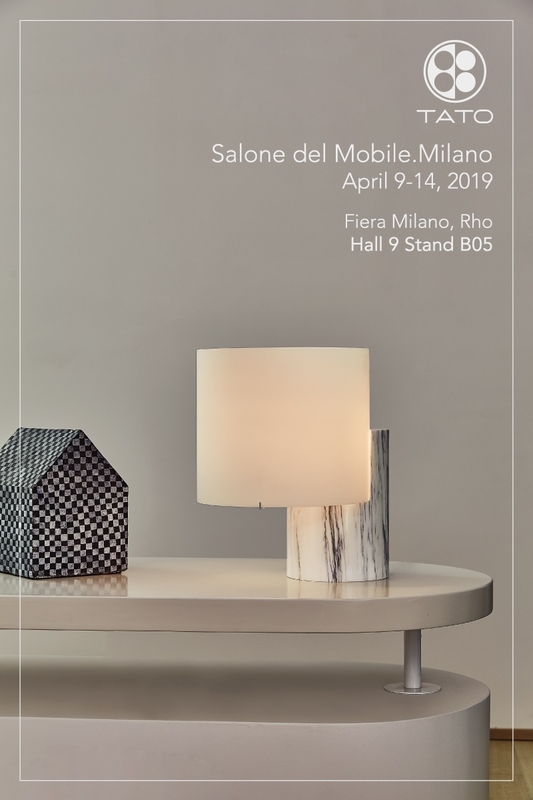 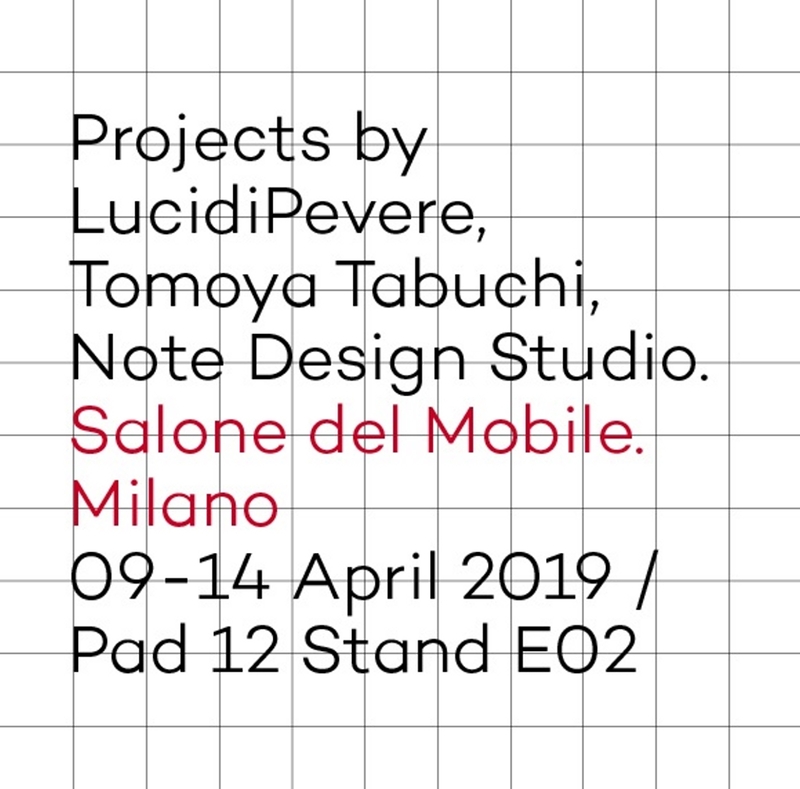 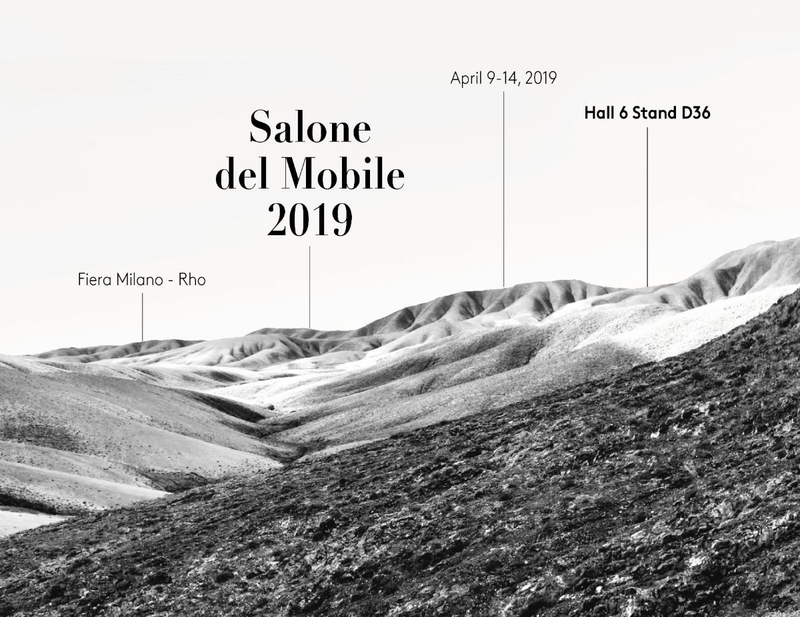 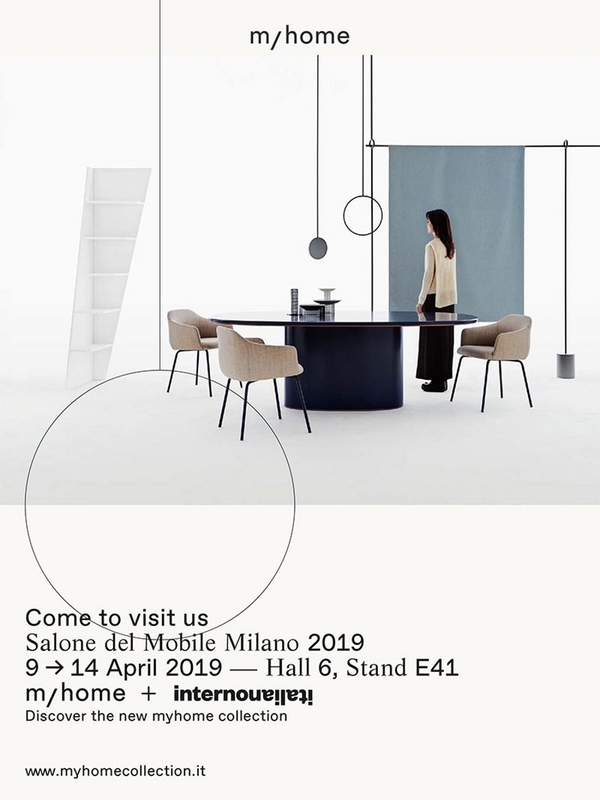 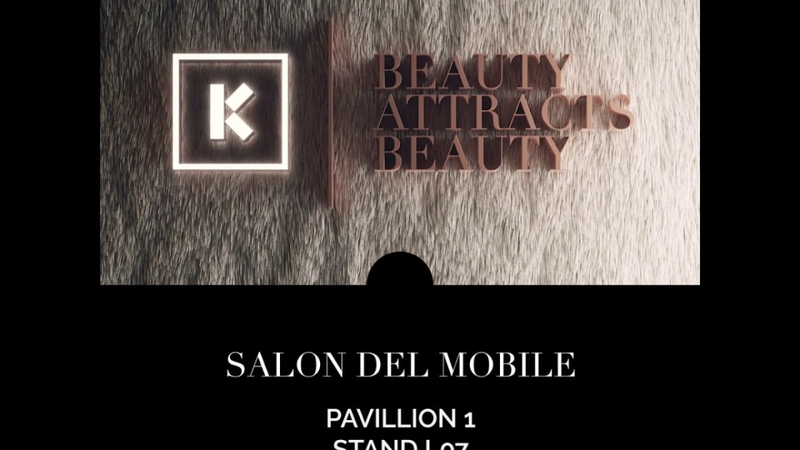 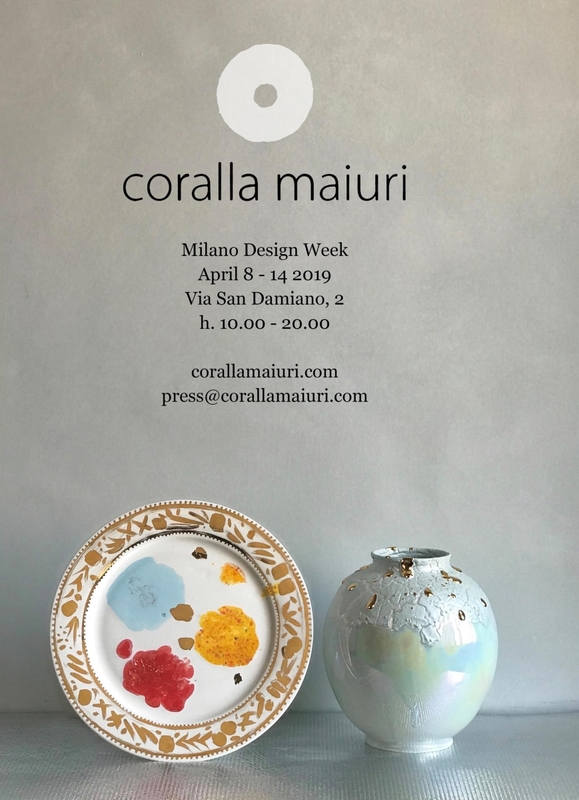 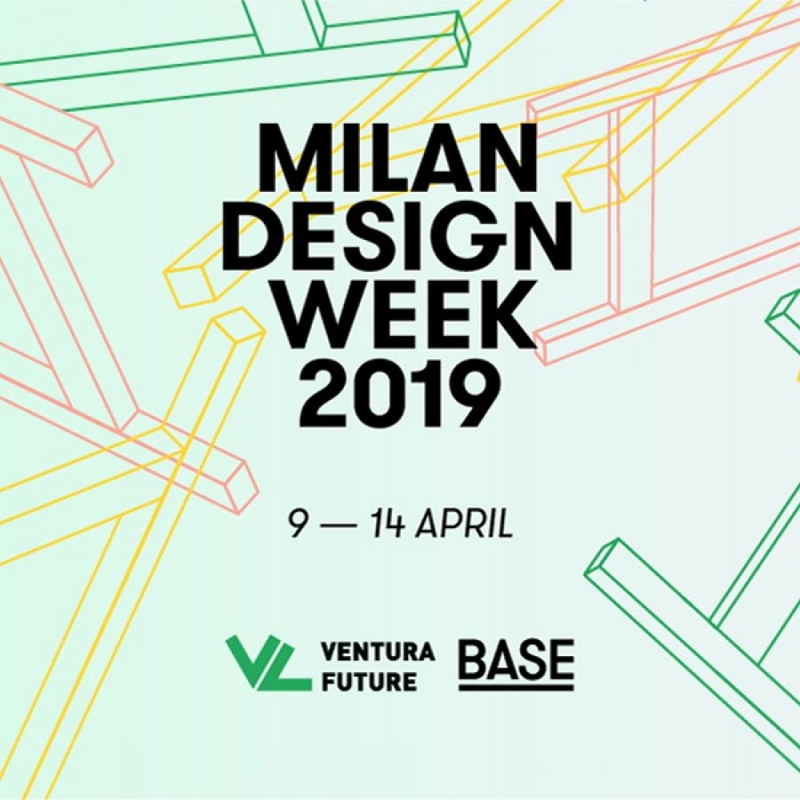 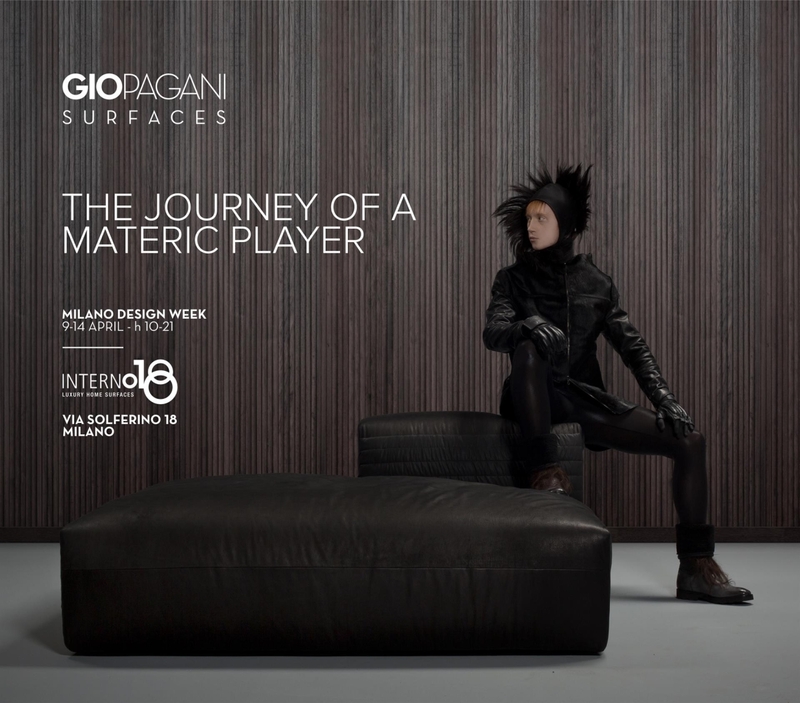 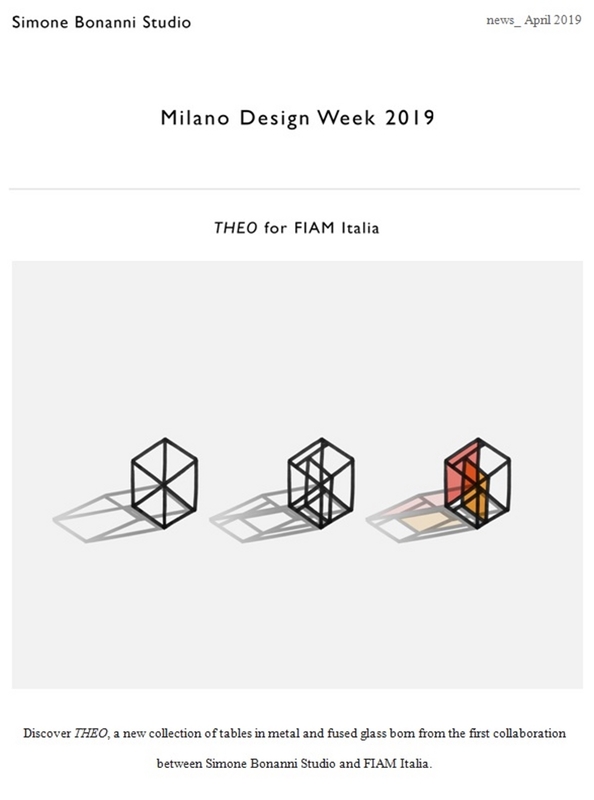 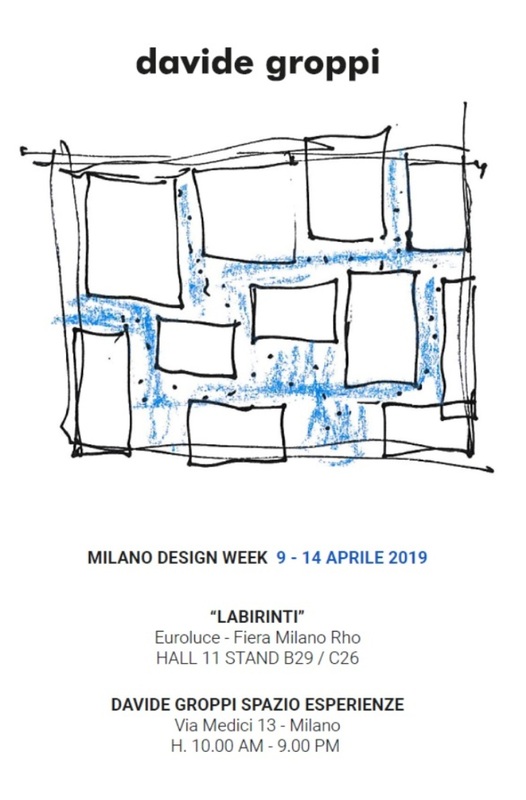 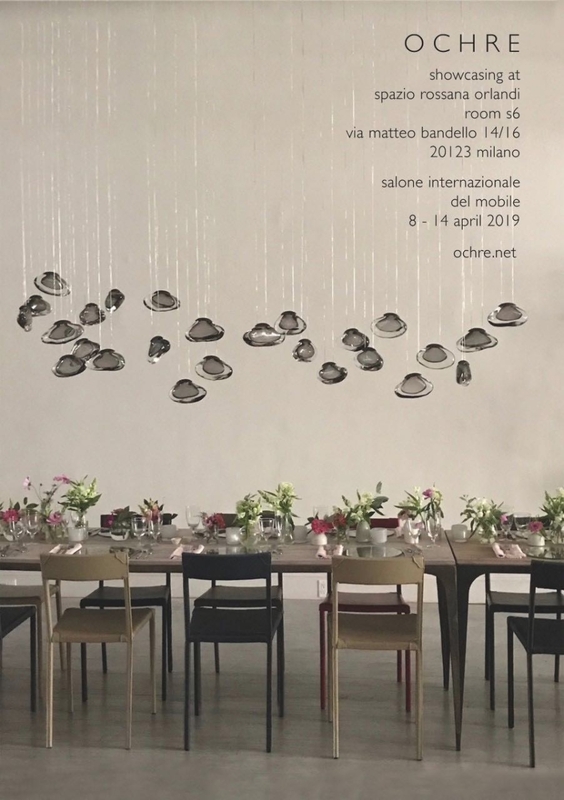 Magis is attending the Salone del Mobile 2019 with a space which embraces visitors in a sensation of serenity and sharing. 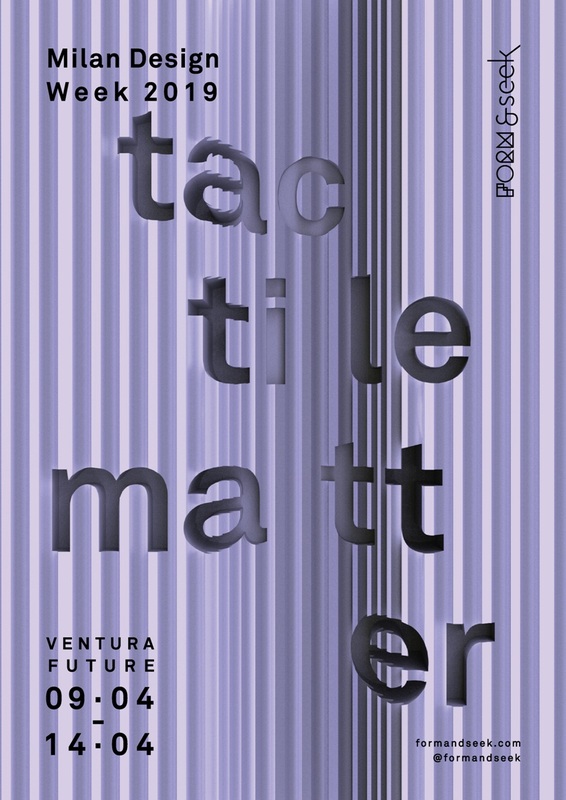 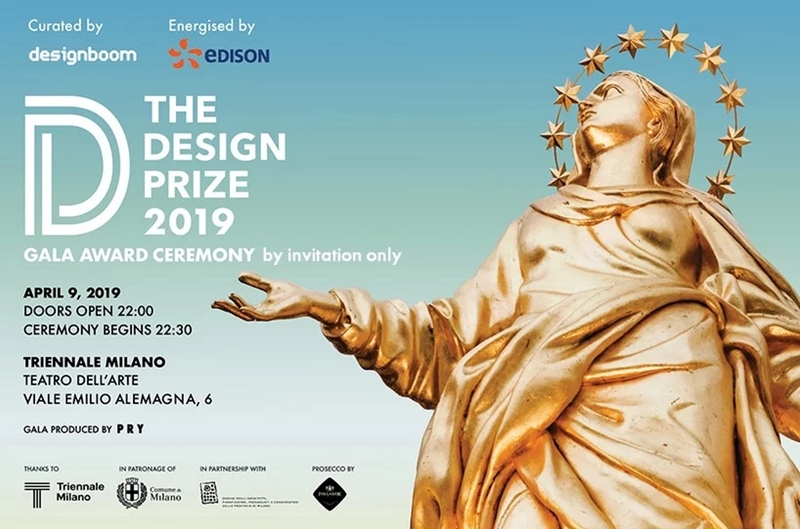 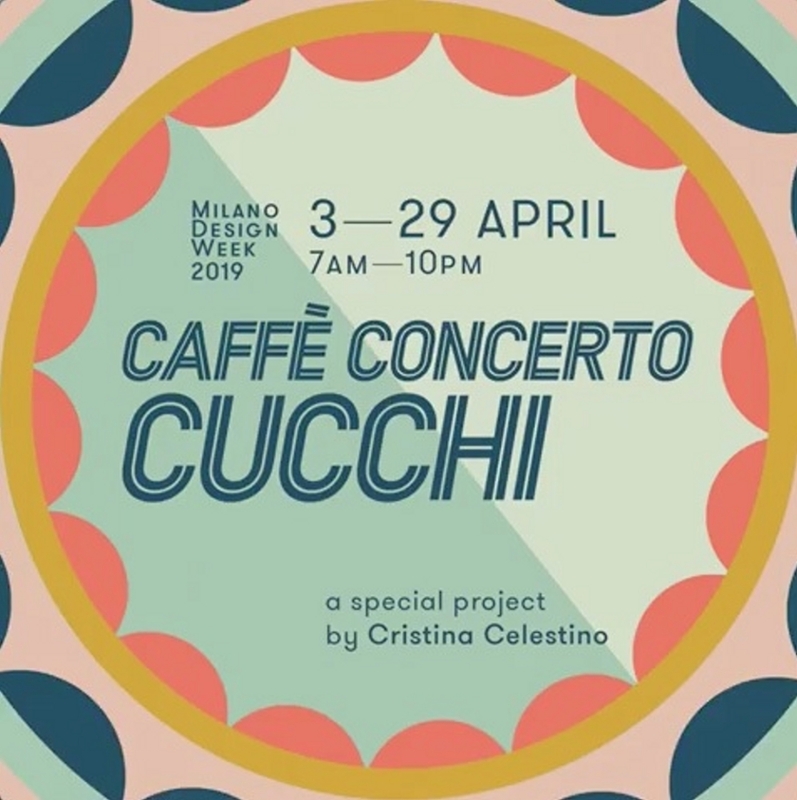 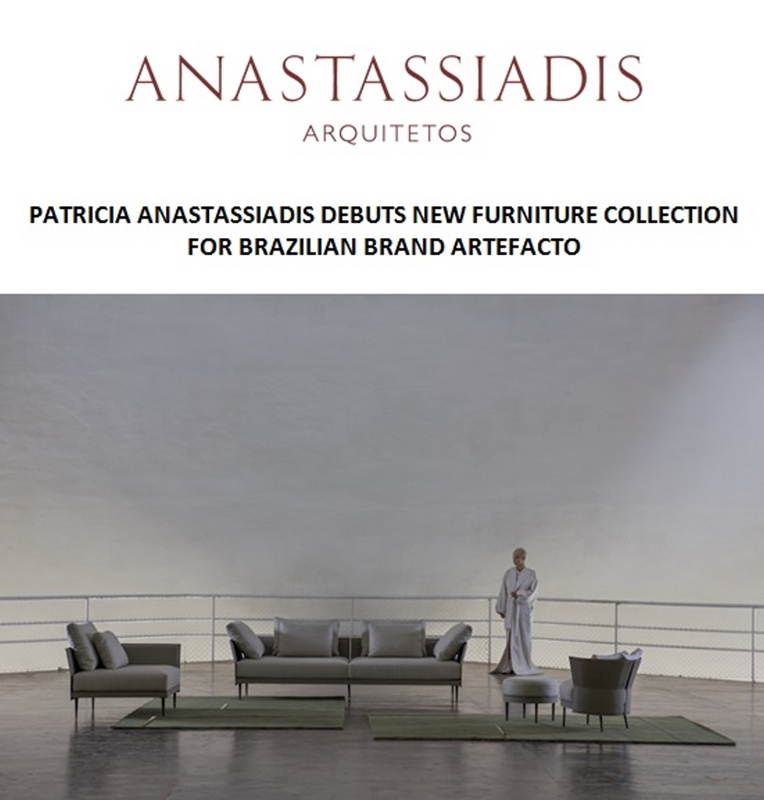 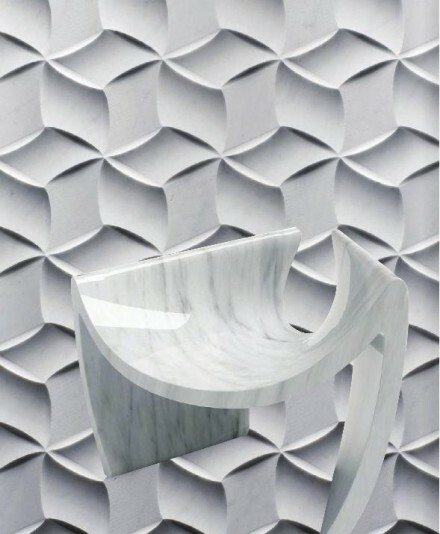 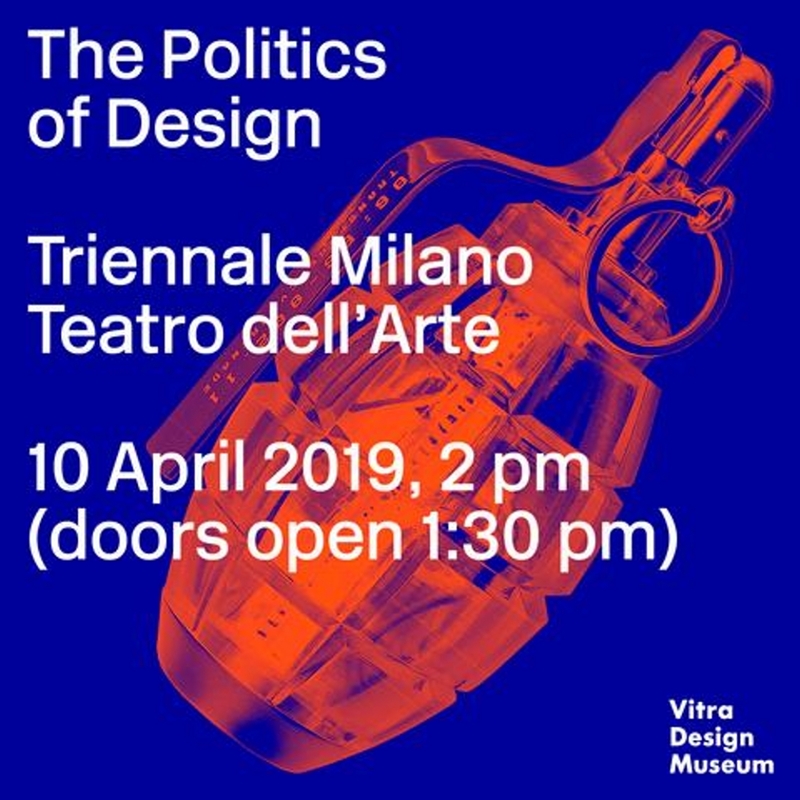 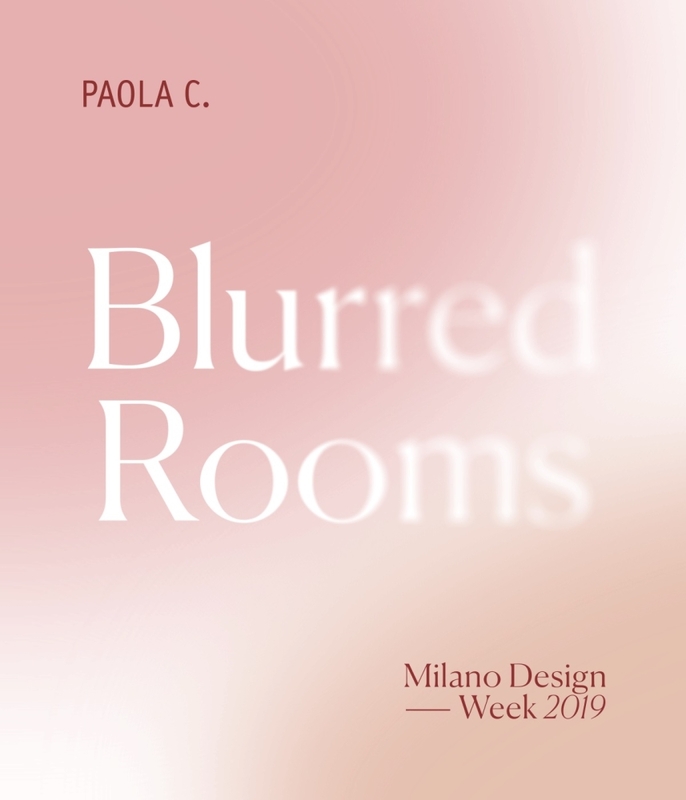 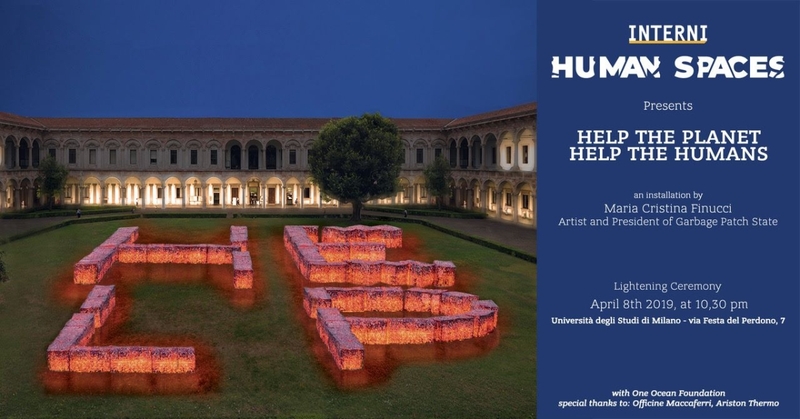 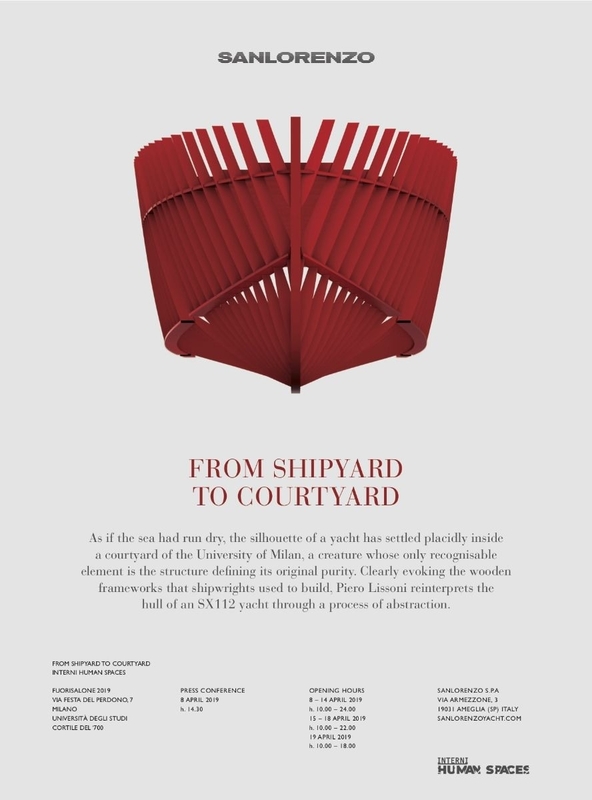 The idea for this new concept, curated by Swedish Studio Note in its second year of working with Magis, is the welcoming classical architecture of the inner courtyards of the traditional Italian palazzo, more specifically Palazzo Ducale in Venice, and of the cloisters. 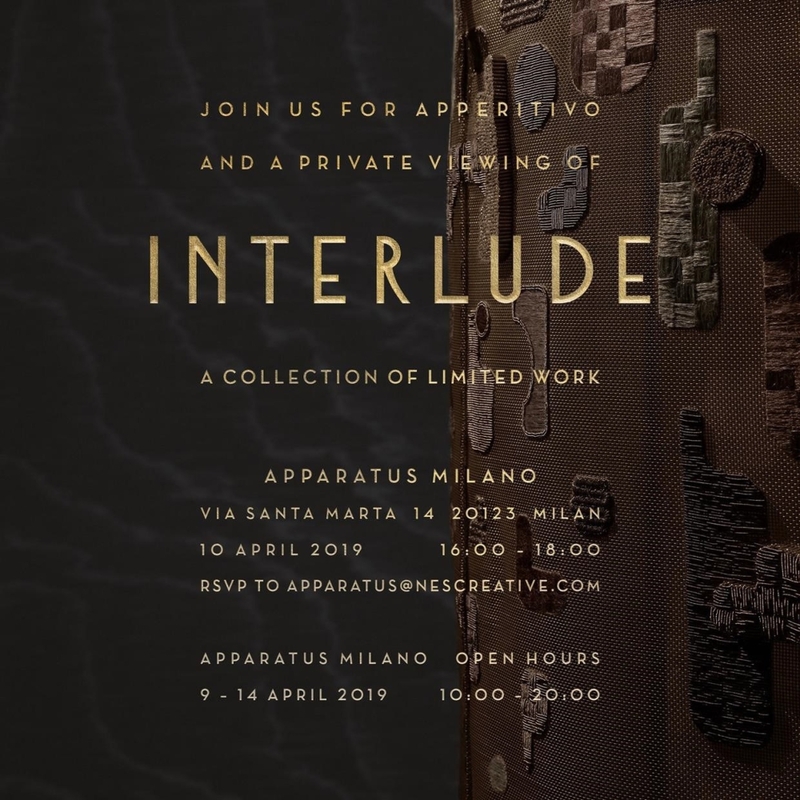 A pursuit of visuals and volumes back in time, through fascinating architectural arrangements around a central courtyard, a generous and inviting space for socialising, yet at the same time intimate and protective, interpreted as the ideal place today for sitting, talking and exchanging ideas or simply taking a break. 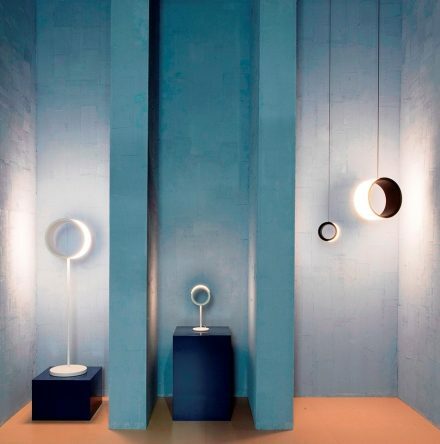 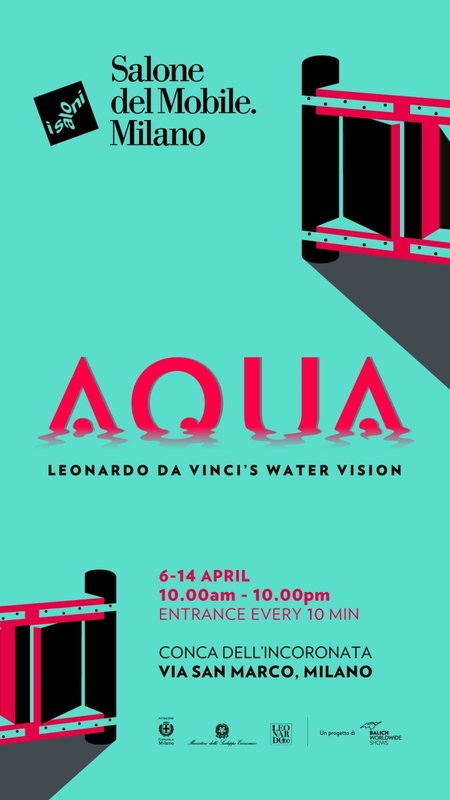 All around is the colour of water, the unifying element of the lagoon city, which becomes the dominant colour of the stand and its evocative atmosphere. 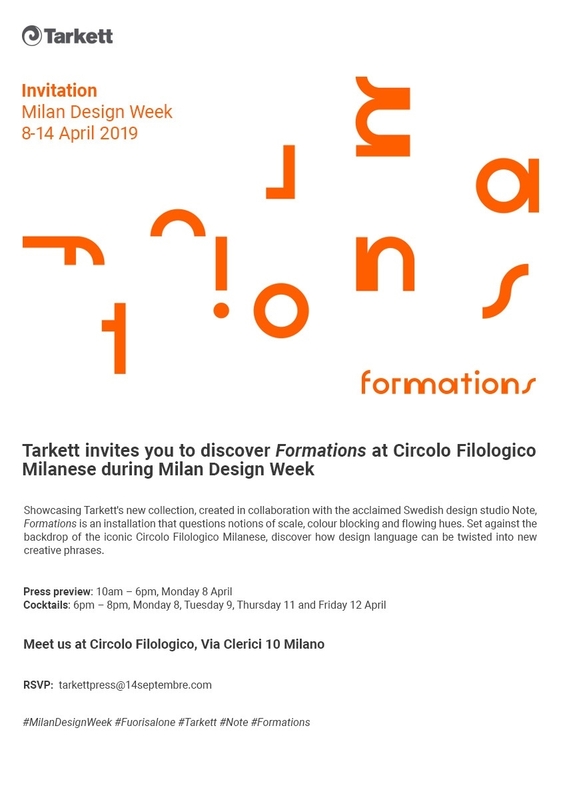 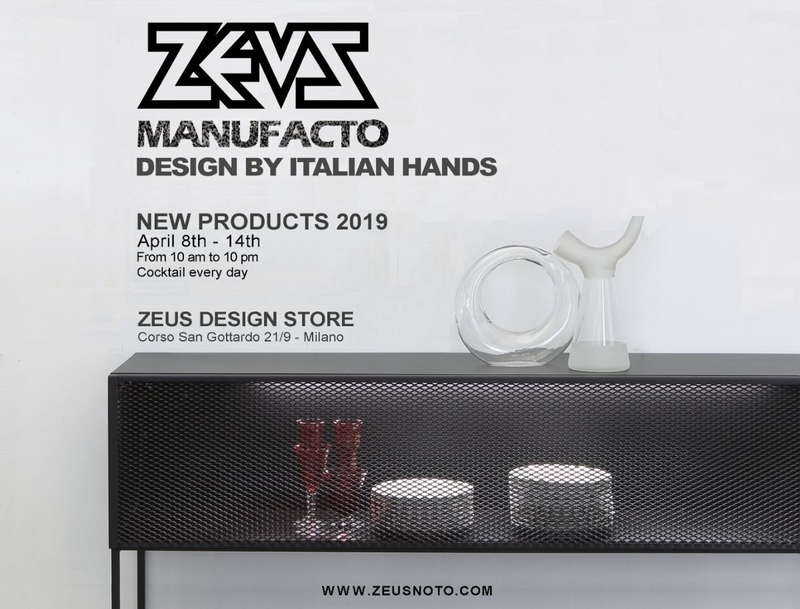 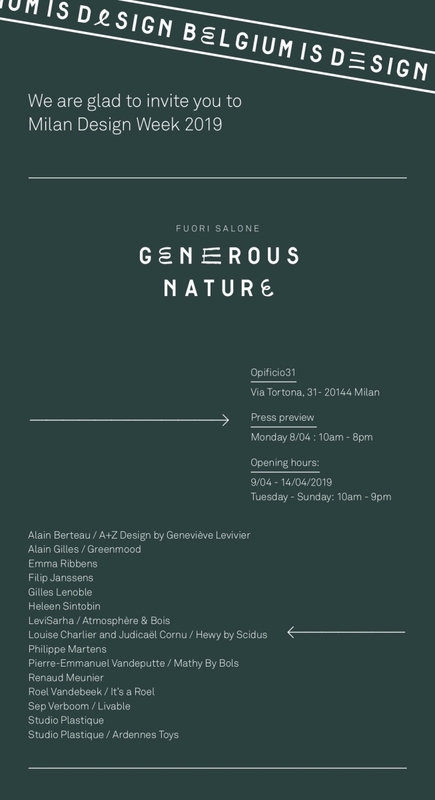 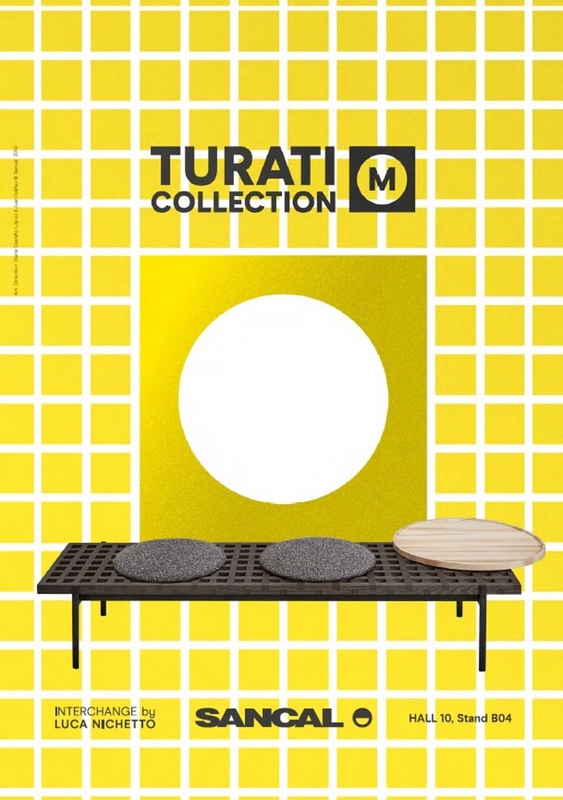 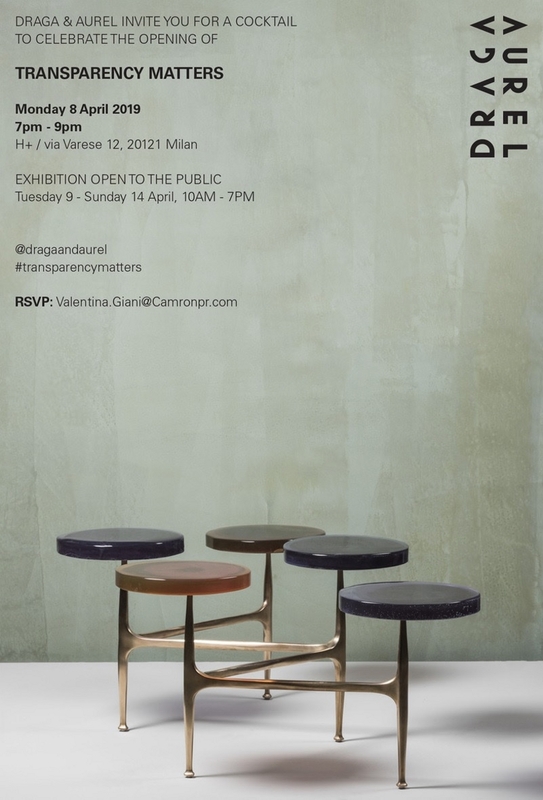 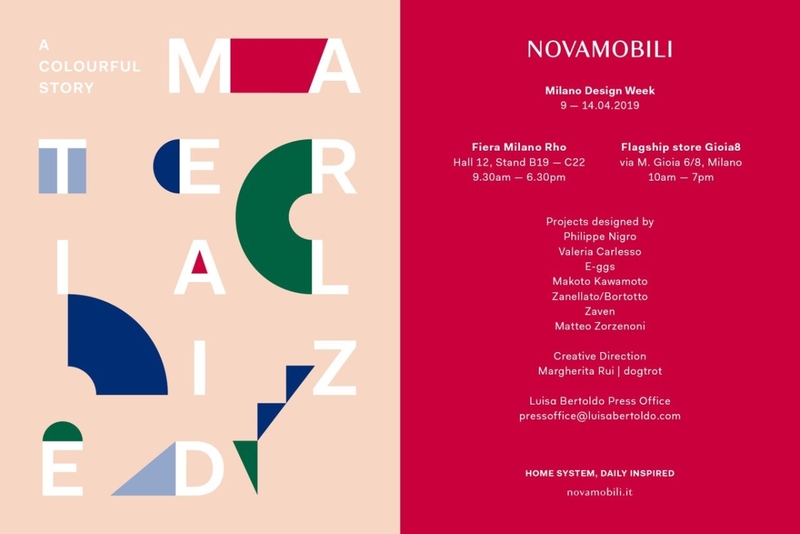 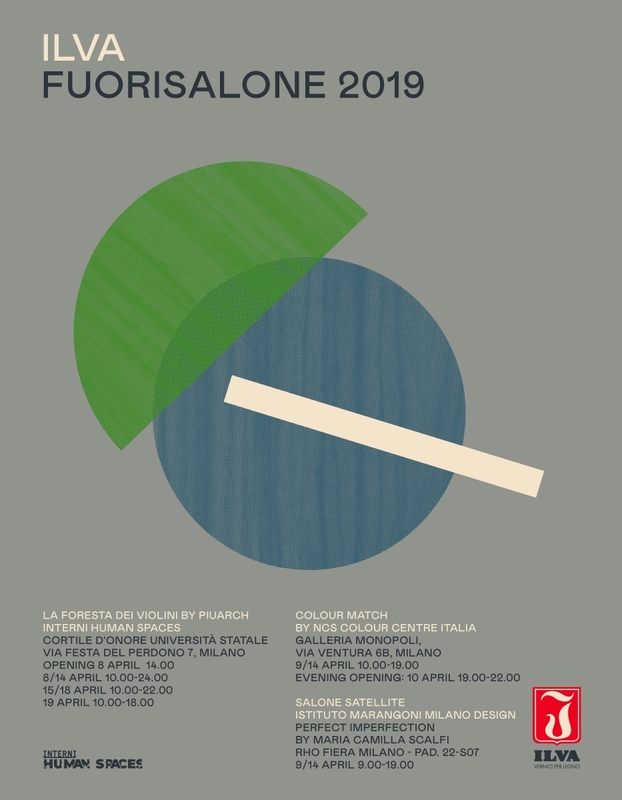 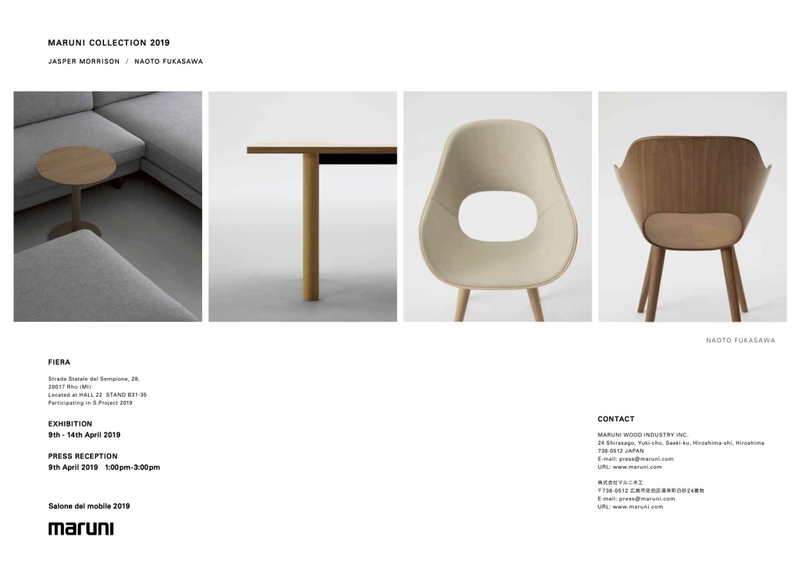 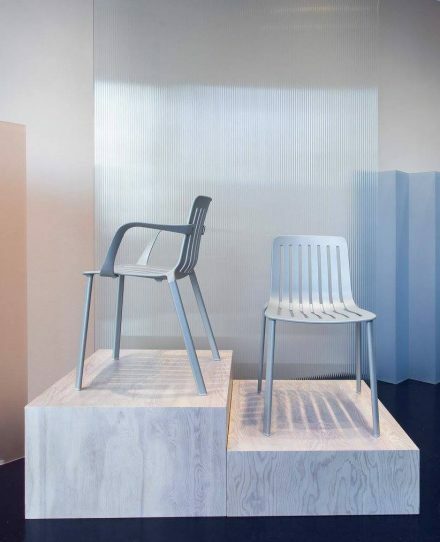 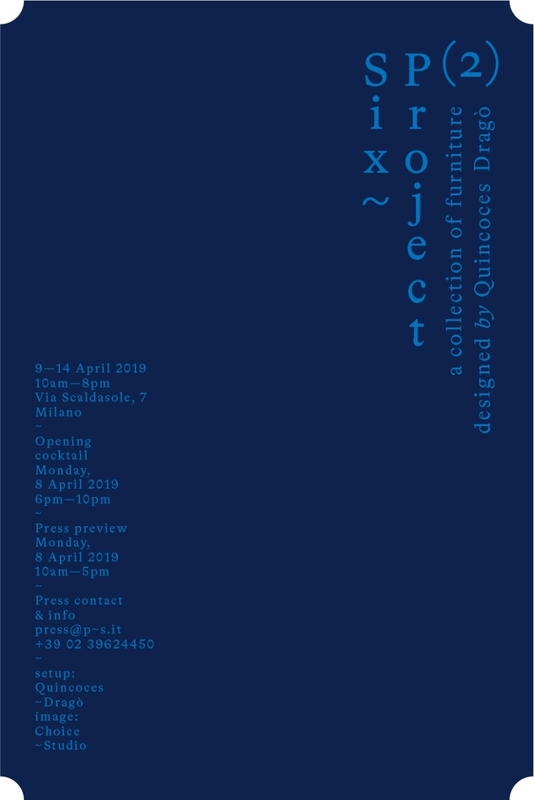 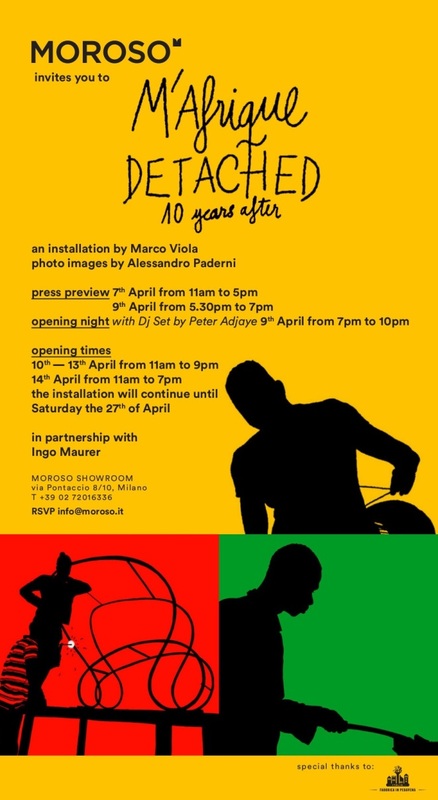 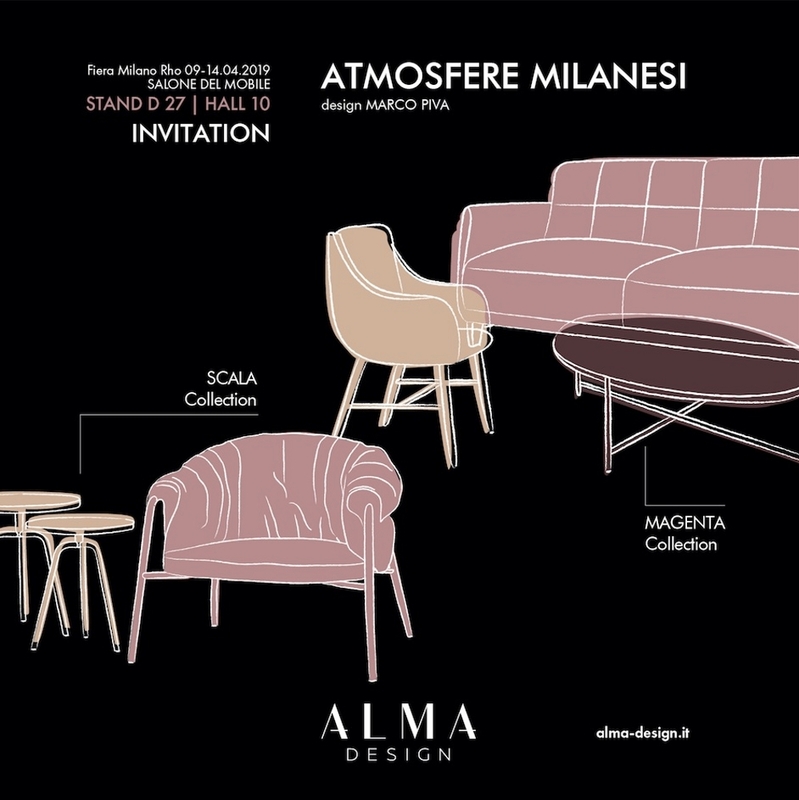 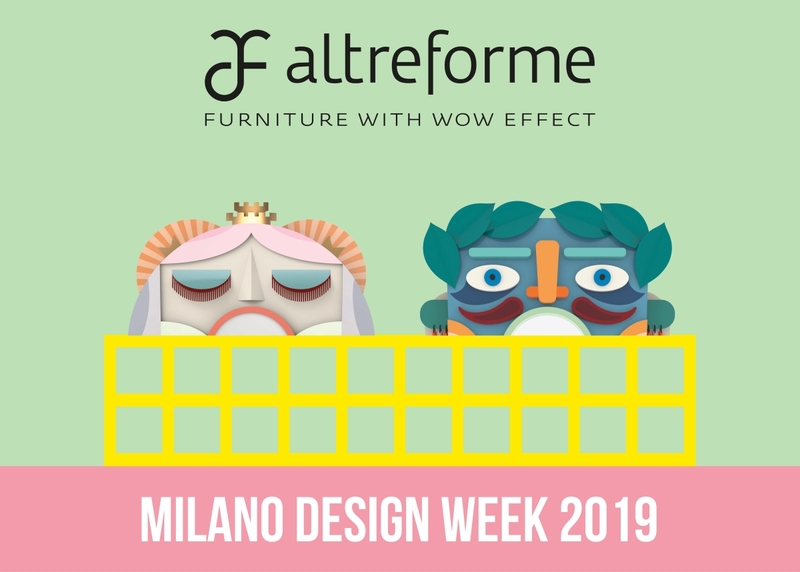 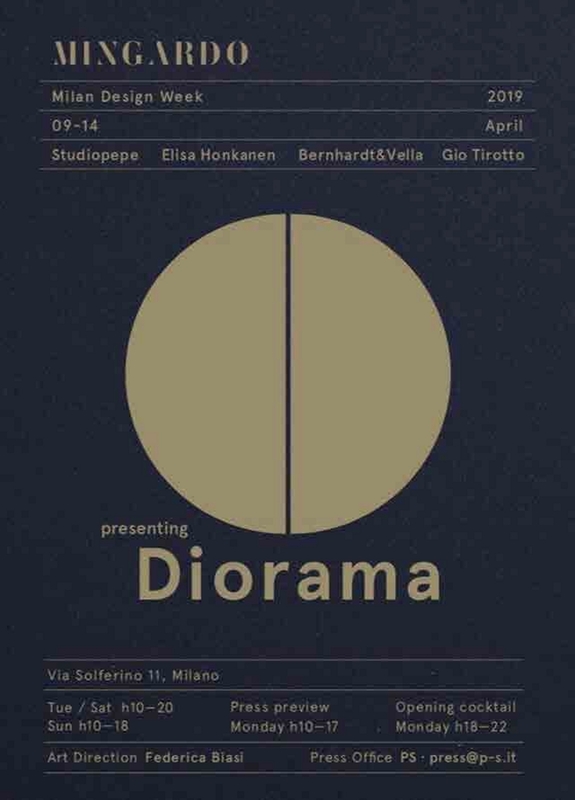 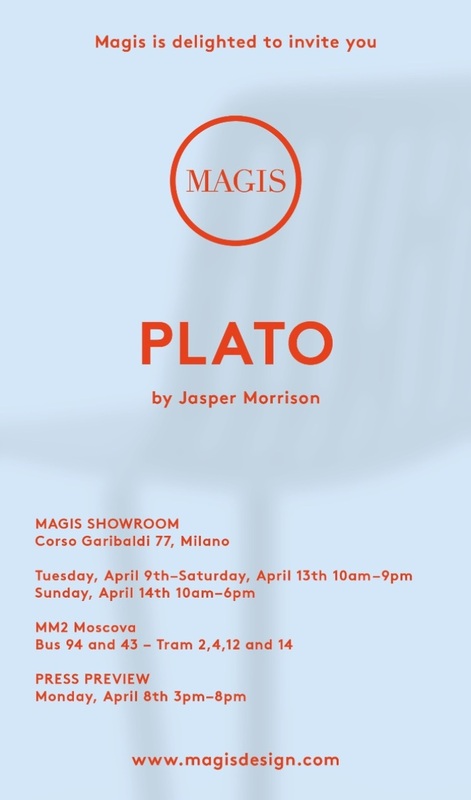 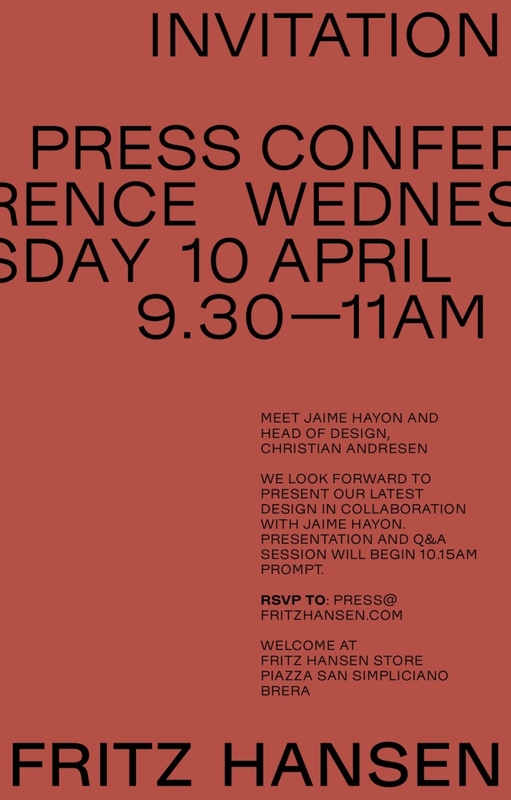 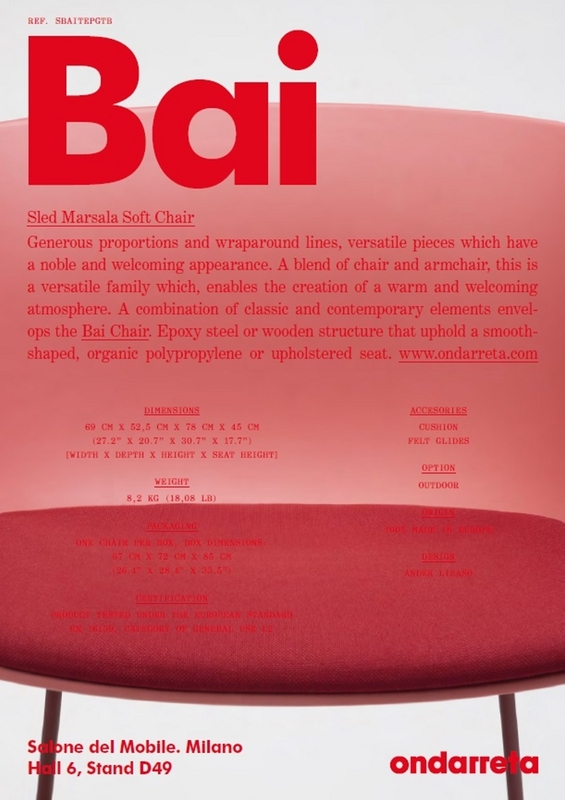 During the furniture fair week, the Magis showroom on Corso Garibaldi will have a set curated again by the firm Note and dedicated to Plato, the new chair by Jasper Morrison. 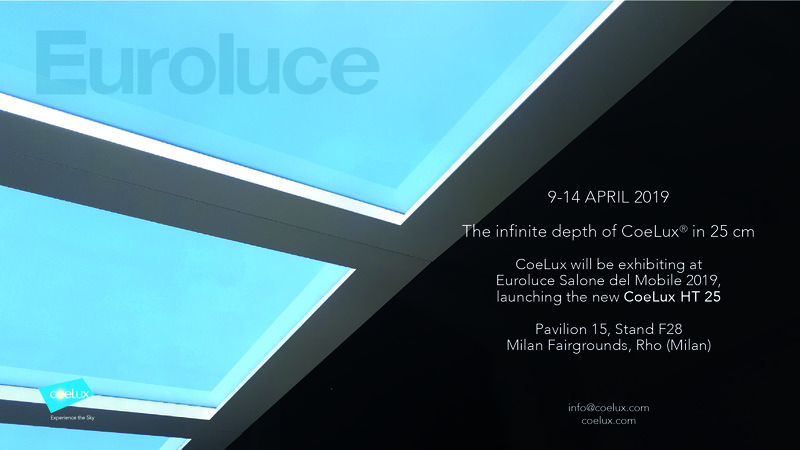 CoeLux is an artificial window that recreates the effect of warm sunlight along with the blue scattered light of the sky reproducing typical outdoor lights, shapes and volumes inside, delivering well-being and positivity. 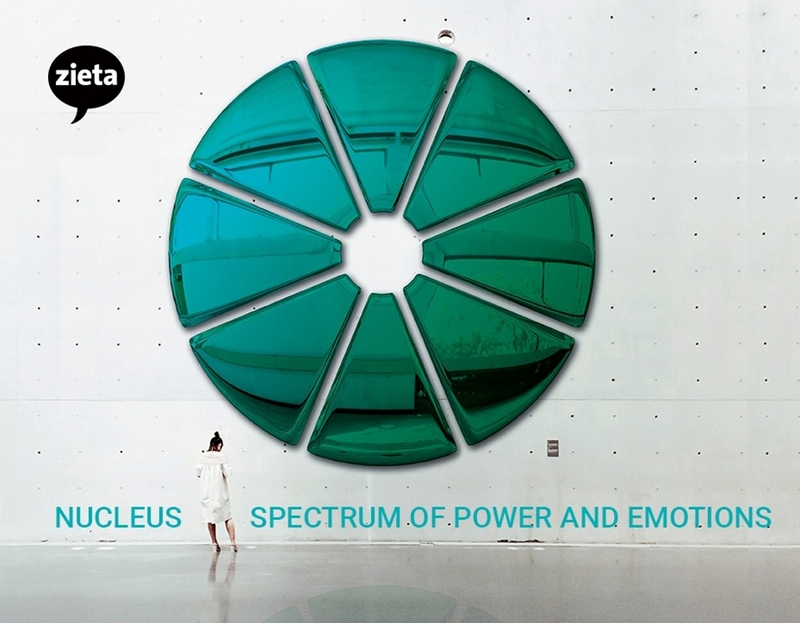 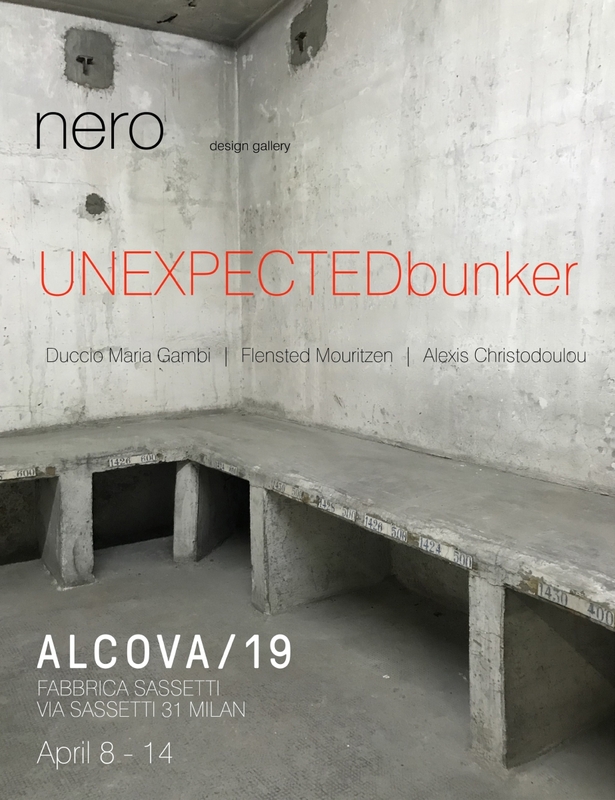 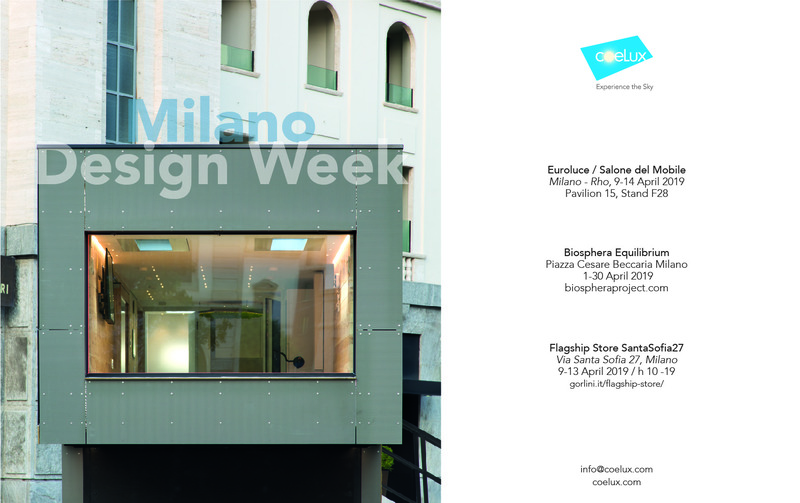 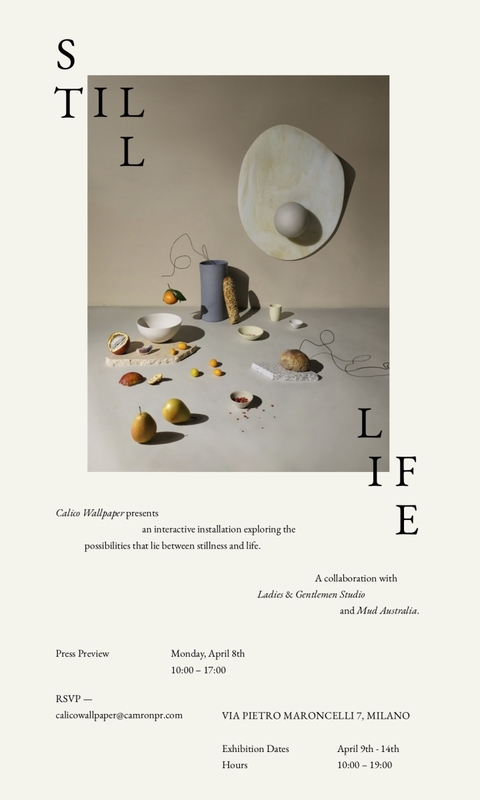 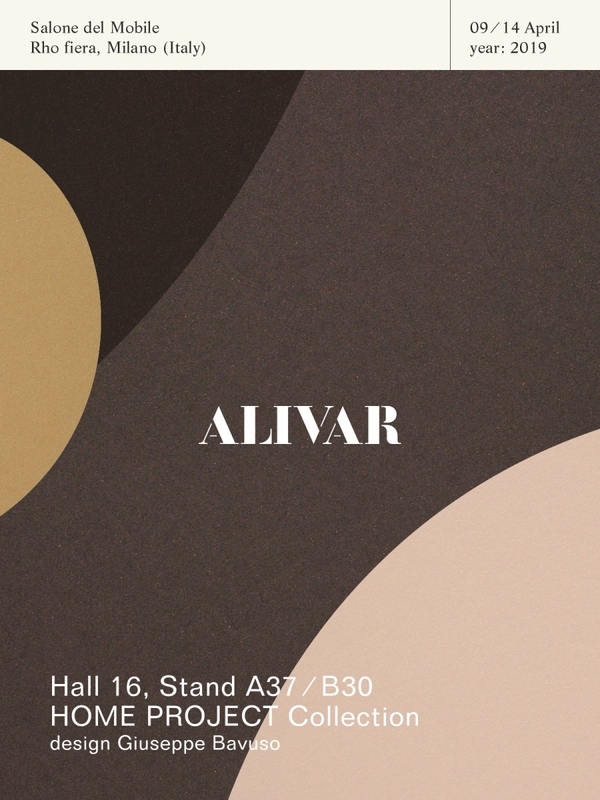 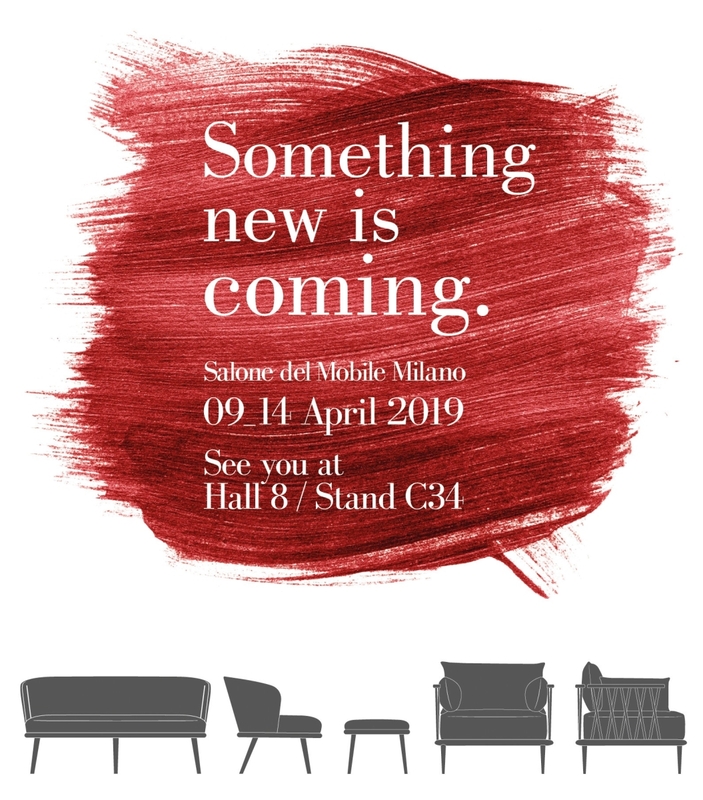 CoeLux® will show its product families in a booth that highlights the philosophical and evocative aspects and, on a more practical level, shows the countless possibilities of installation in the residential and public sector. 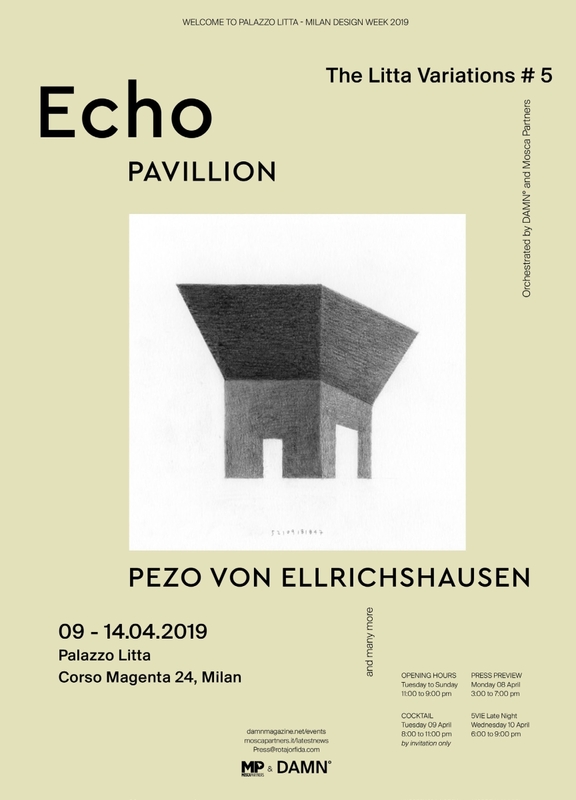 The 80 m2 of the exhibition space is designed as a “deconstructed installation”: six different places divided by a central inlet, suspended rooms, intersections of niches, walls that join the ceiling in a single opening to the sky CoeLux. 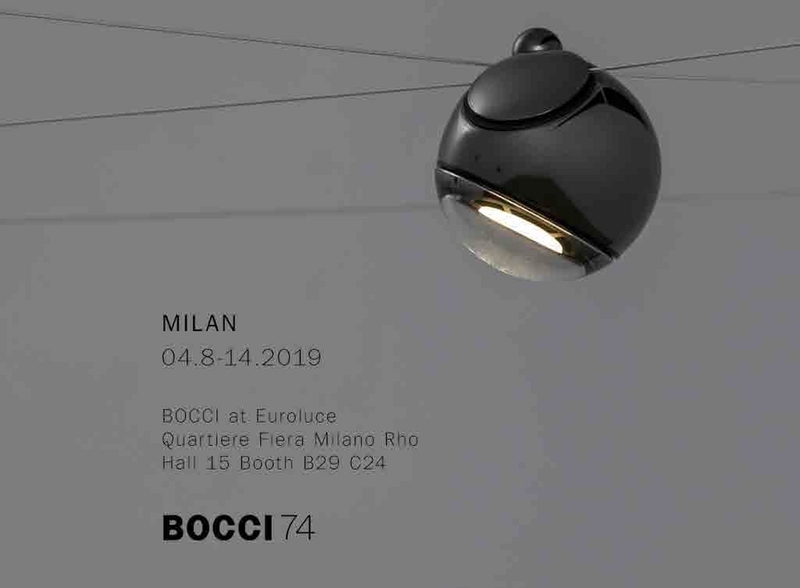 The need to perfectly reconstruct the closed spaces, which enhance the technical characteristics of the CoeLux systems, led to the creation of two new collaborations at the fair. 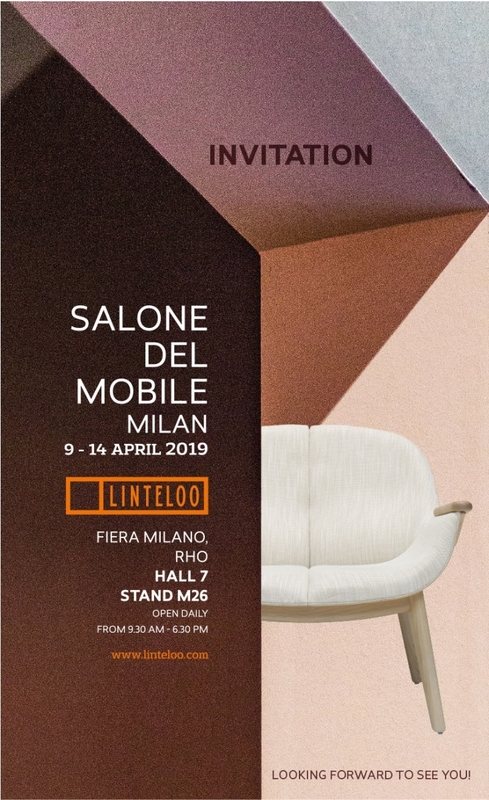 One with Linvisibile, the historic Made in Italy brand leader in the production of doors completely flush with the wall, and one with Anne Kyyrö Quinn whose Tulip soundproof panels represent the exuberance of nature in a clean and dynamic design. 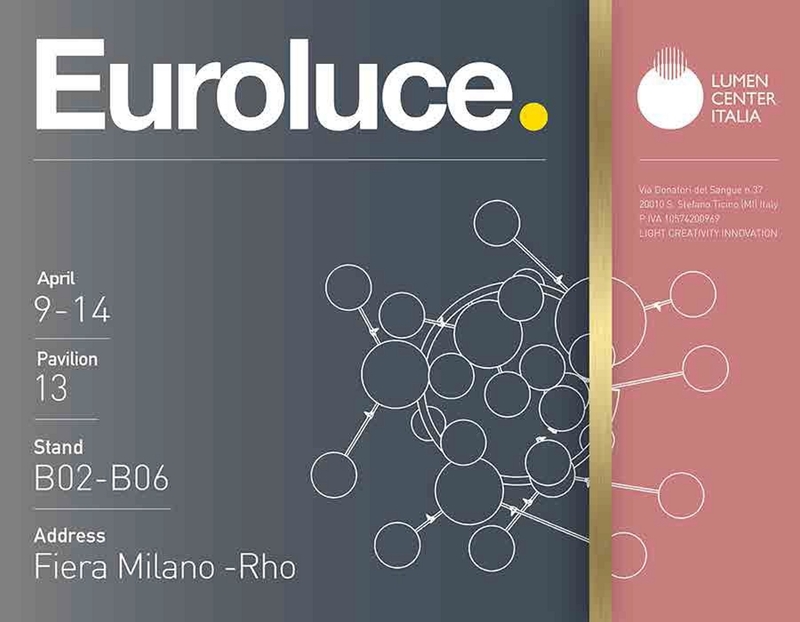 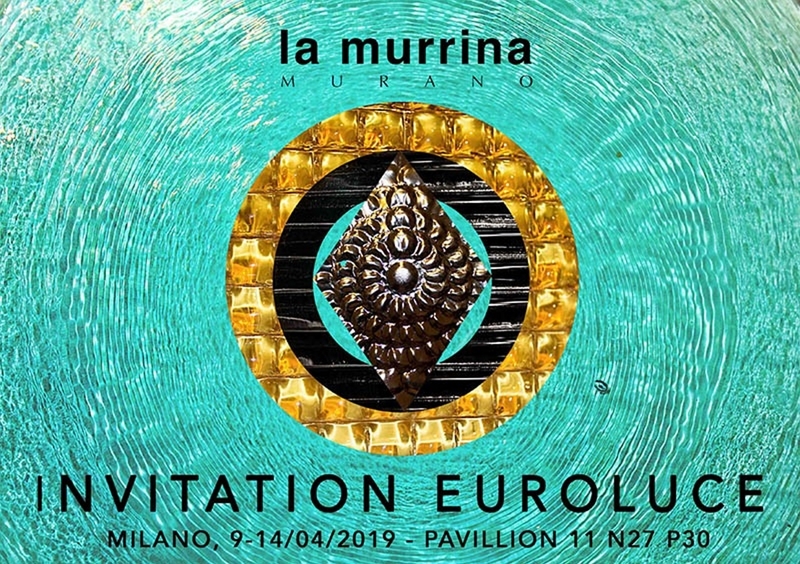 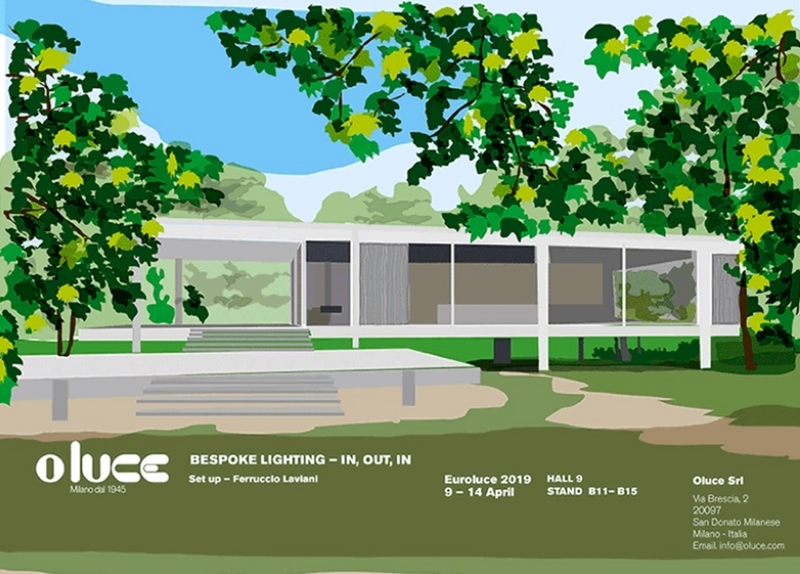 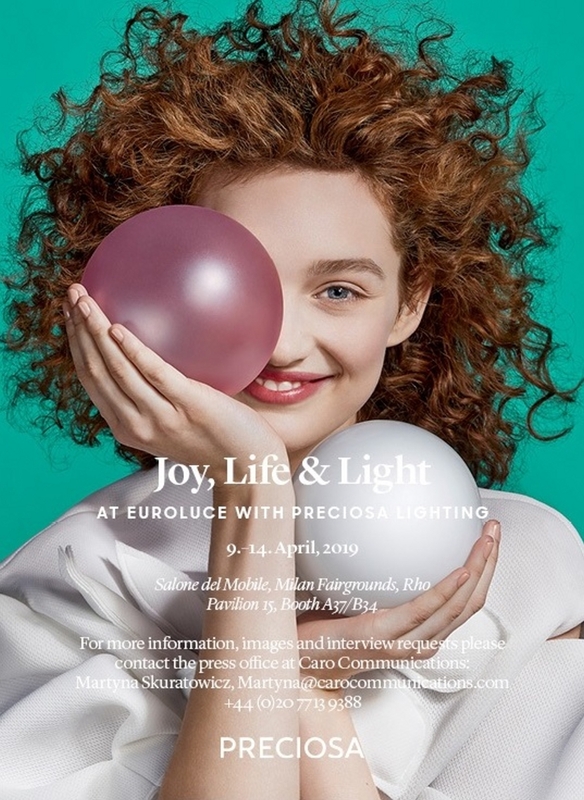 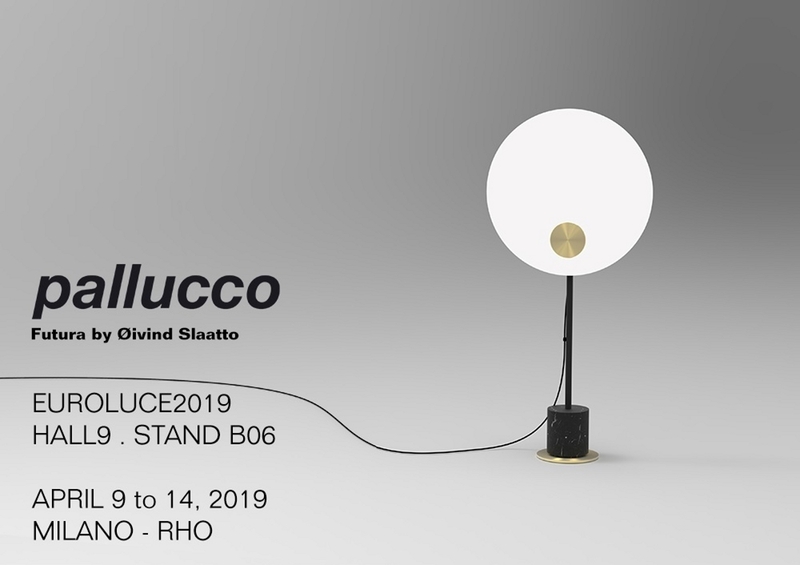 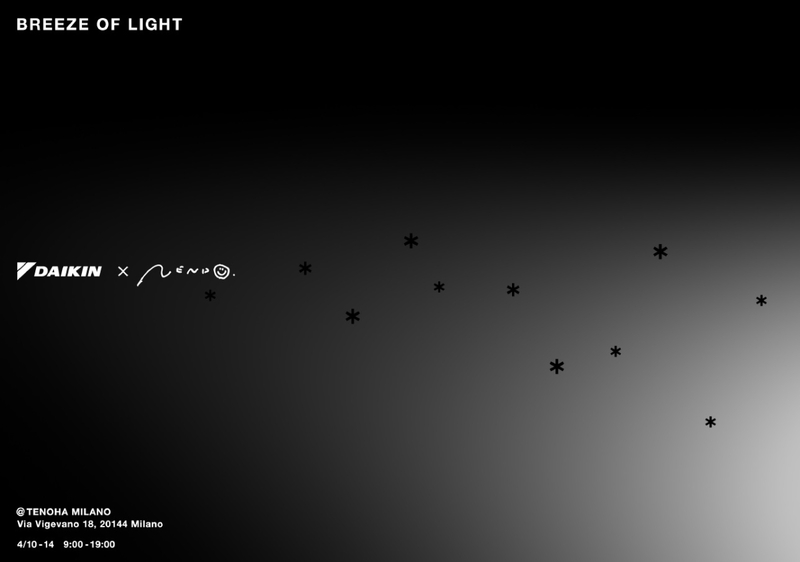 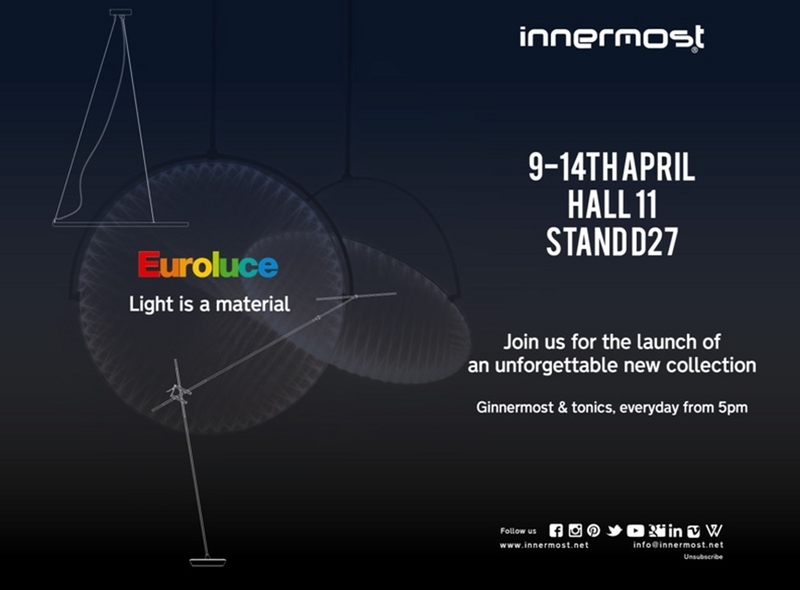 The CoeLux systems showing at Euroluce are divided into 3 product families – CoeLux® LS (Ice, Matte, Array and Mini), CoeLux® ST (Wall Washing), CoeLux® HE (60HC and a Concept version of CoeLux® 45 LC) – and the CoeLux® HT 25 system. 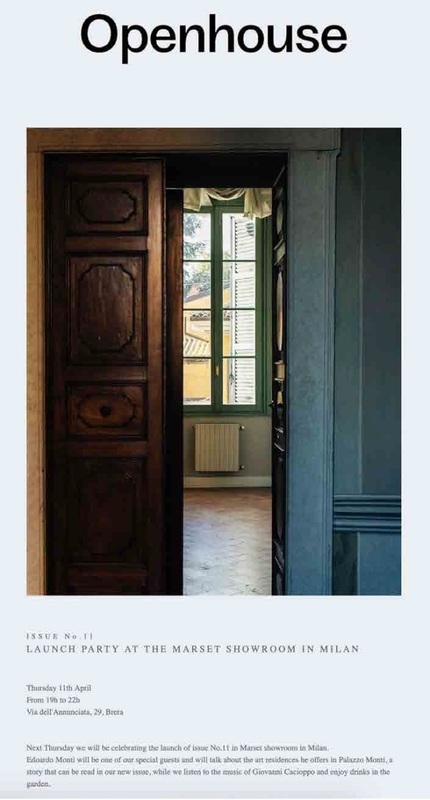 It is a path to follow leading to unexpected but always authentic destinations. 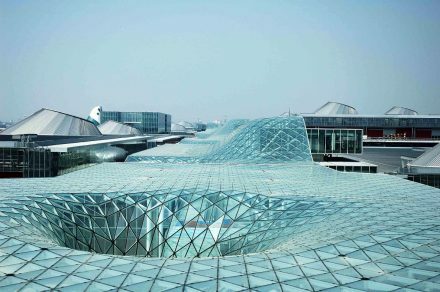 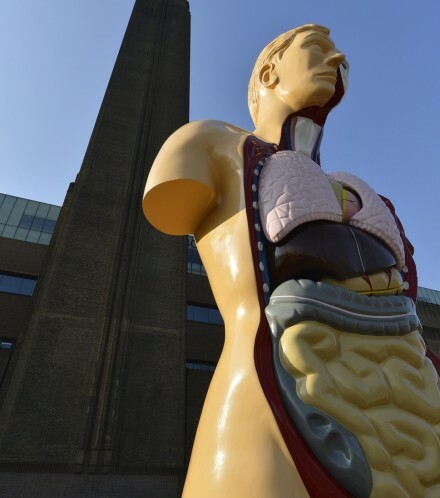 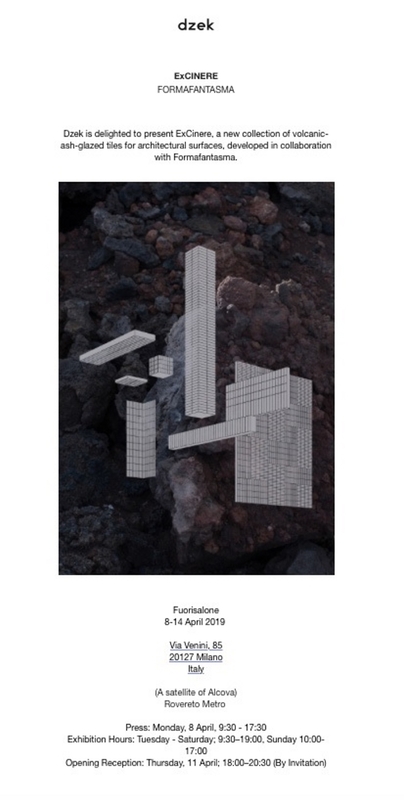 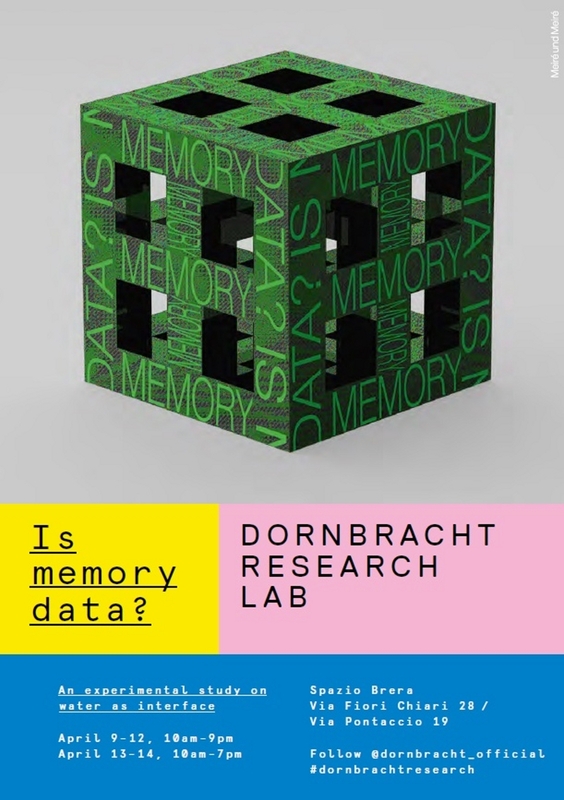 Wherever possible we refer to pure three-dimensional architectural shapes. 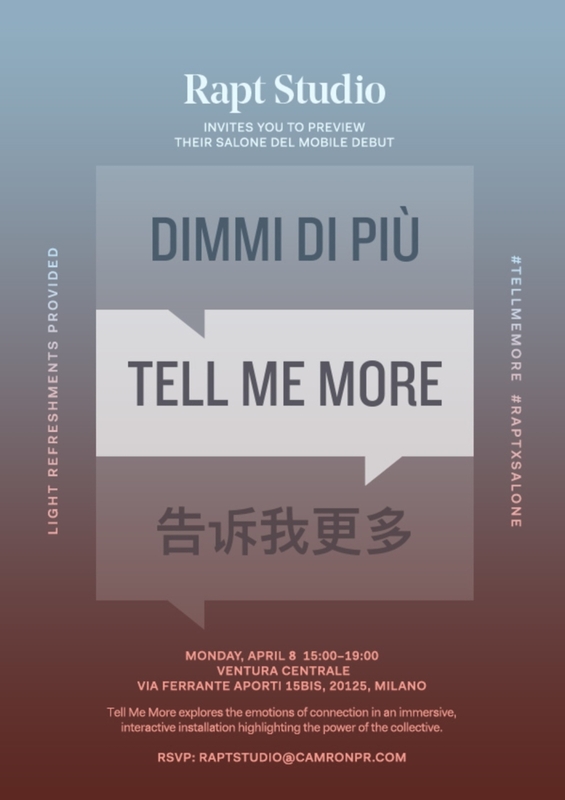 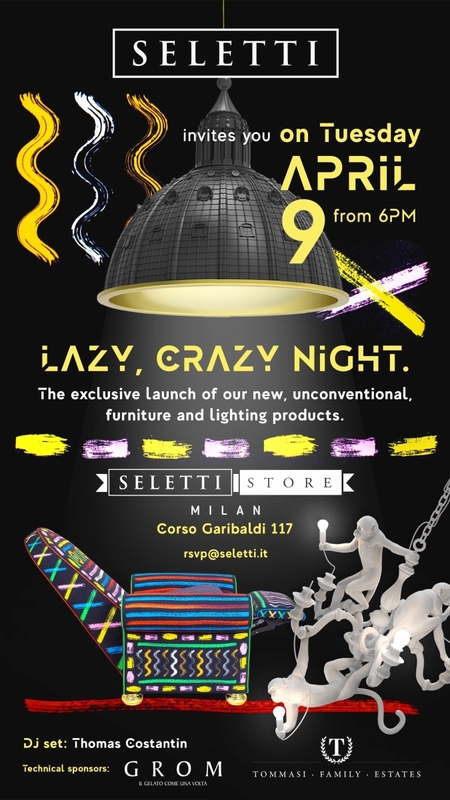 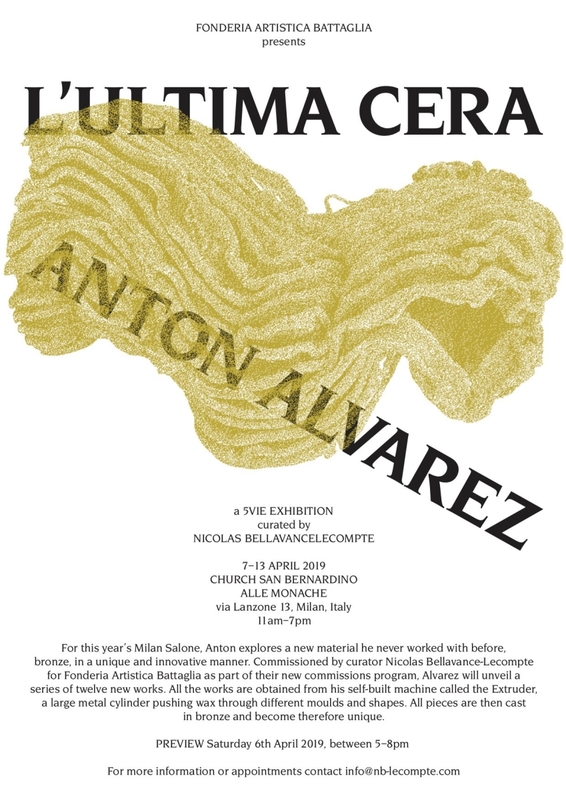 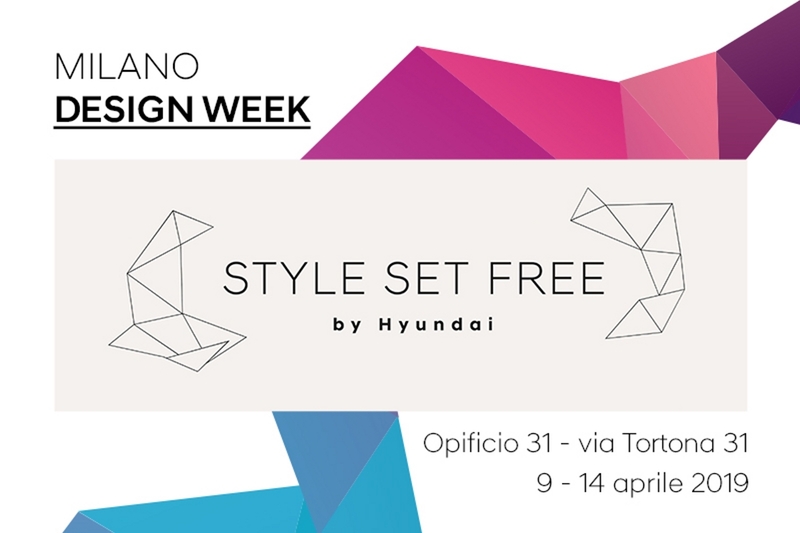 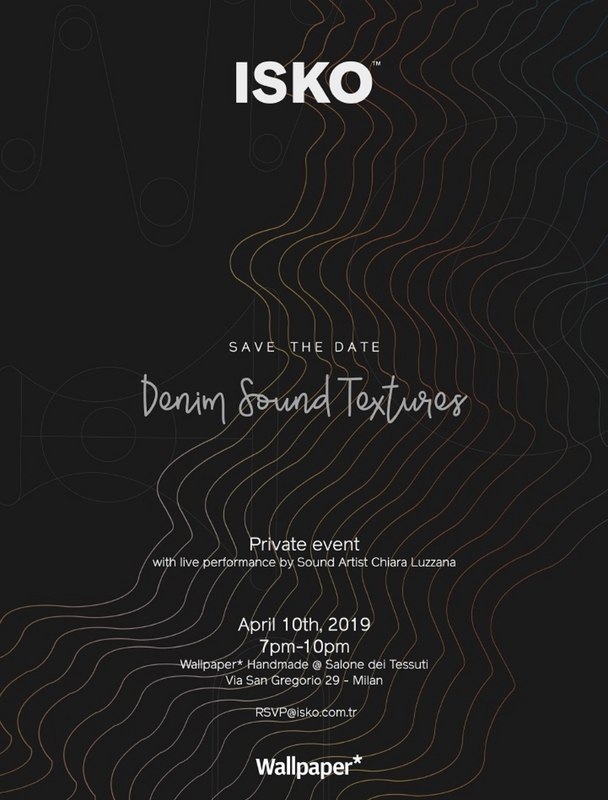 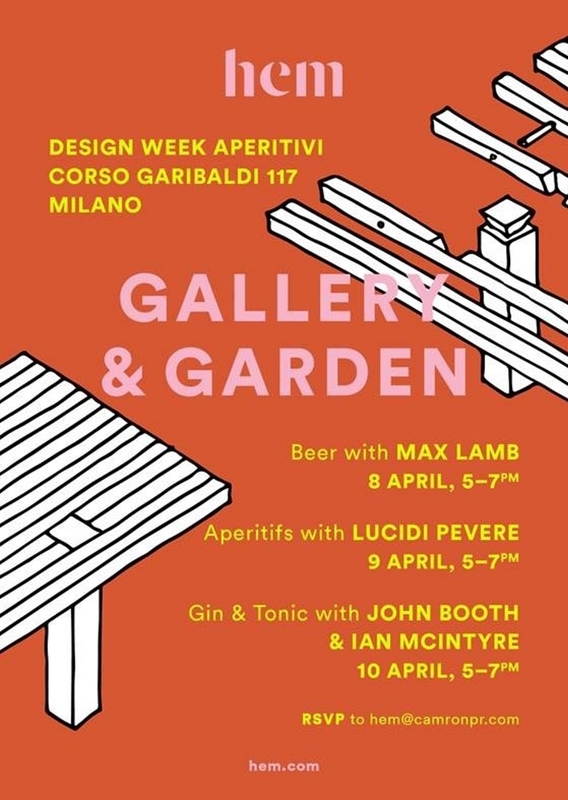 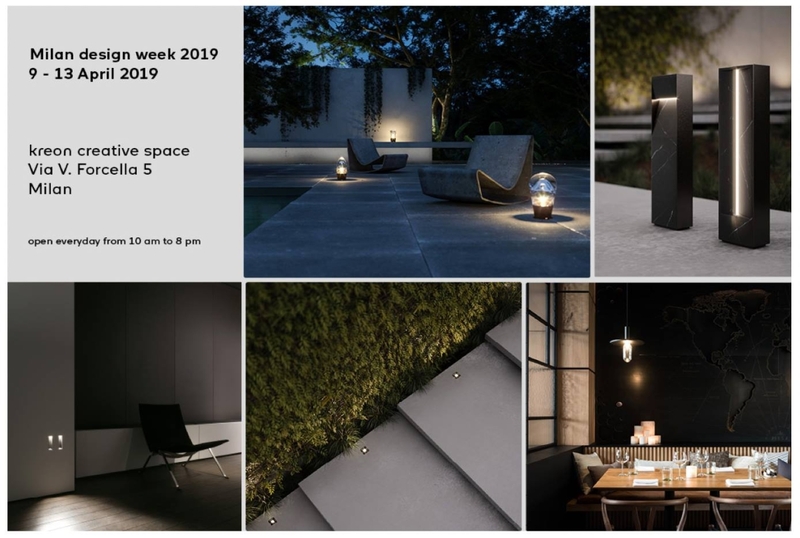 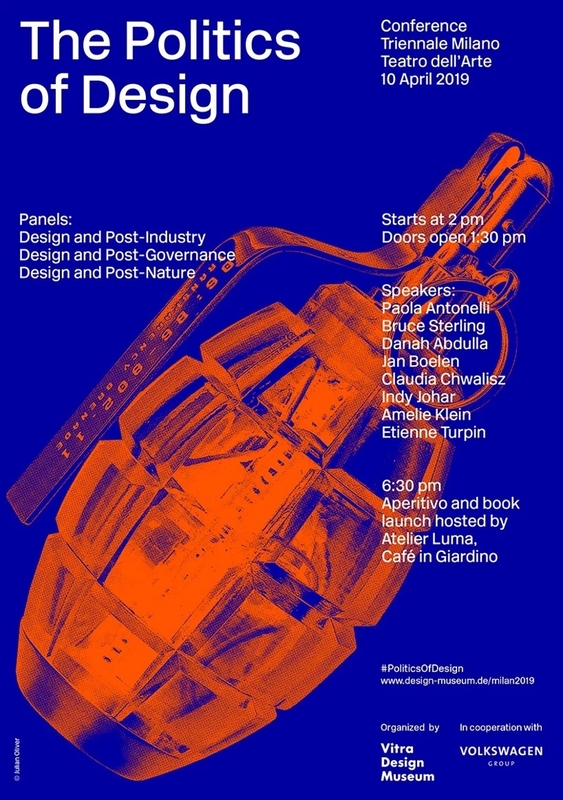 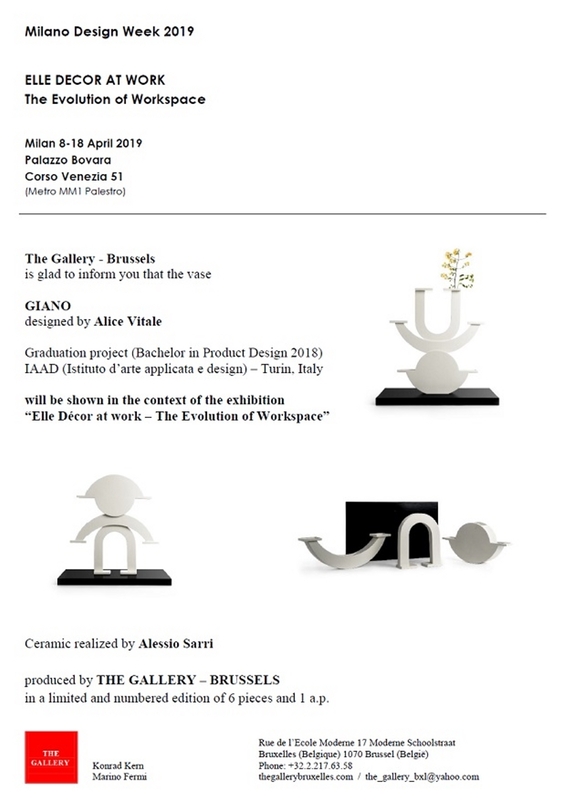 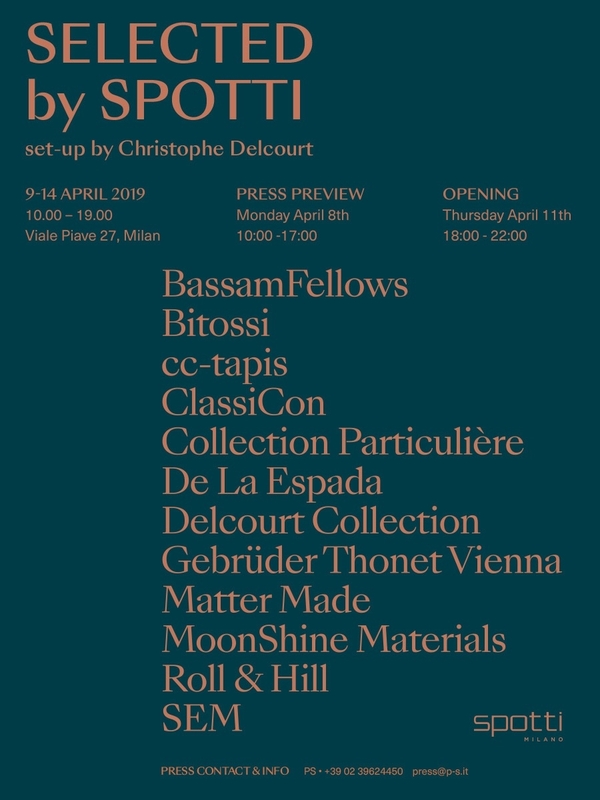 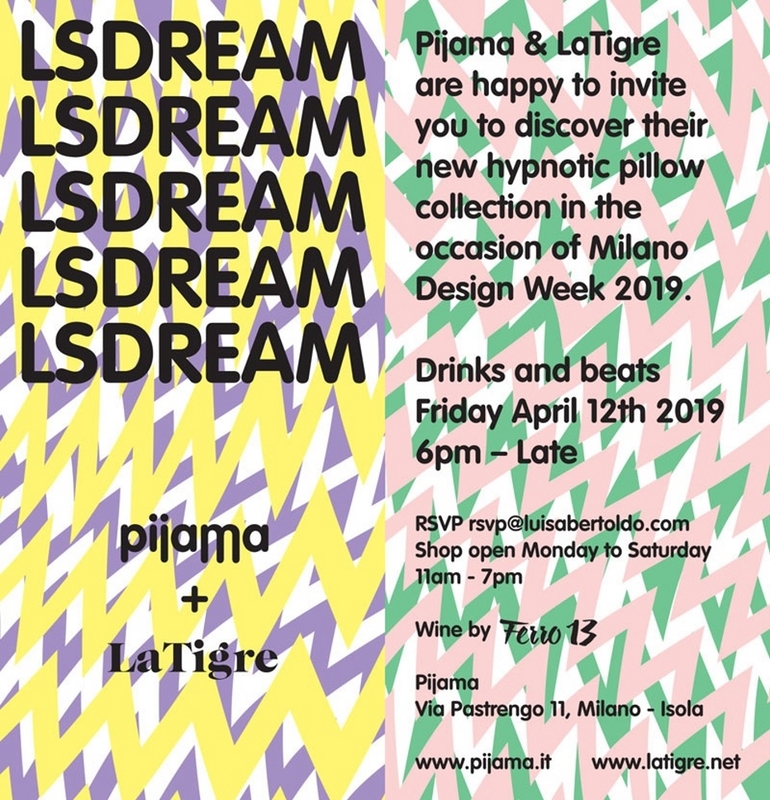 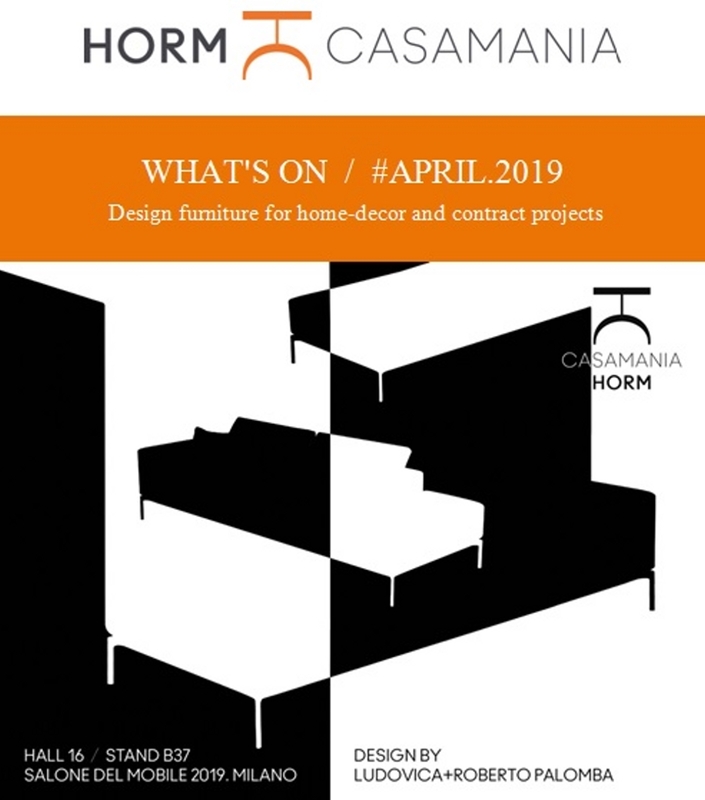 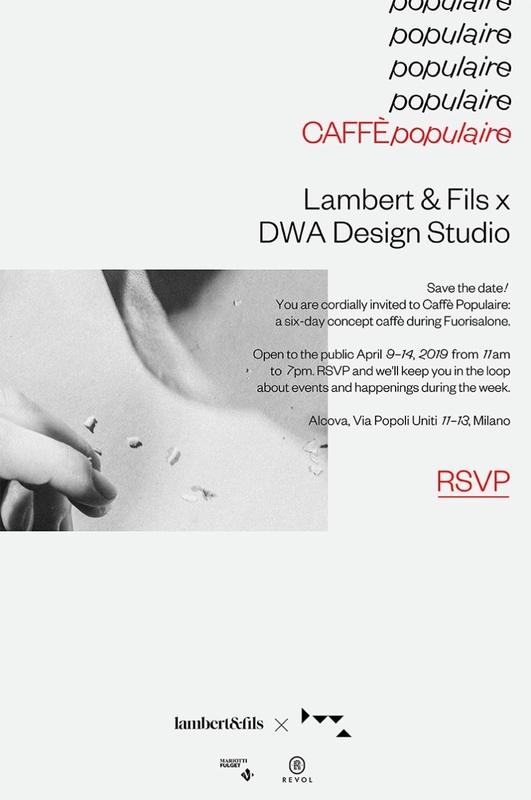 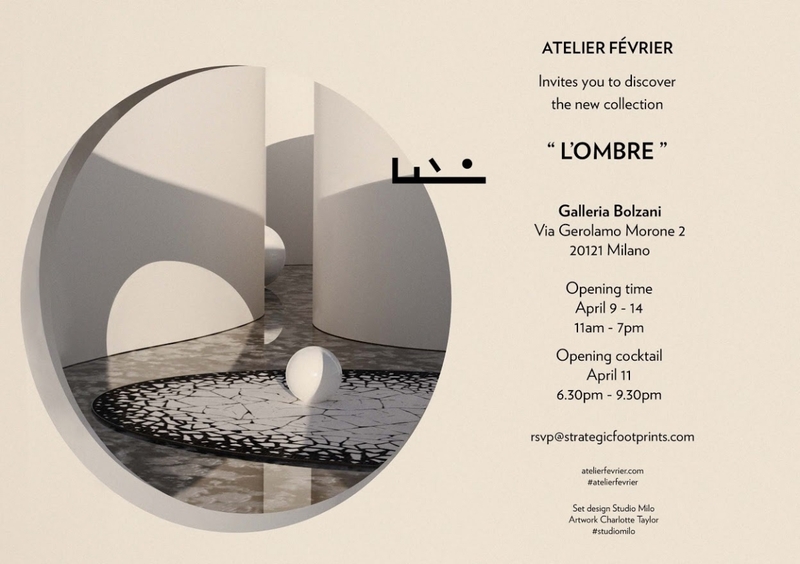 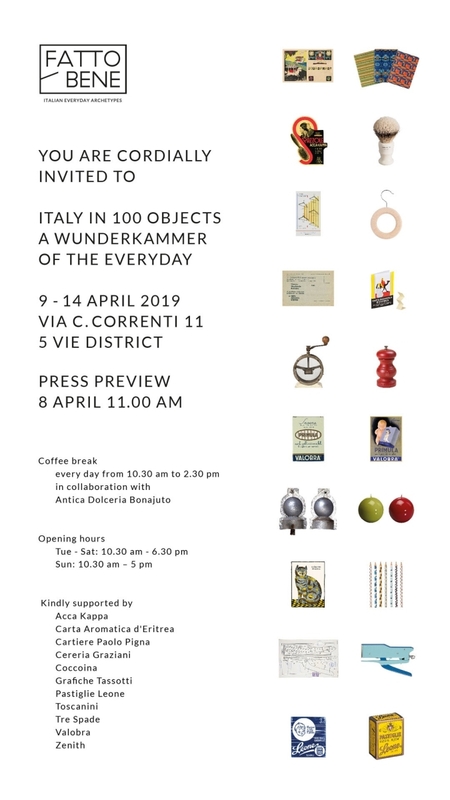 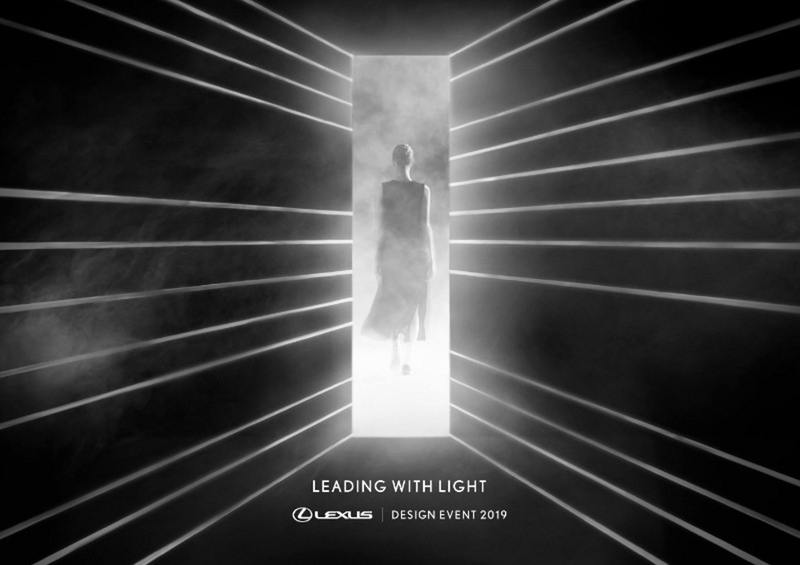 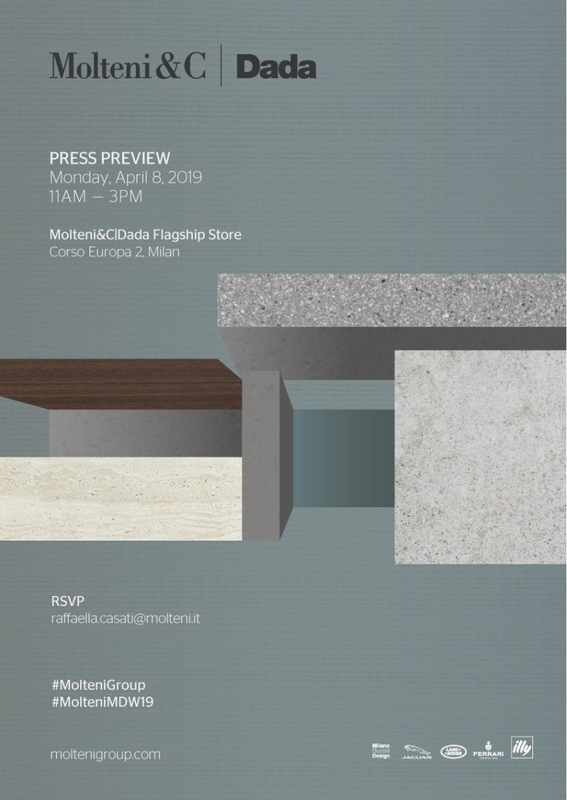 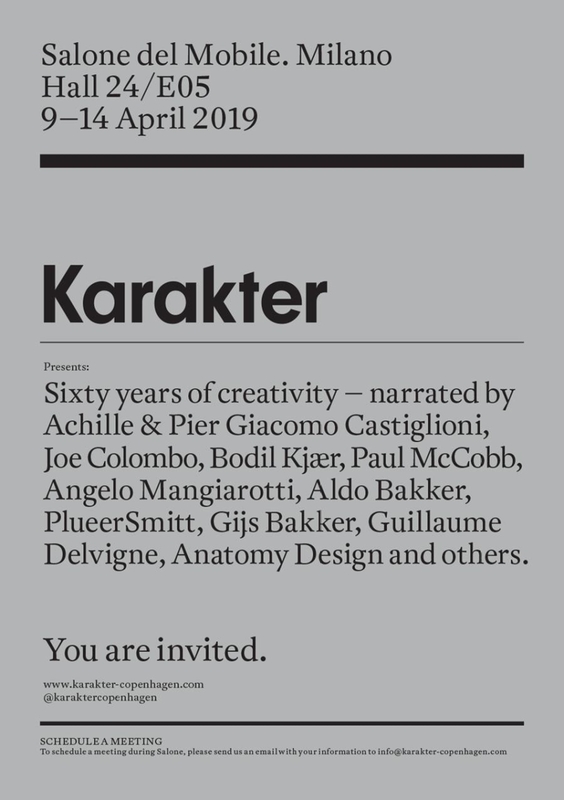 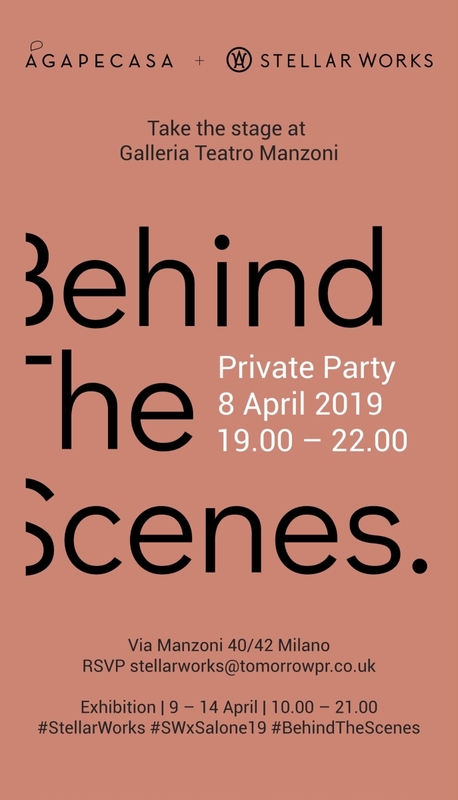 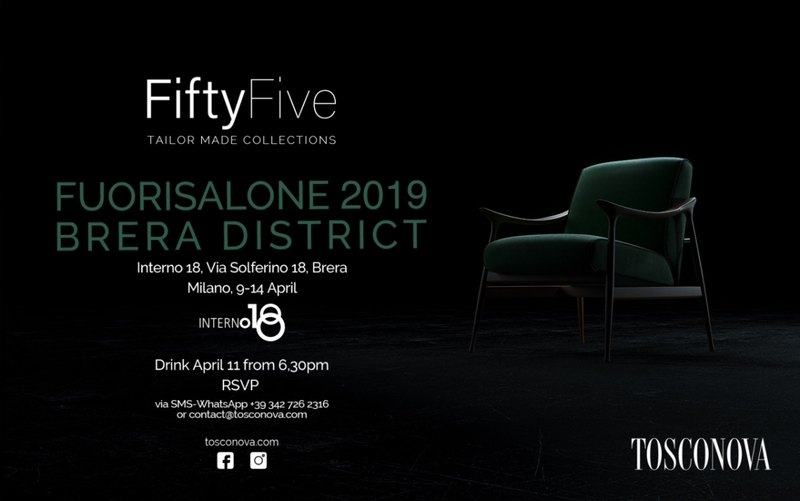 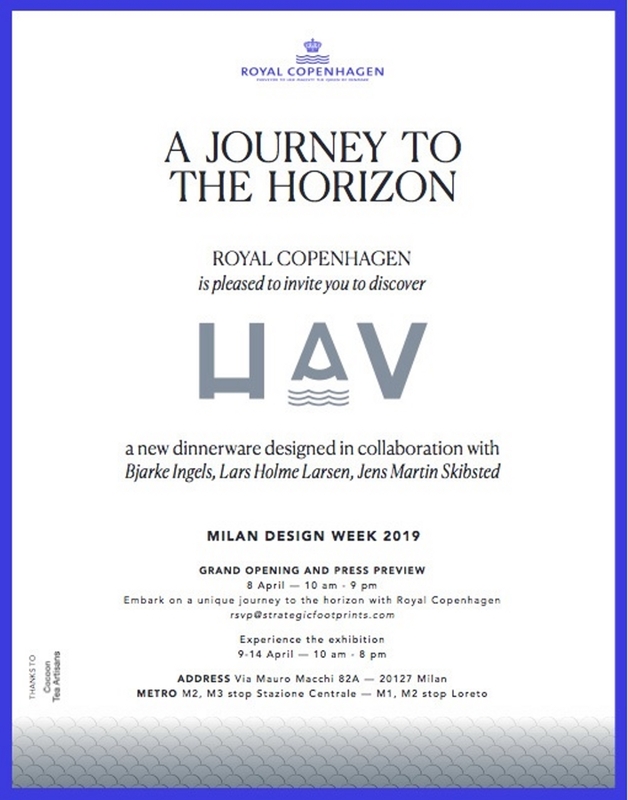 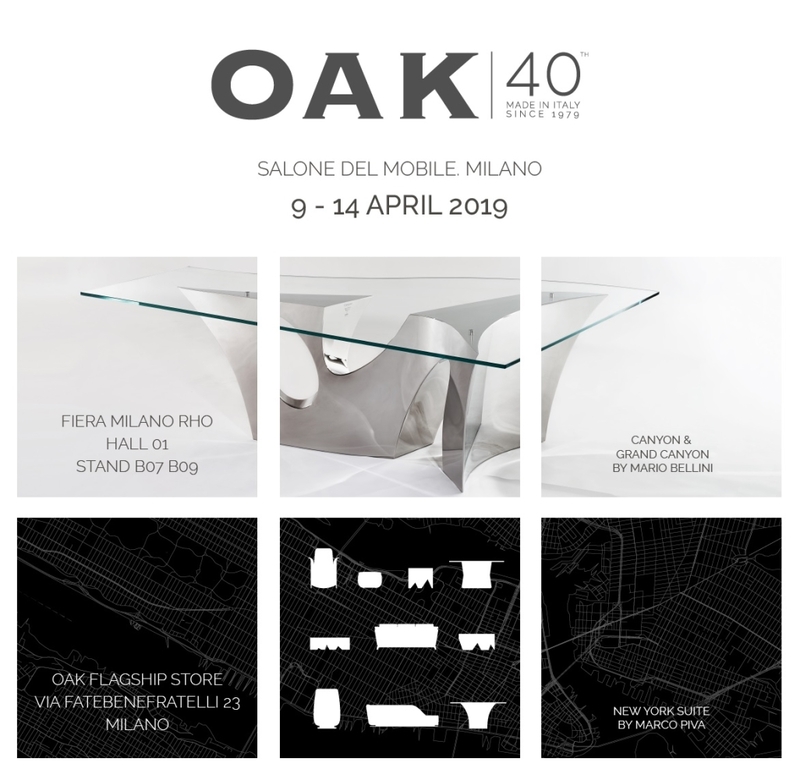 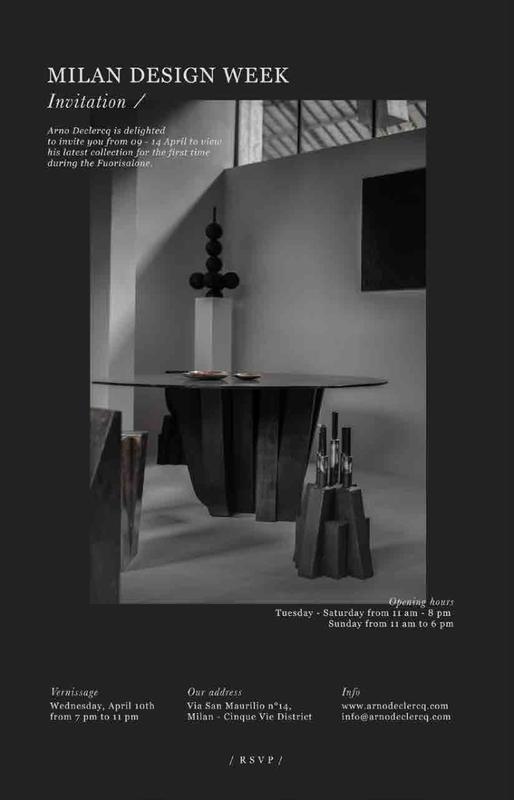 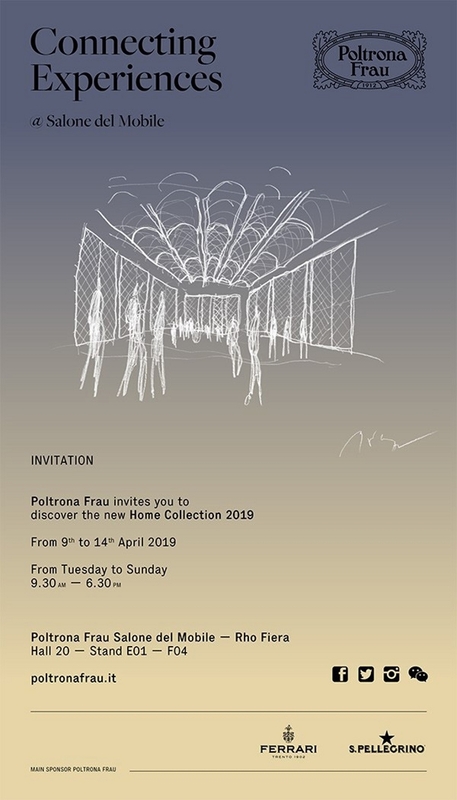 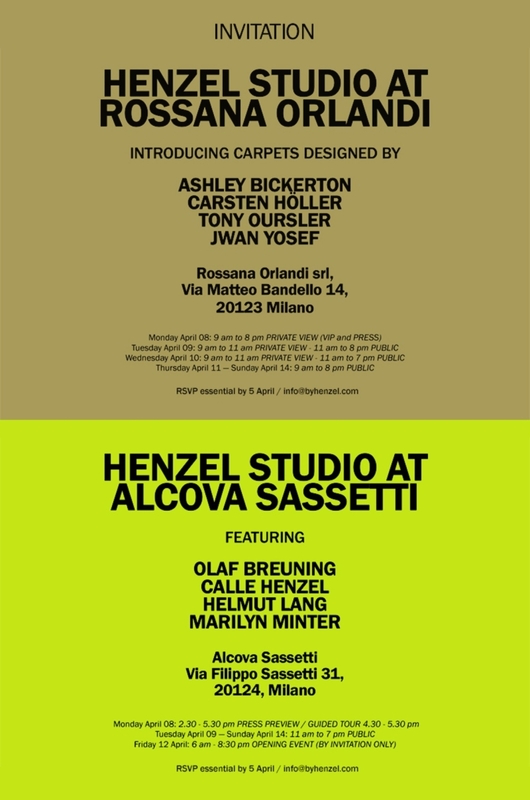 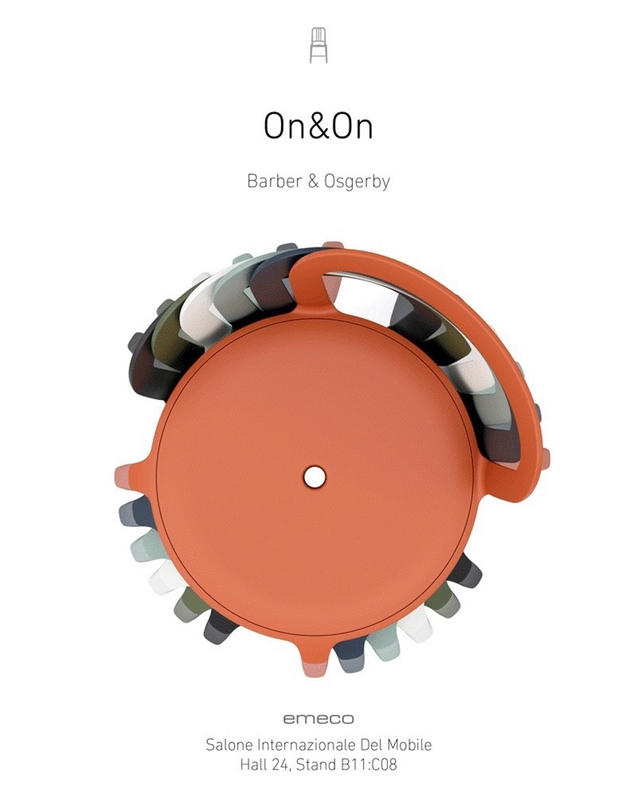 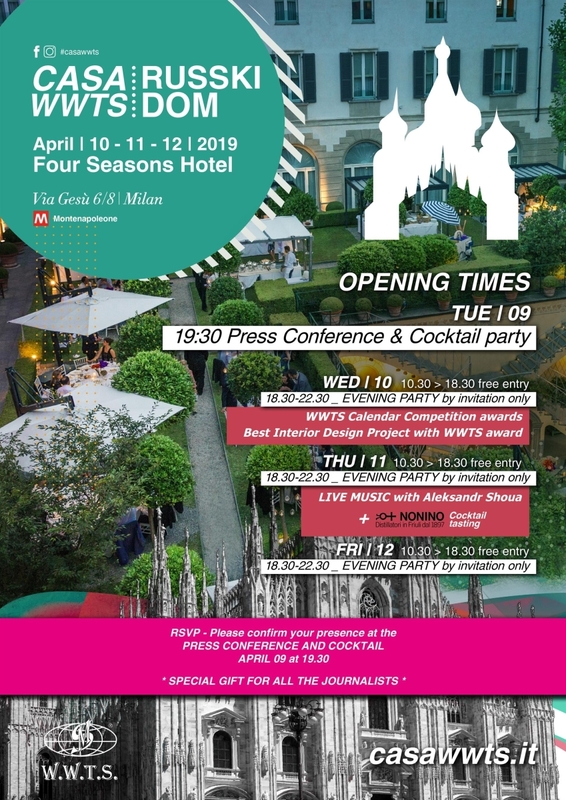 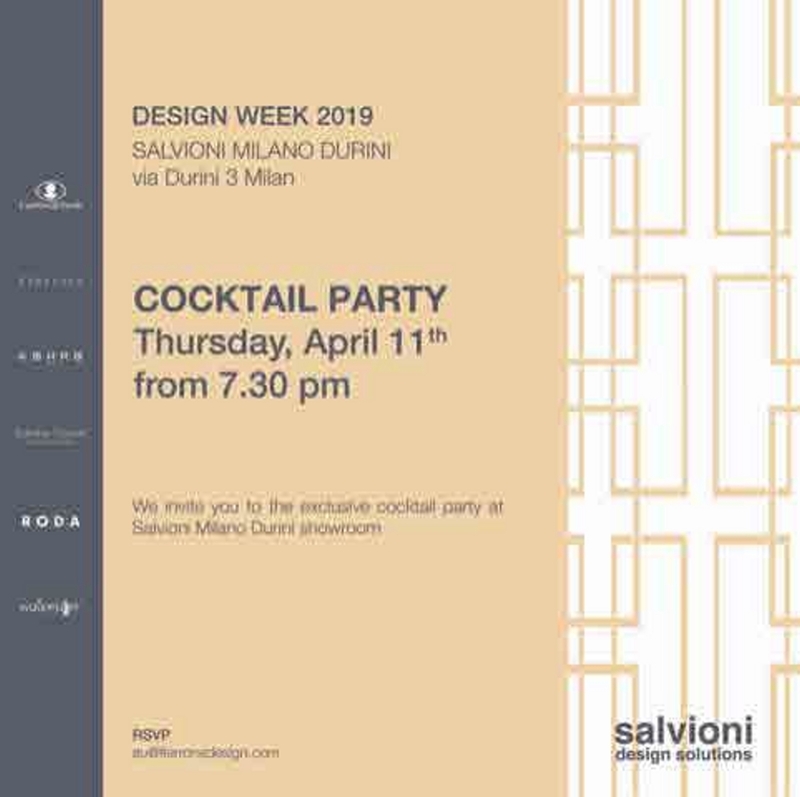 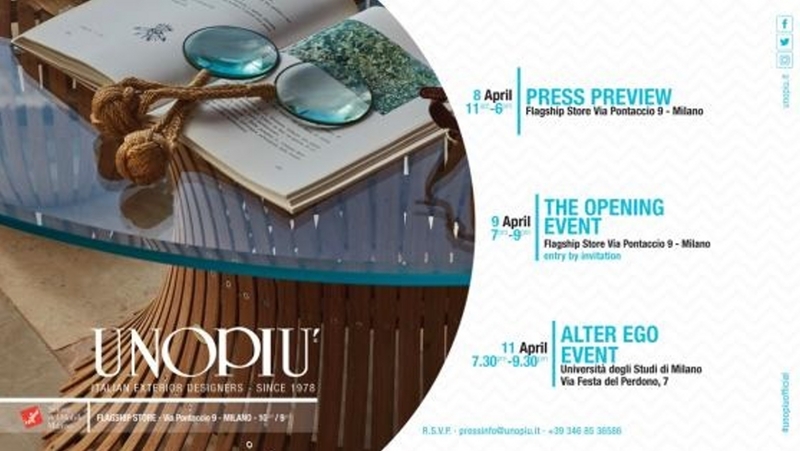 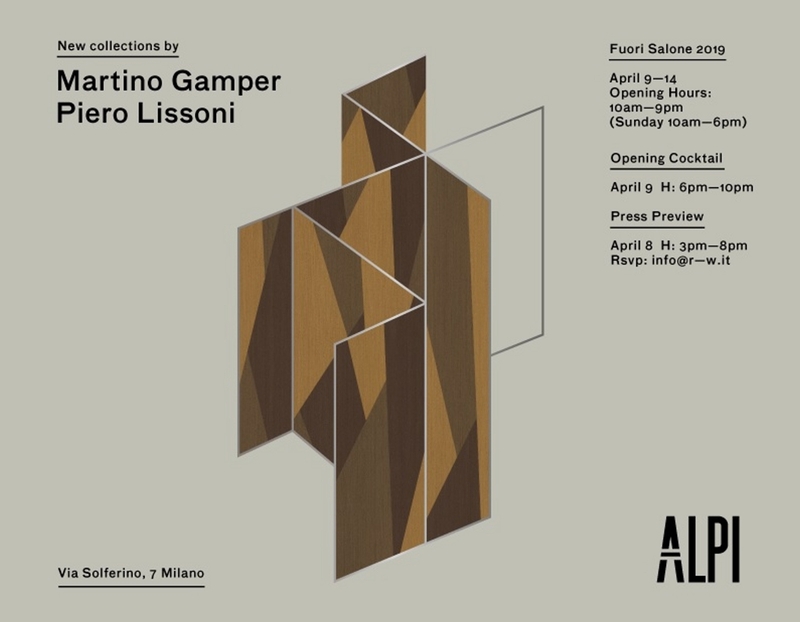 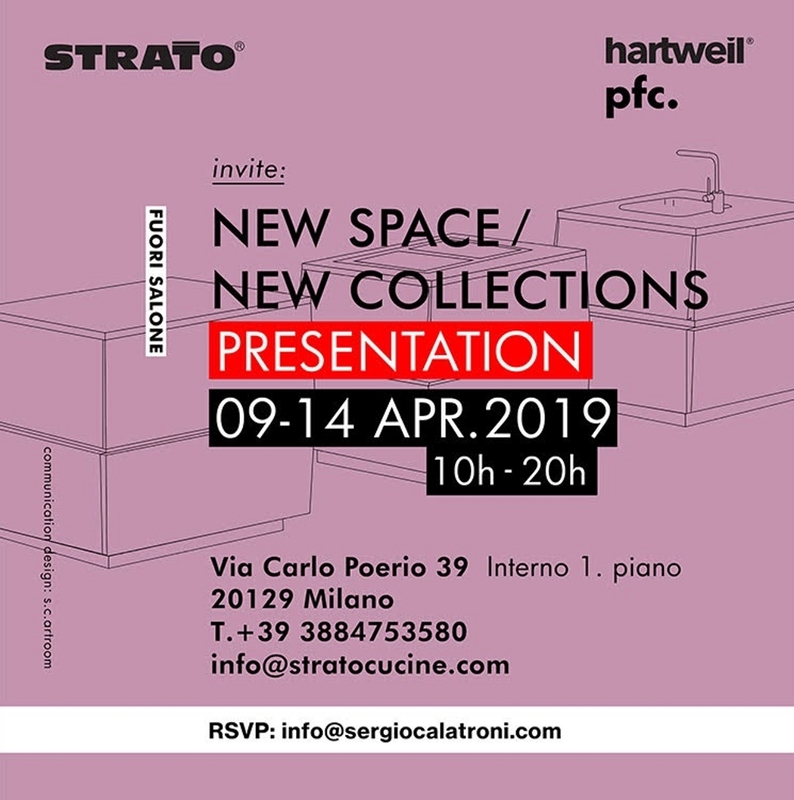 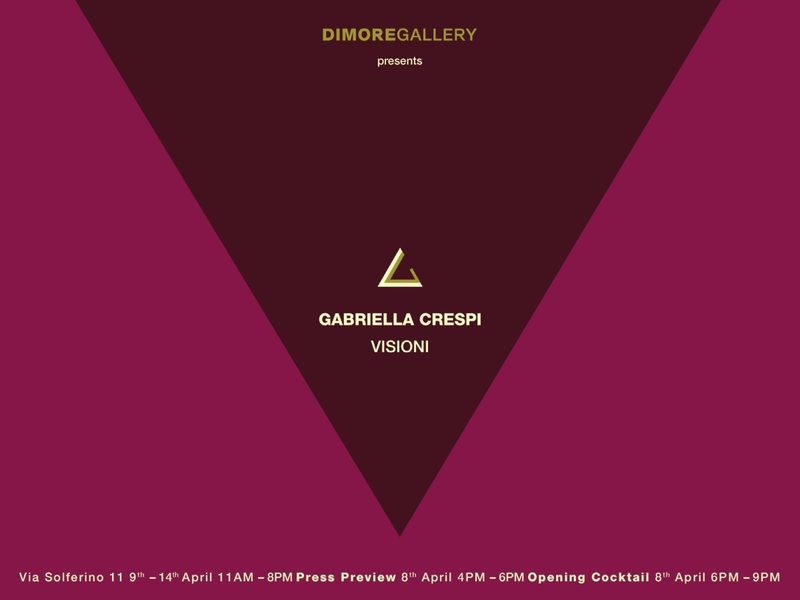 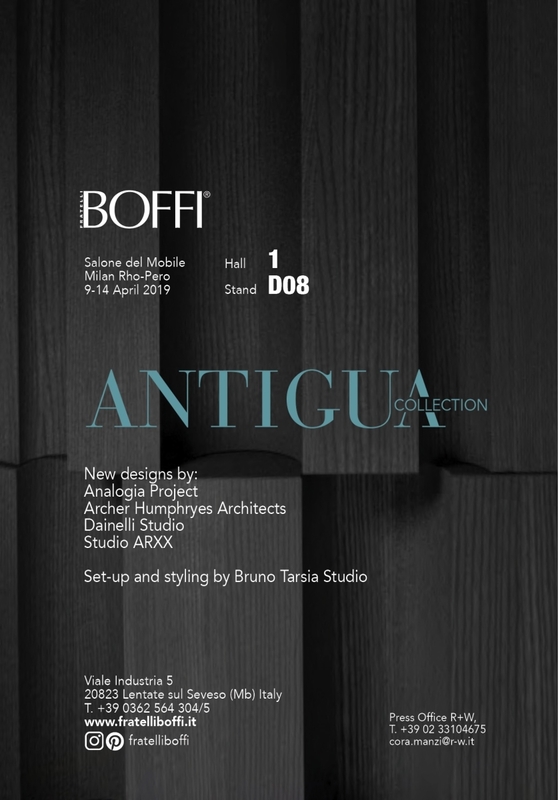 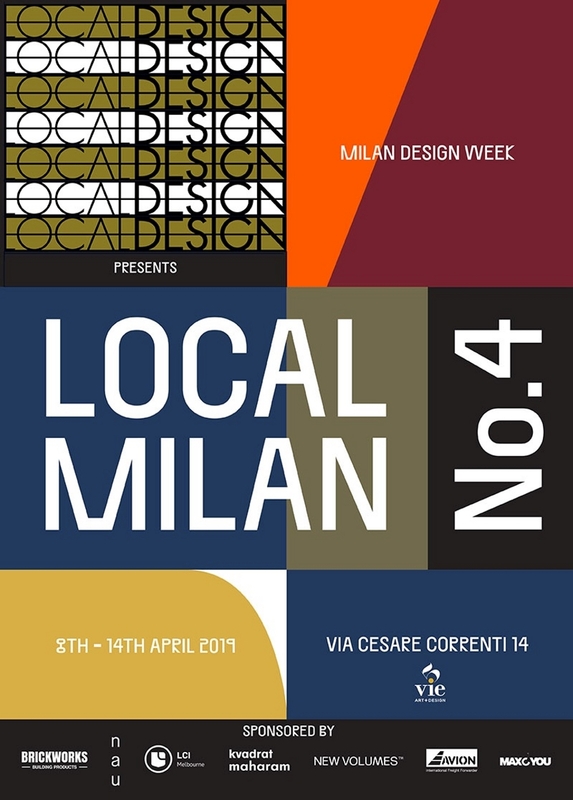 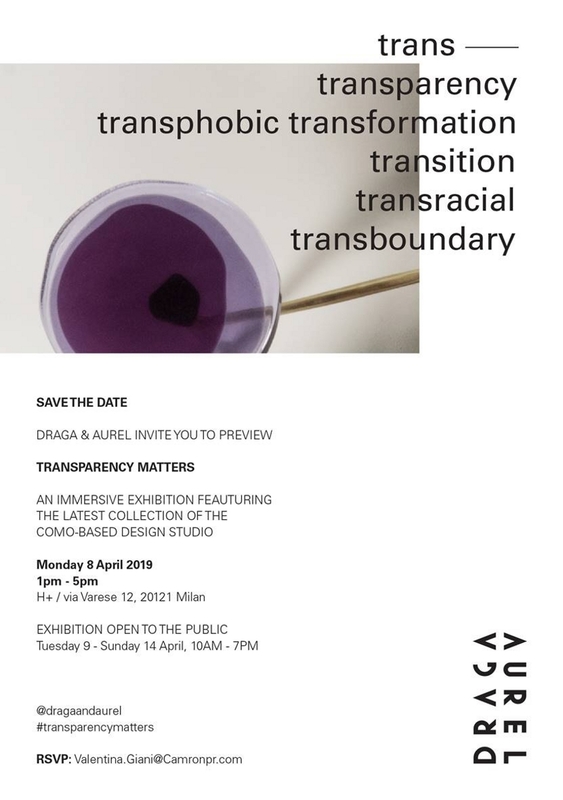 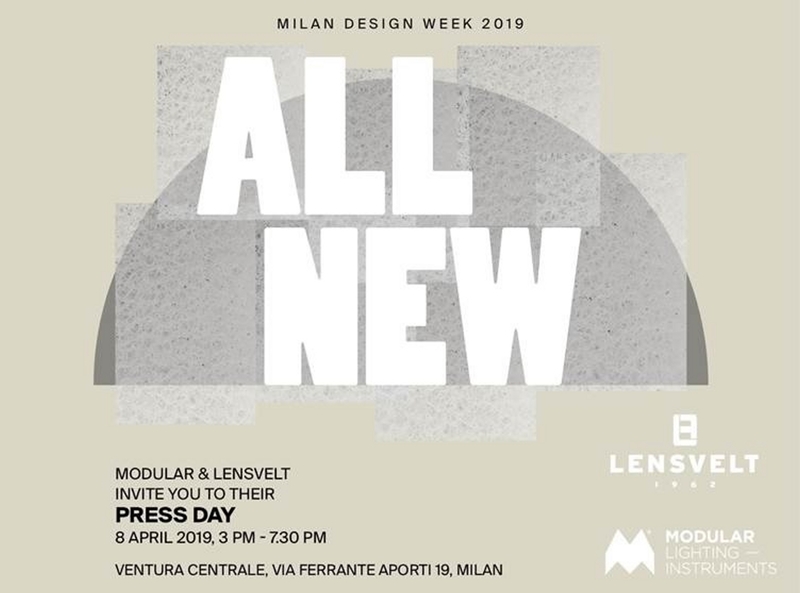 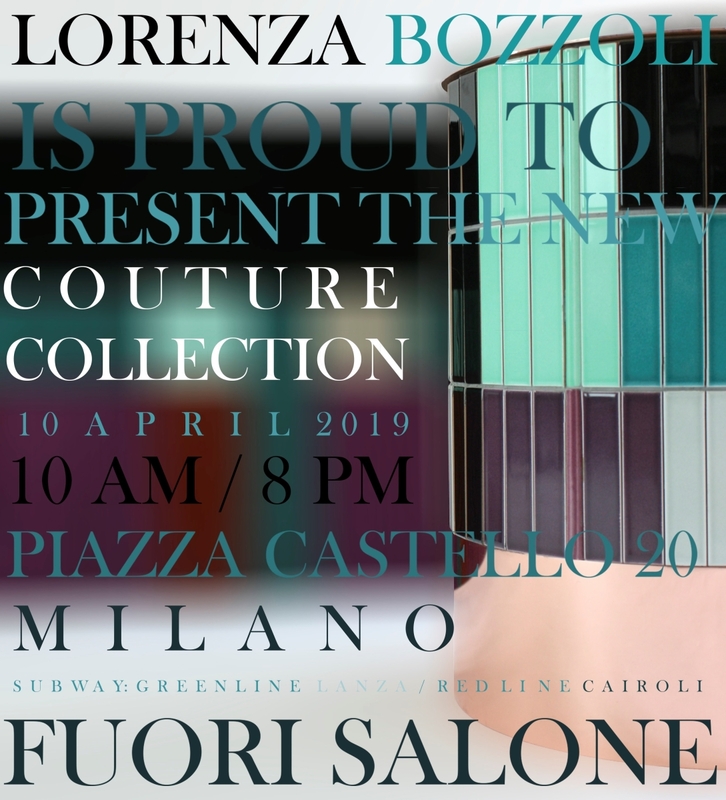 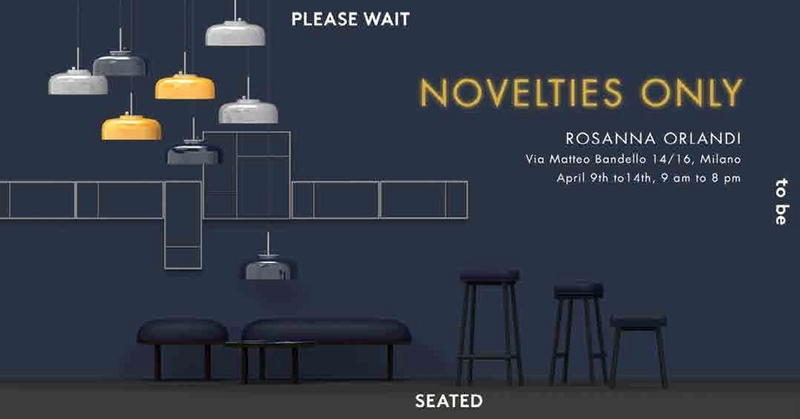 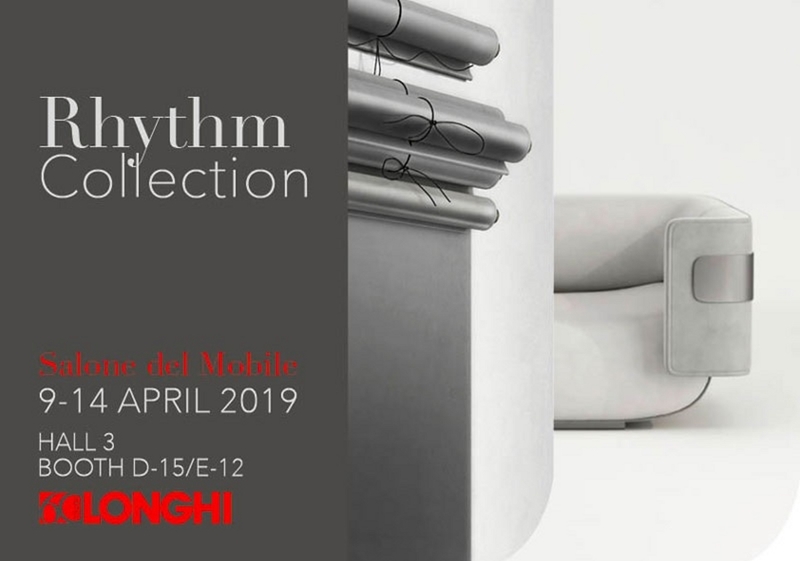 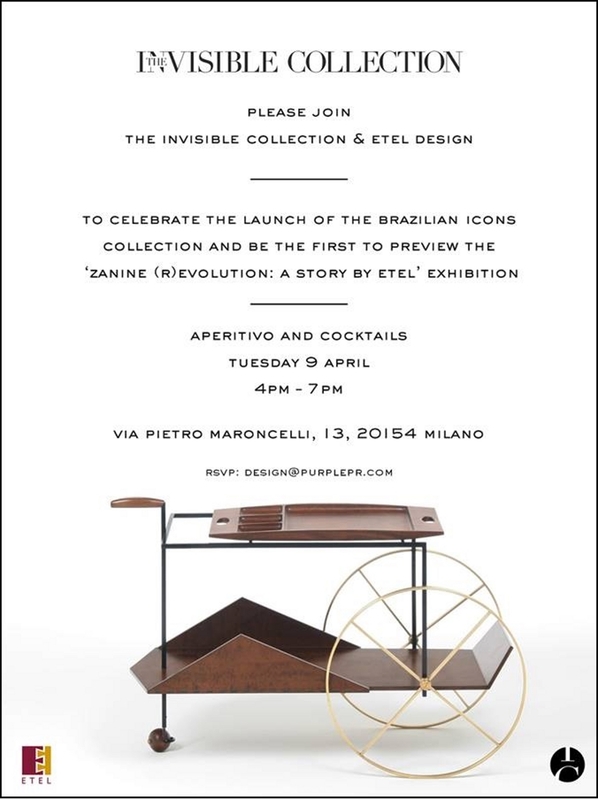 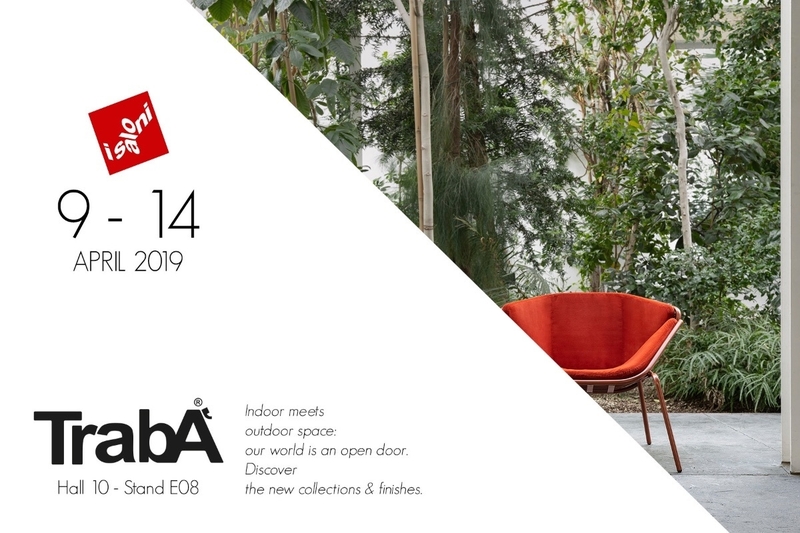 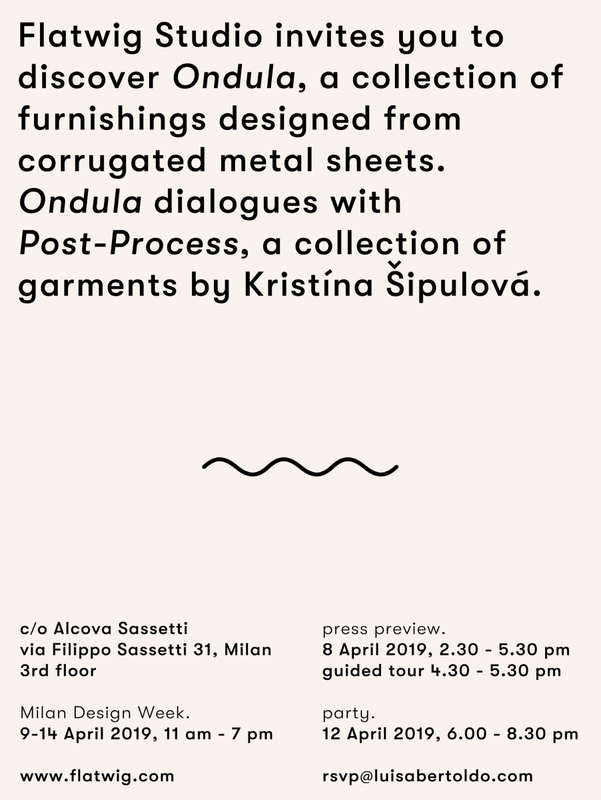 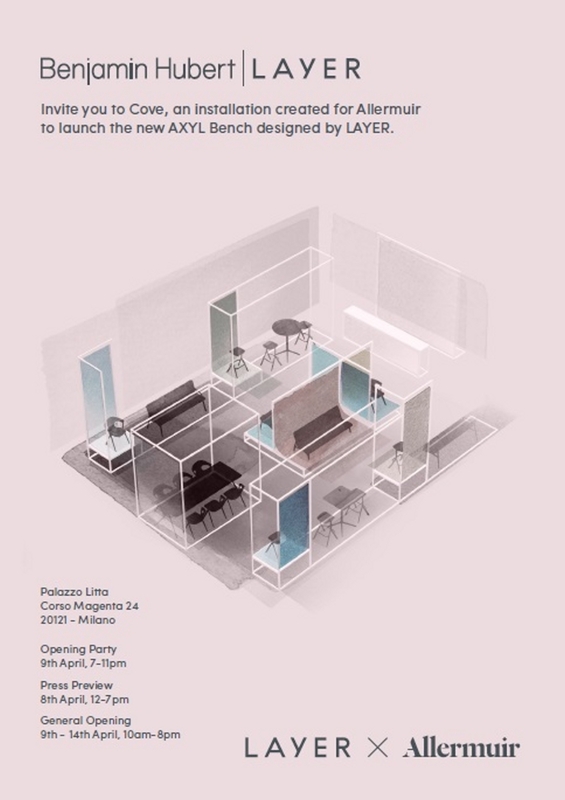 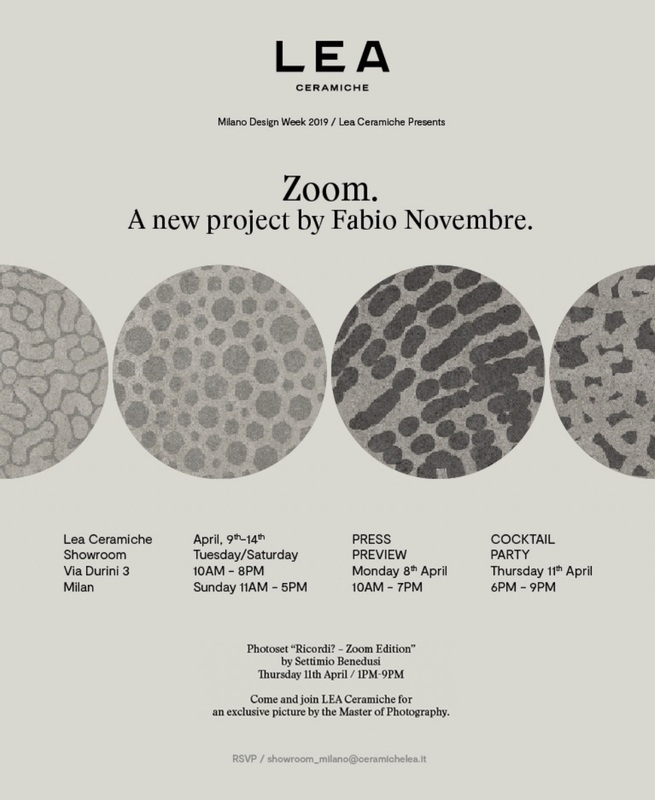 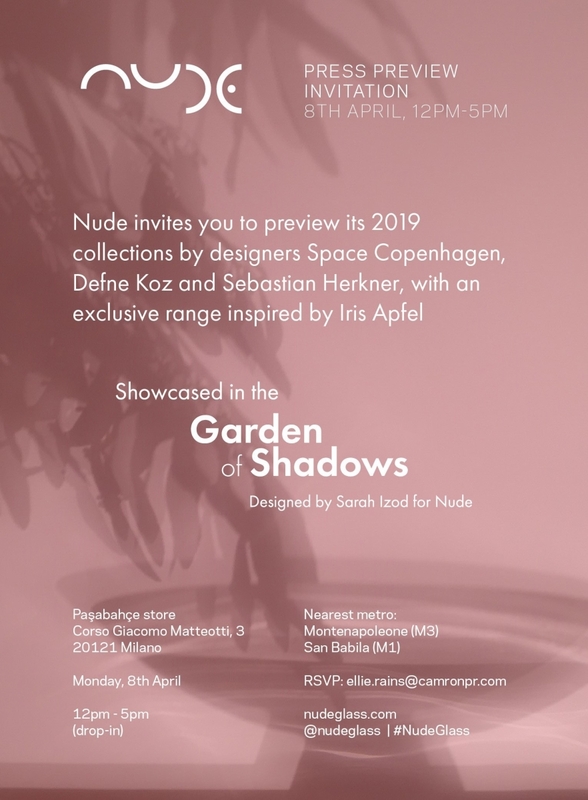 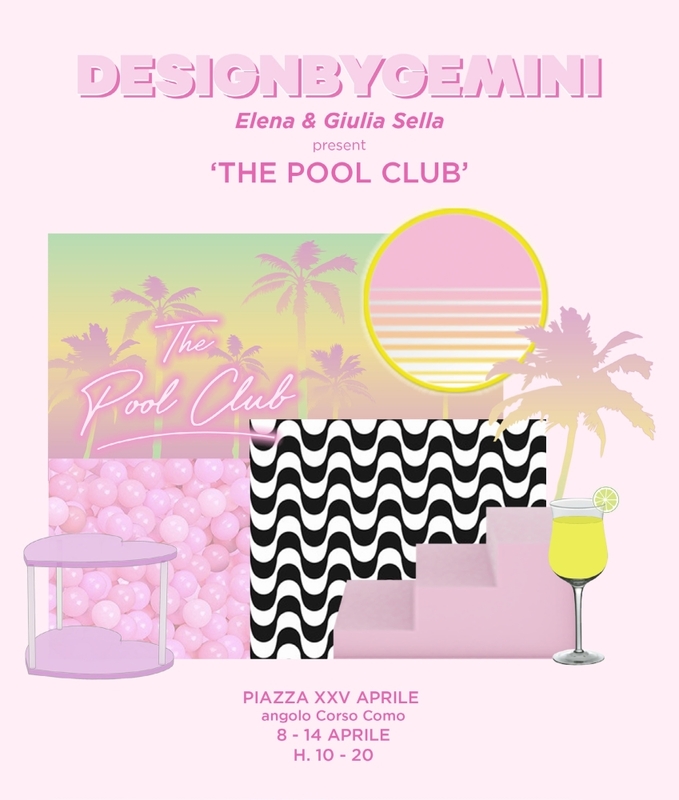 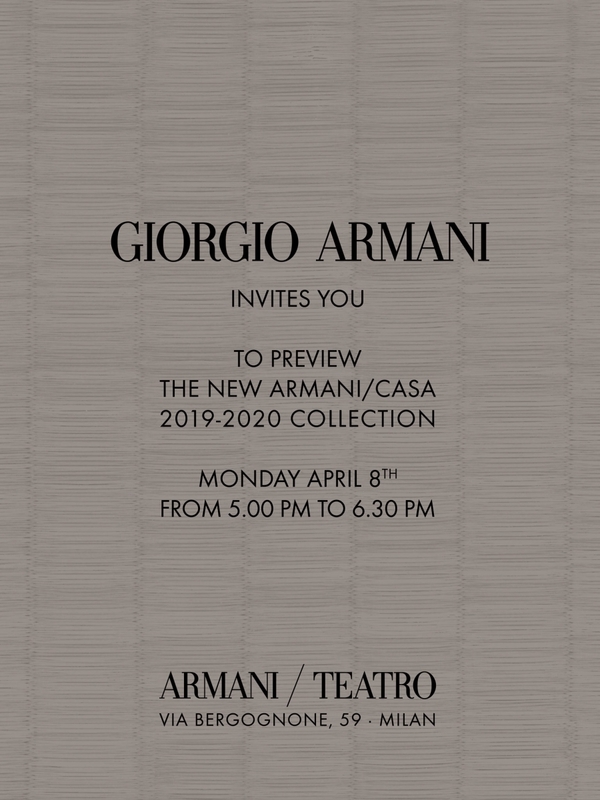 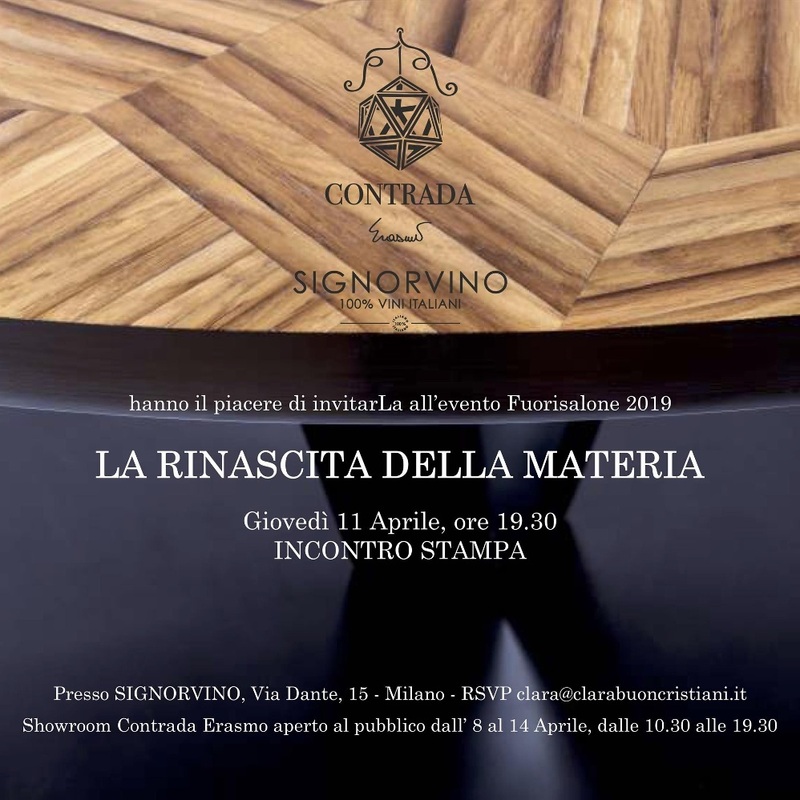 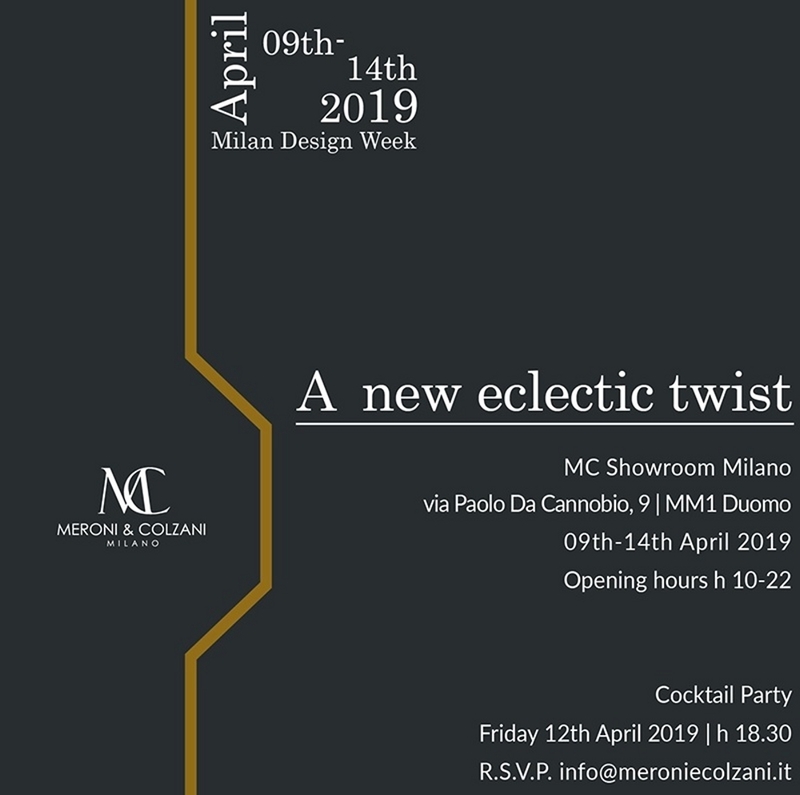 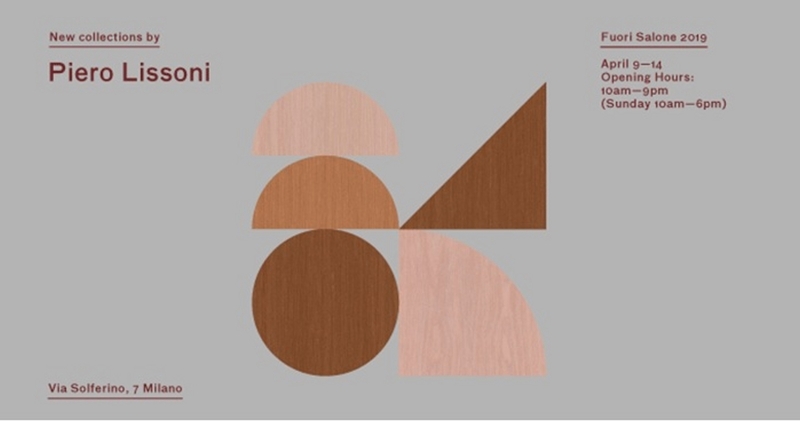 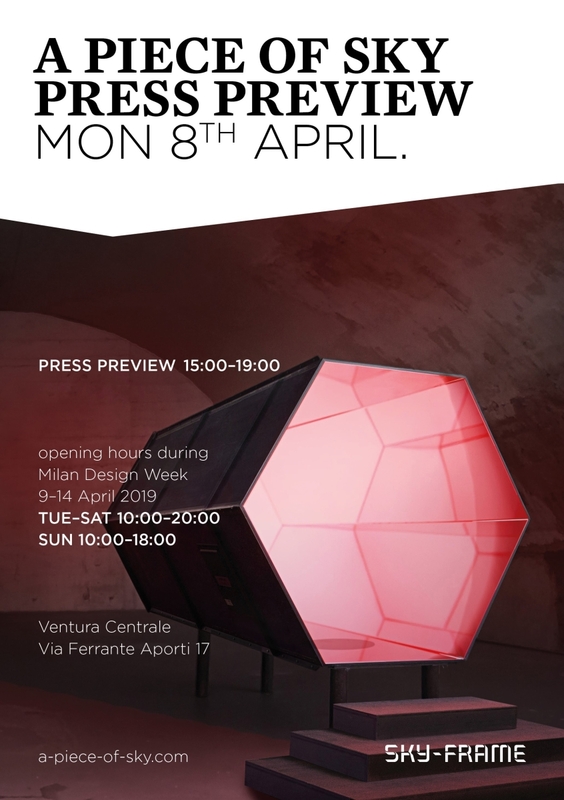 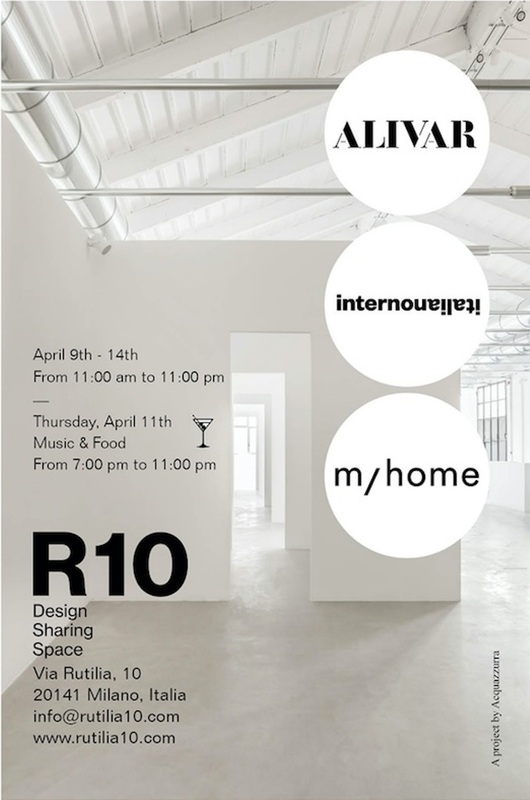 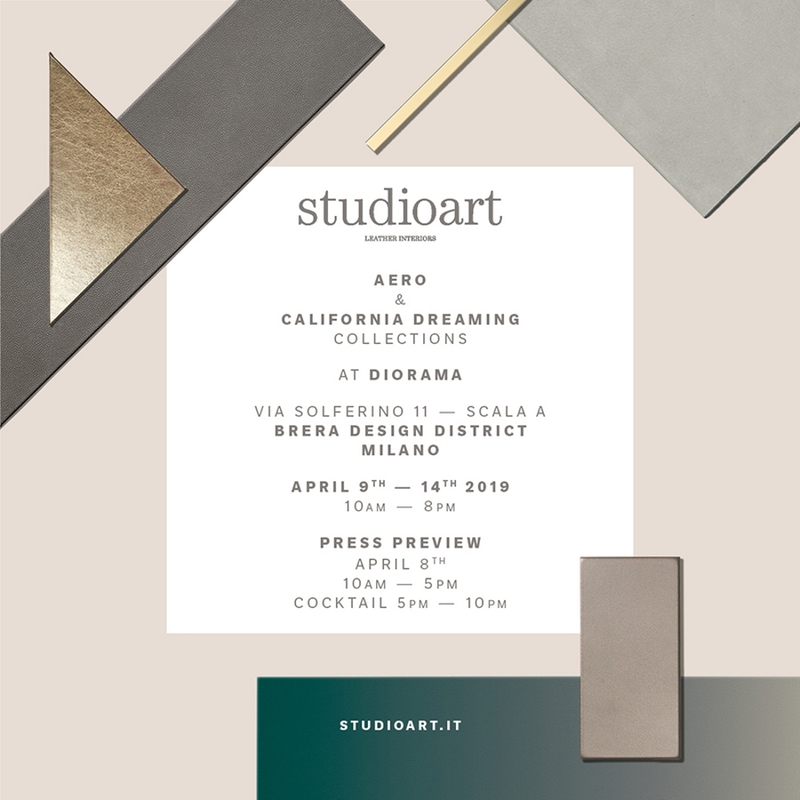 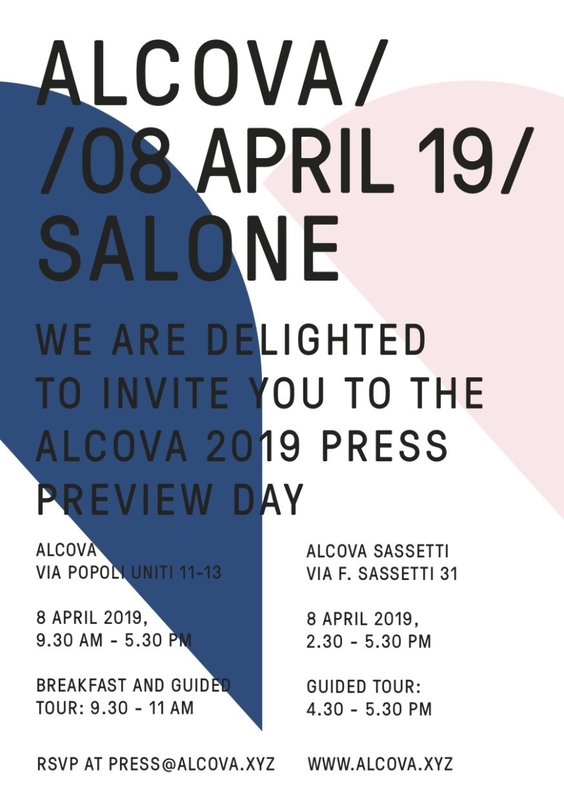 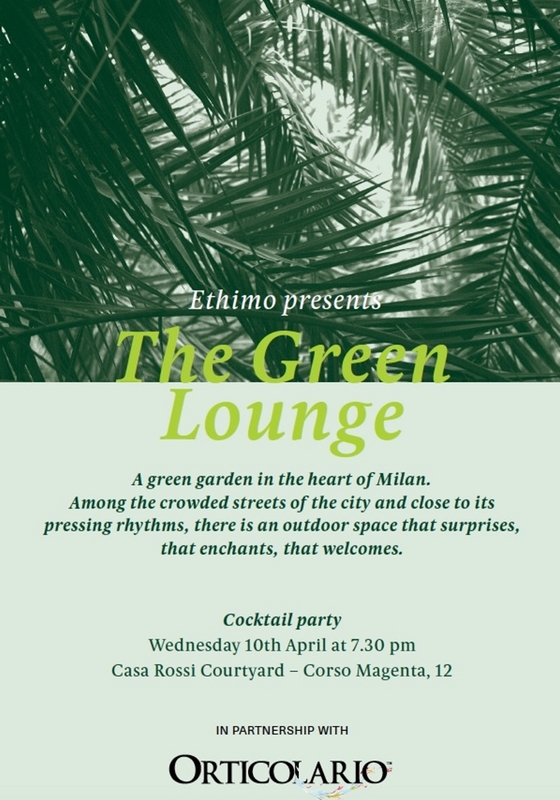 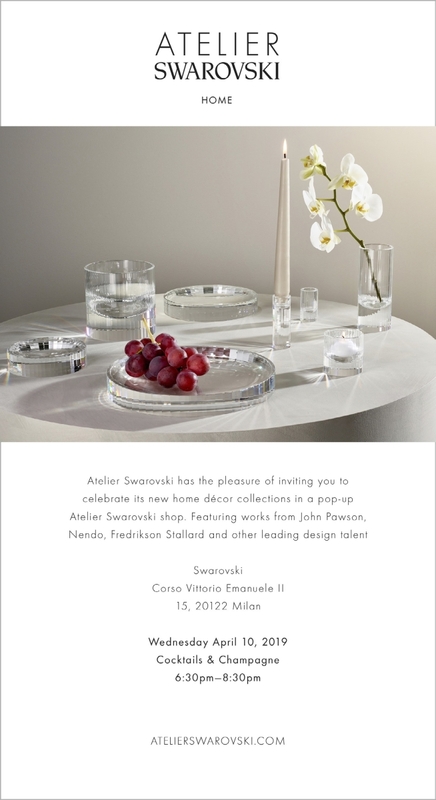 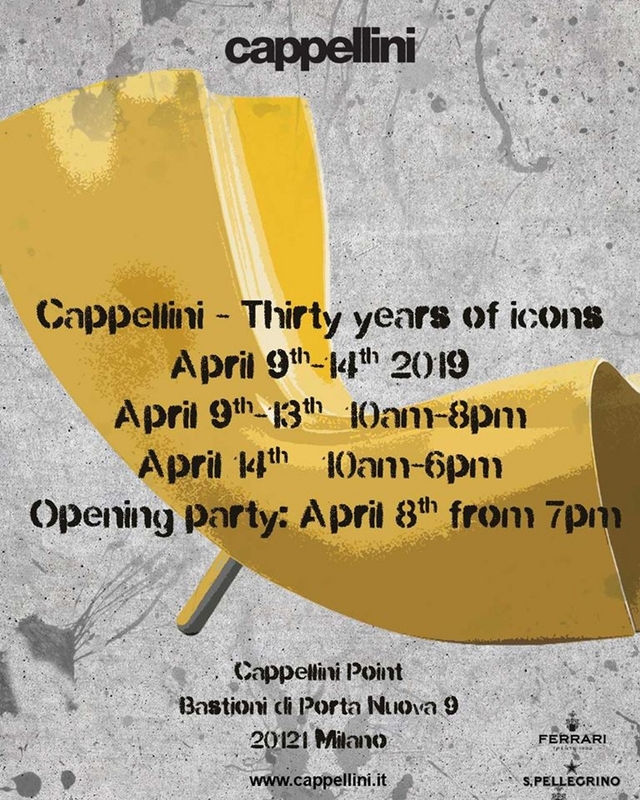 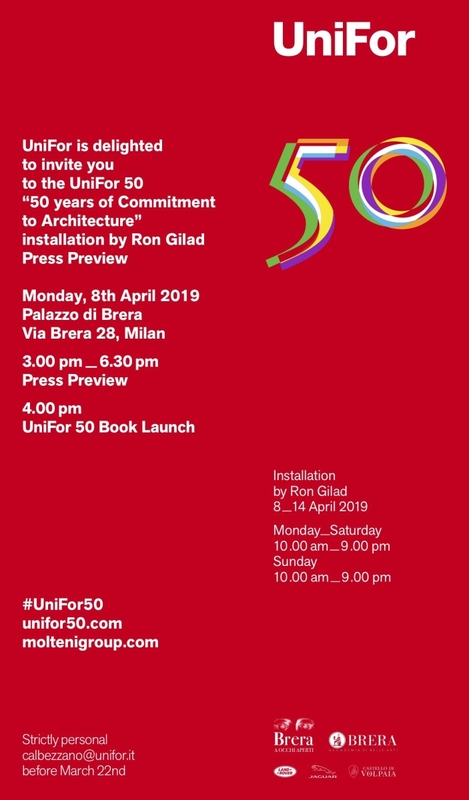 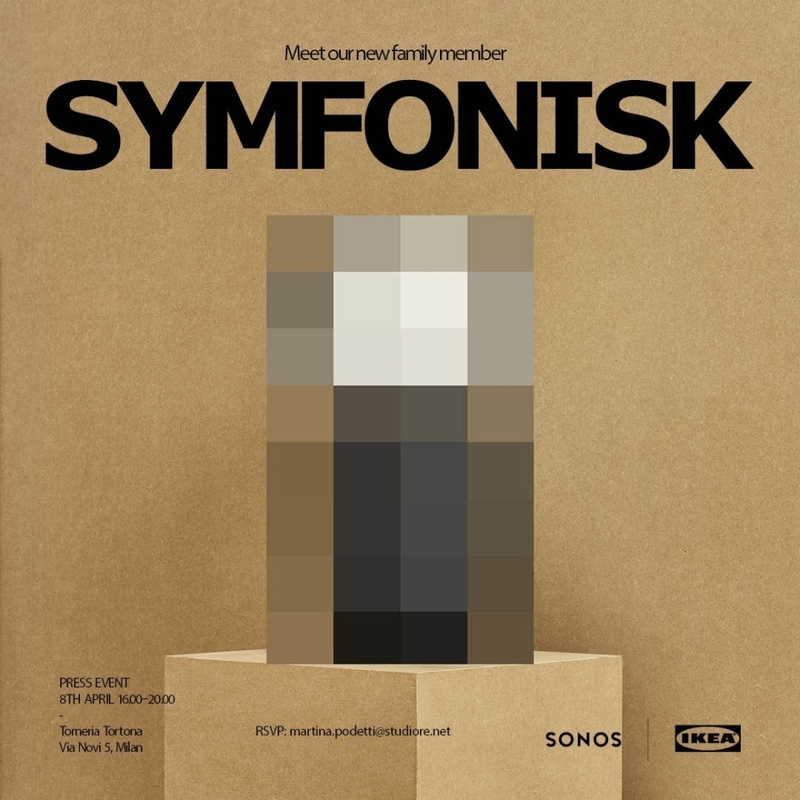 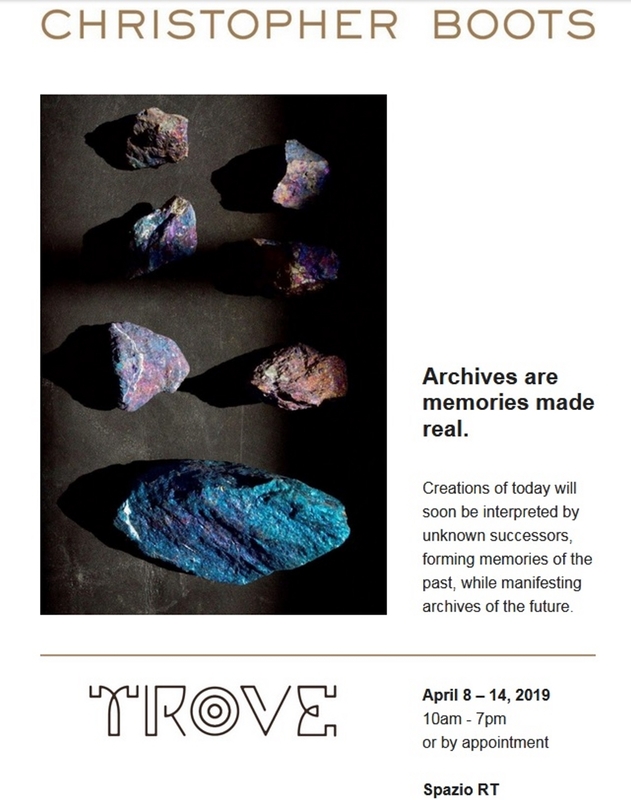 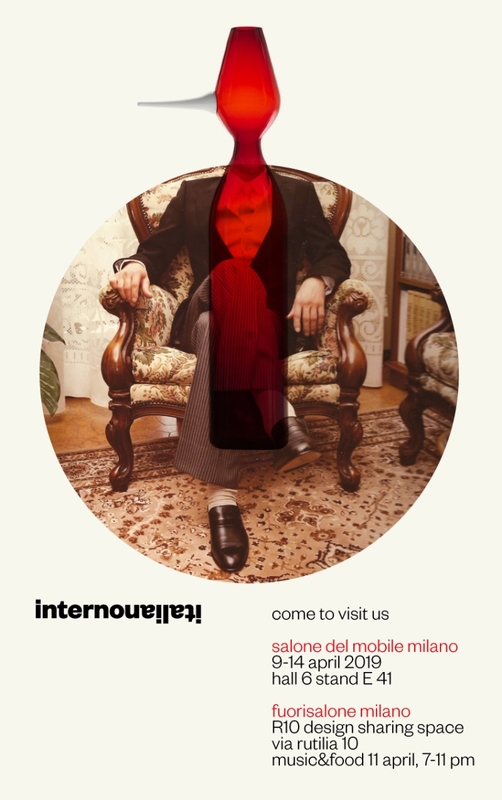 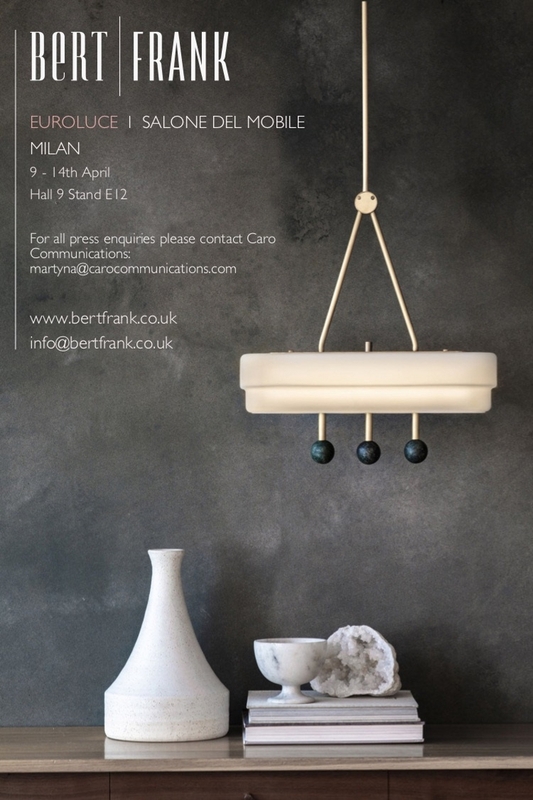 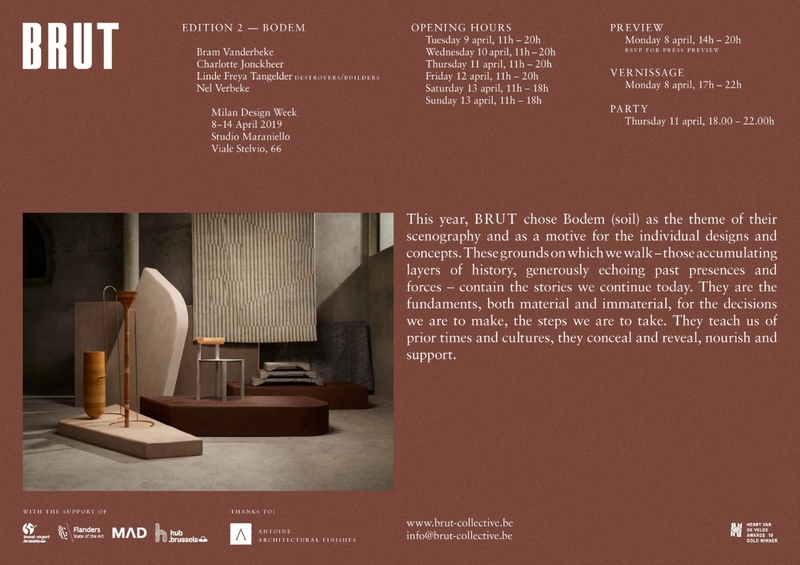 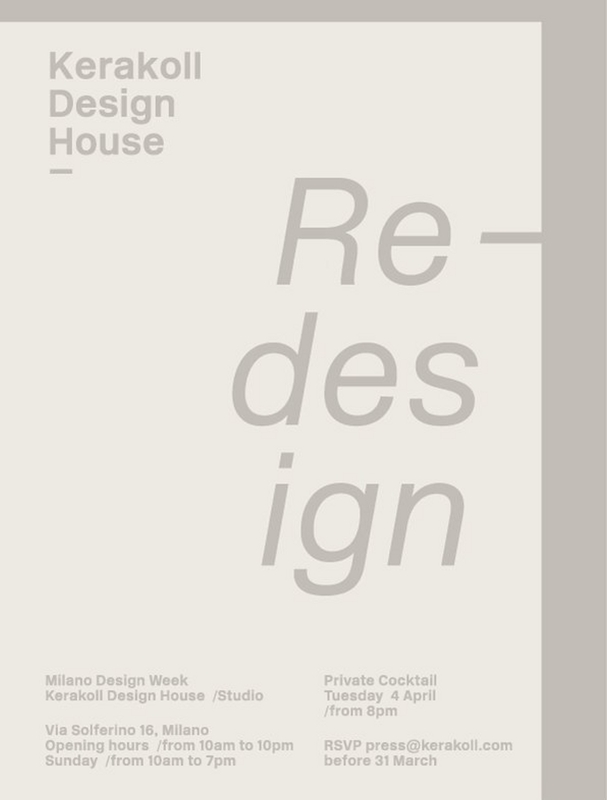 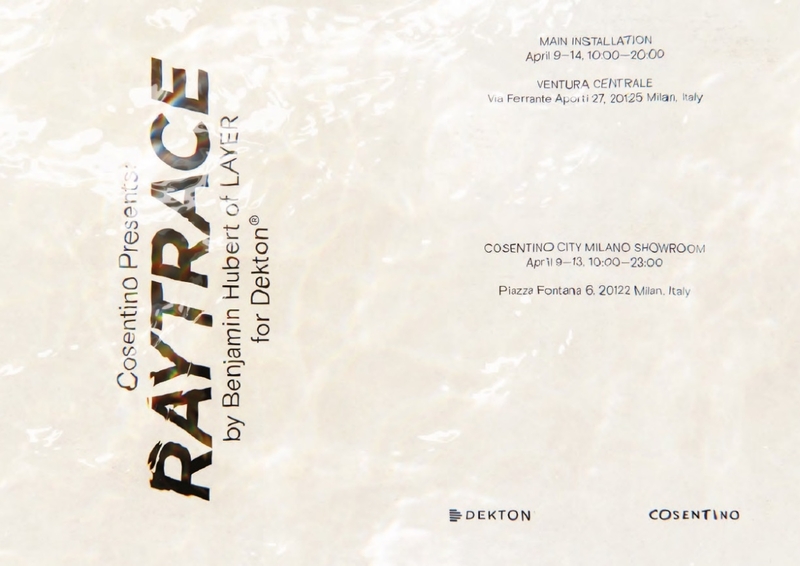 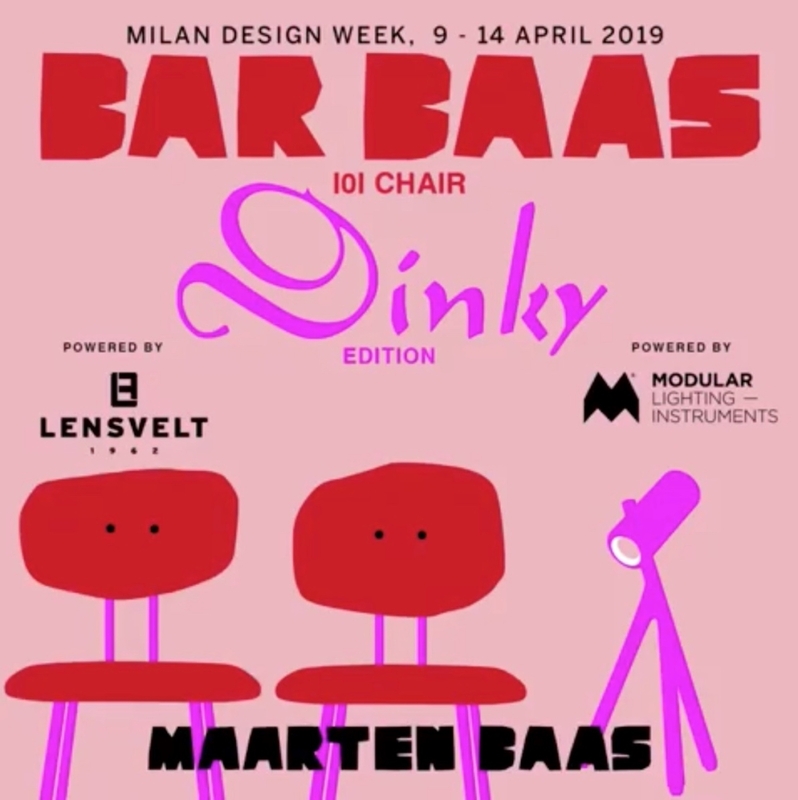 Join us for drinks, music and appetizers during the Salone 2019 and discover kreon’s latest innovations and a new concept by Co.llection.